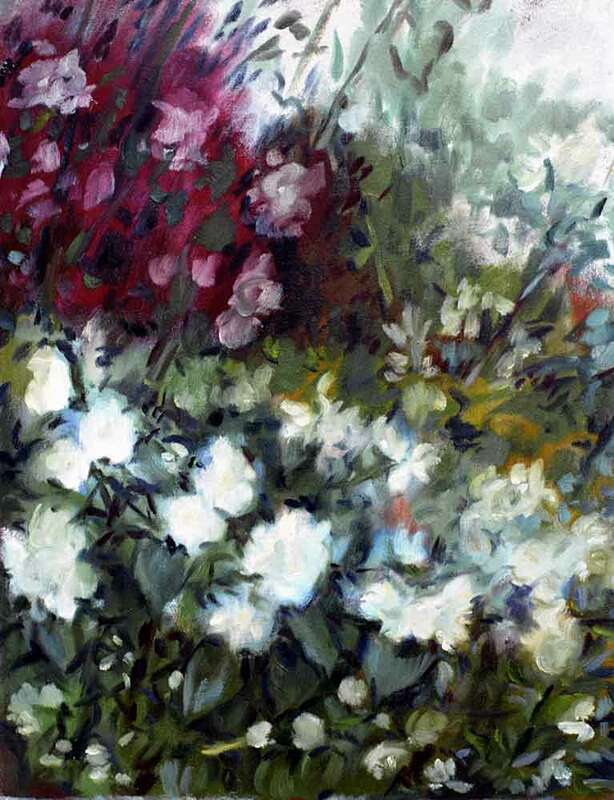 Antonio Pacitti was born in Cassino, Italy in 1924. 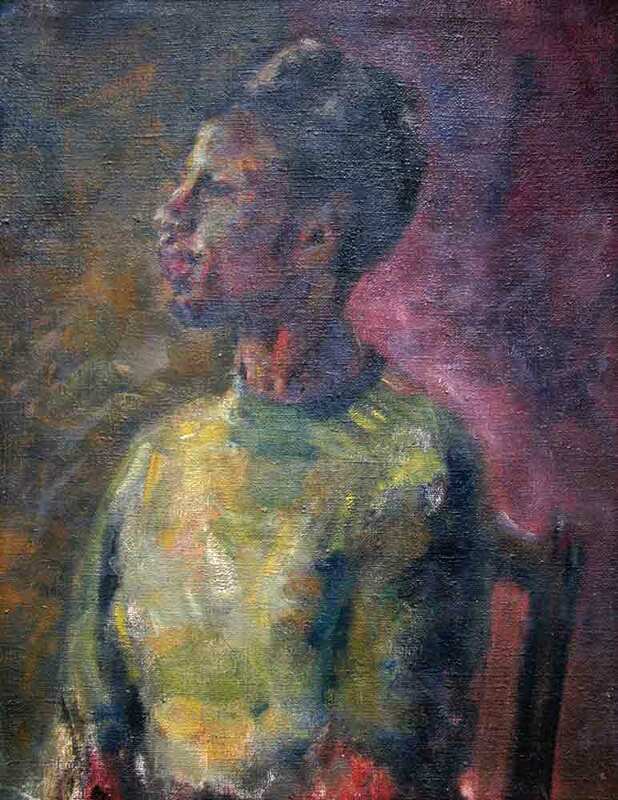 When he was three, his father’s anti-fascist activities forced the family to flee to Glasgow, where Antonio grew up in severe poverty. 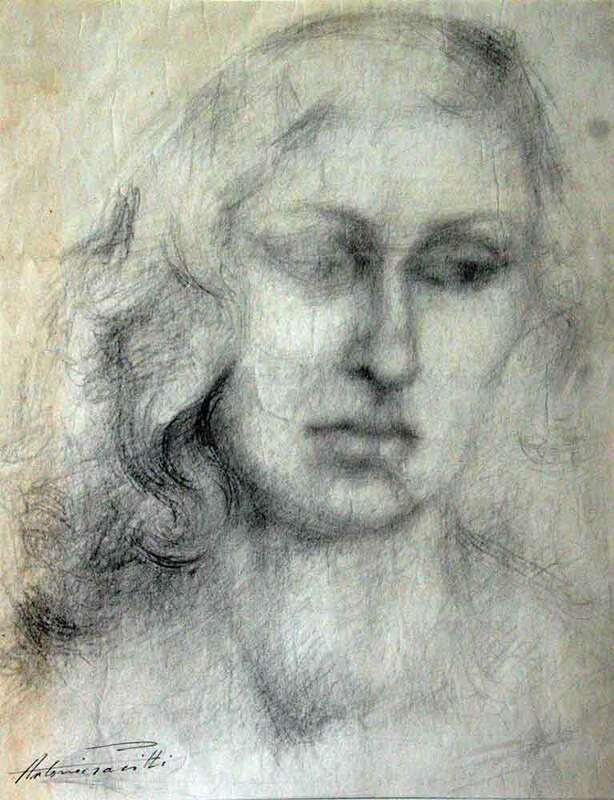 After gaining the Gold Medal for Drawing as a schoolboy, he was awarded a scholarship to the Glasgow School of Art, and later studied at the Slade in London. 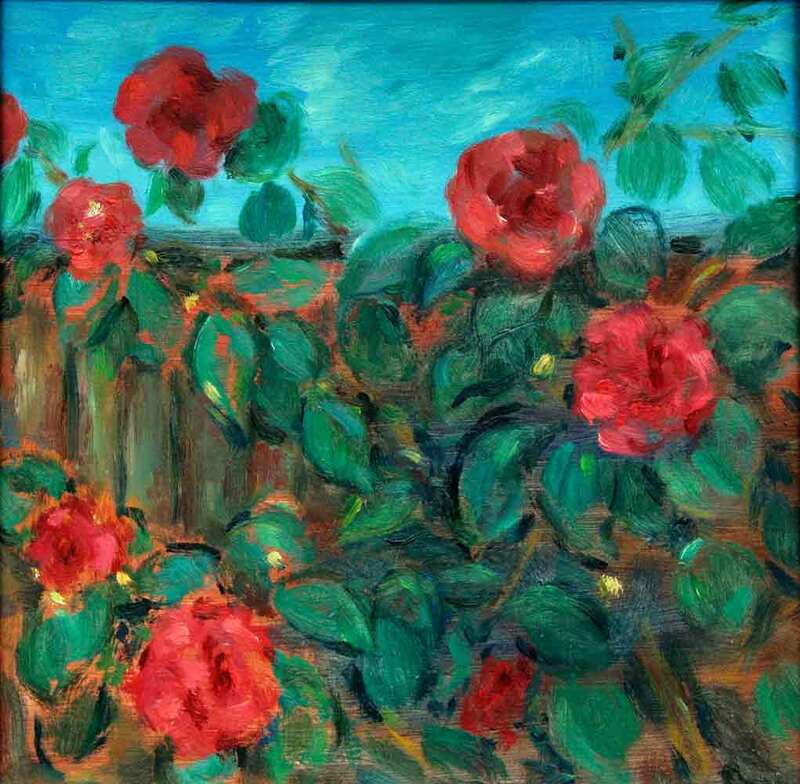 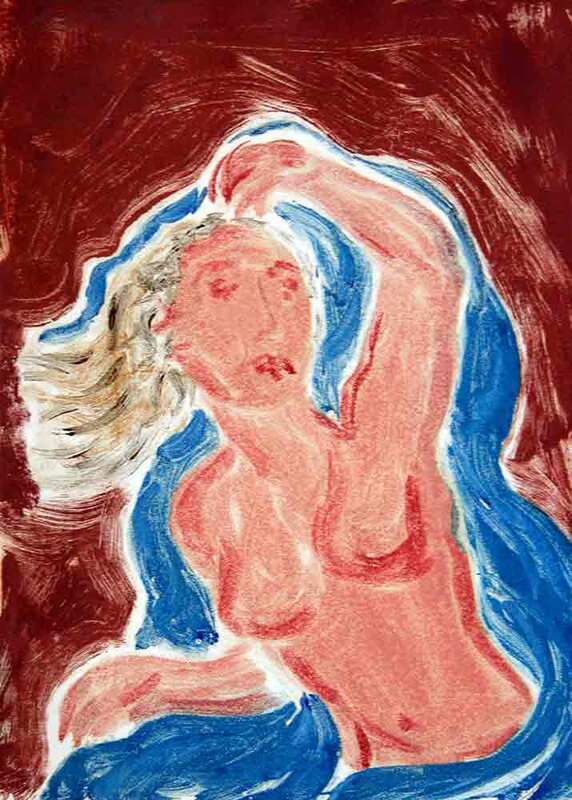 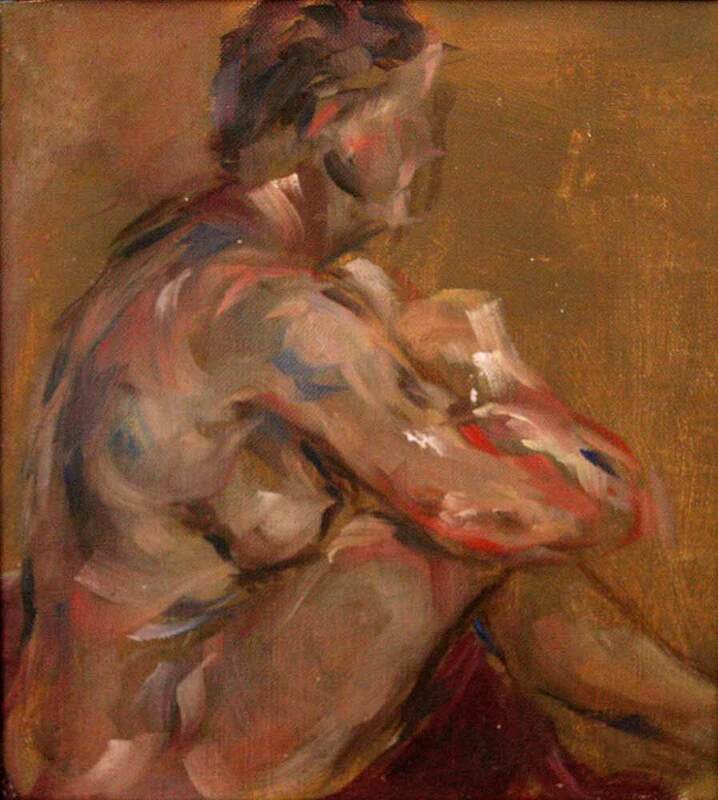 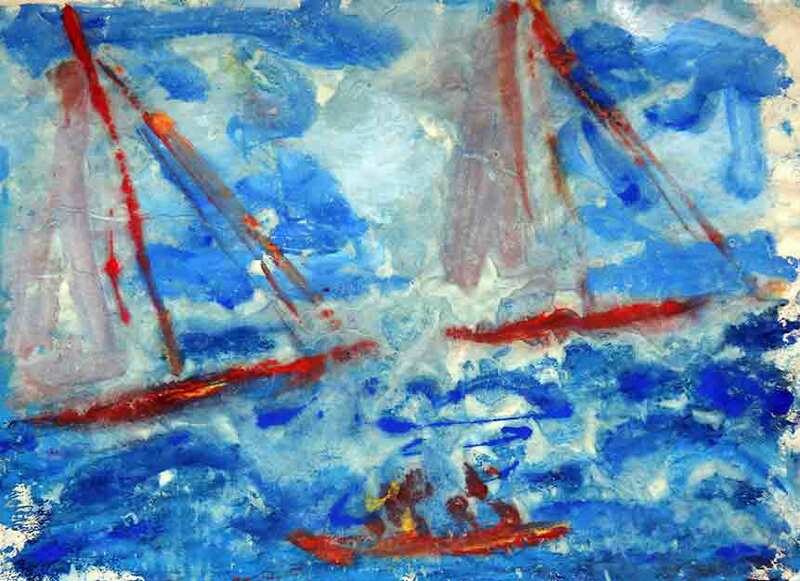 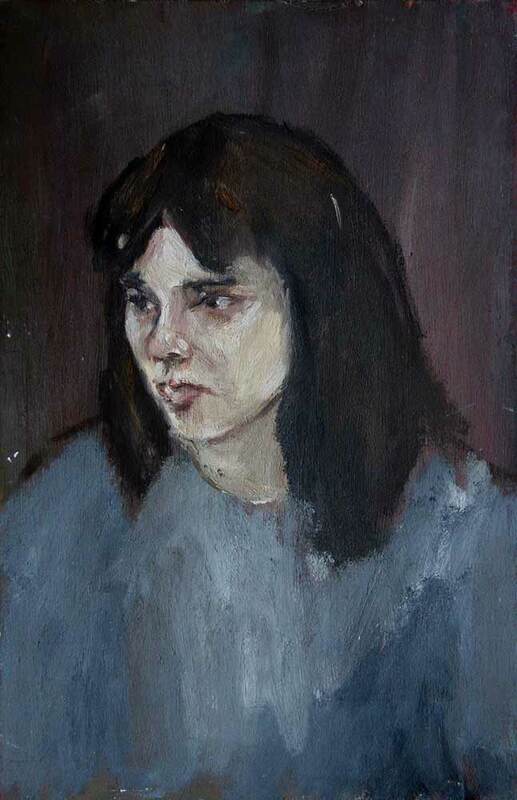 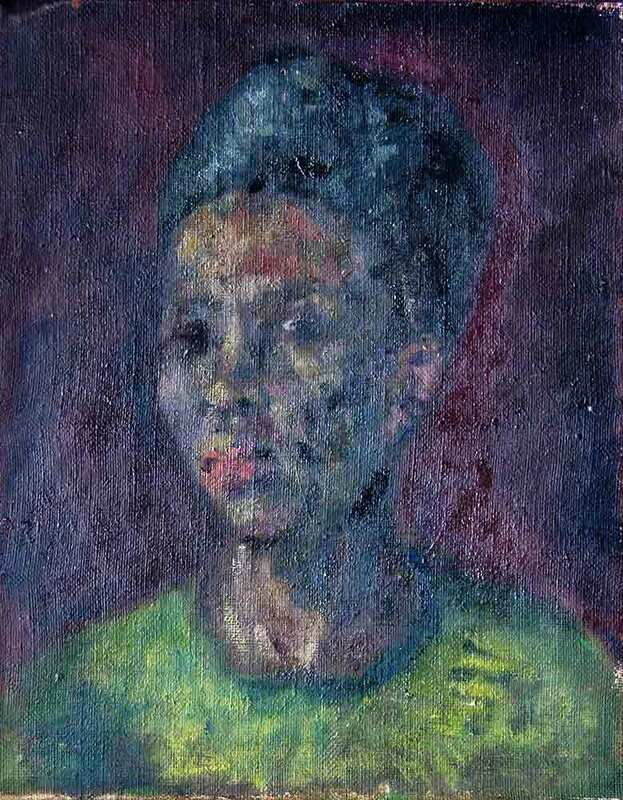 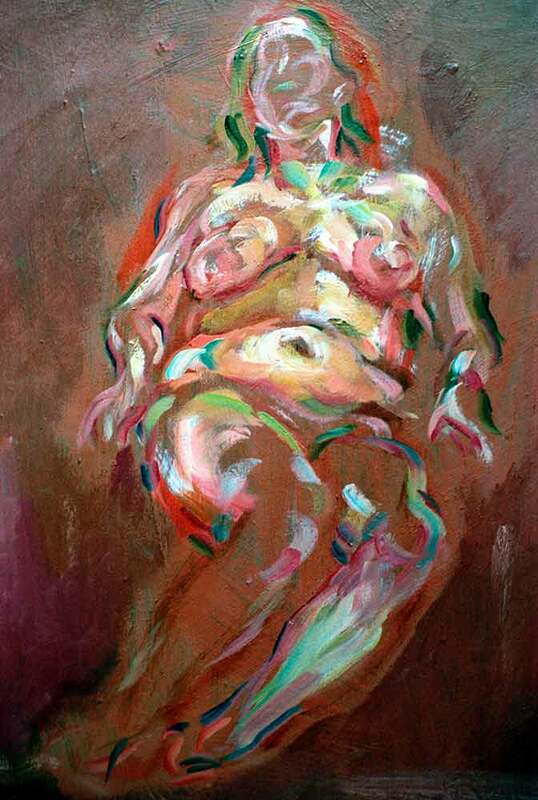 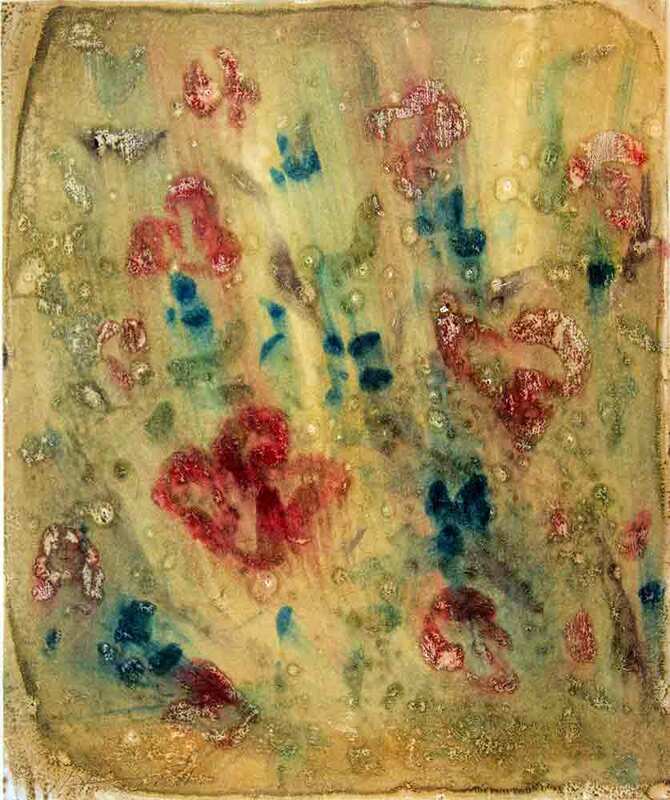 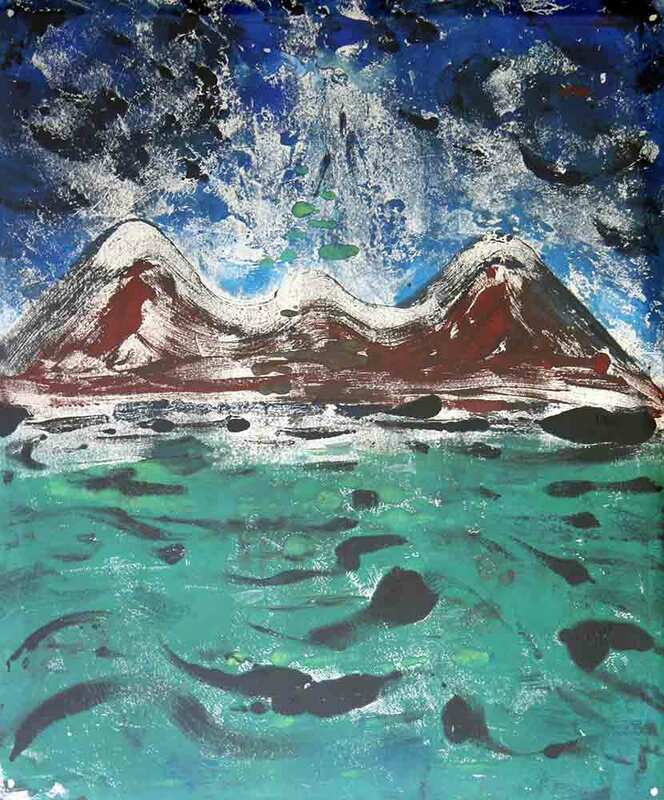 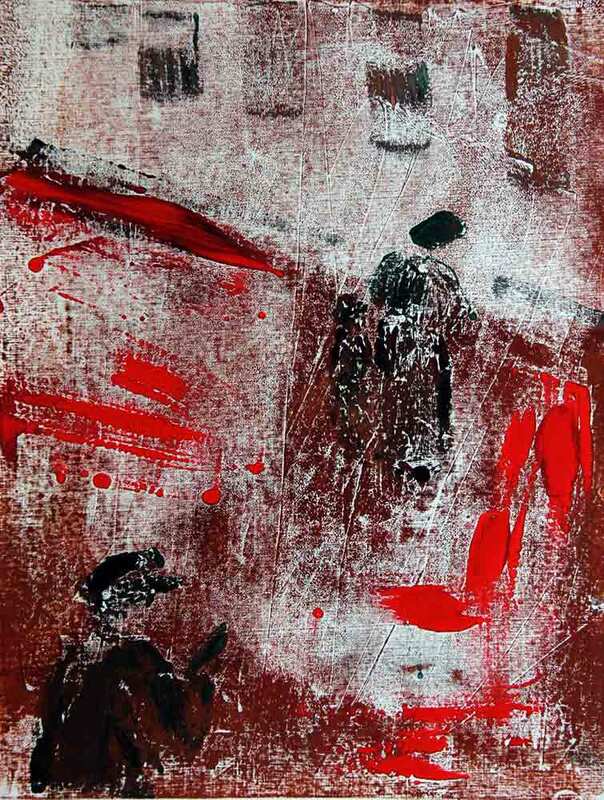 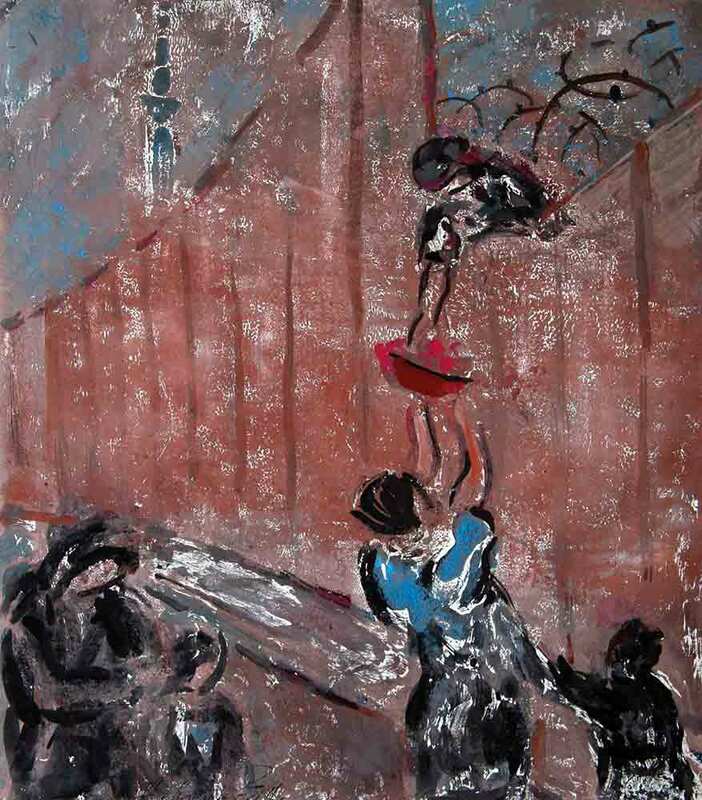 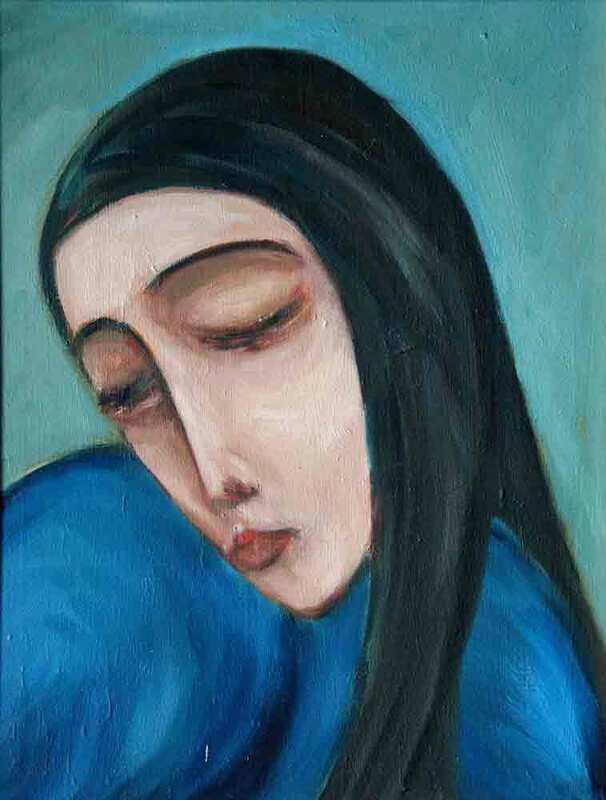 Through his powerfully expressive art, in which he experimented with different media and subjects, Pacitti explored the joy and the suffering of the human condition. 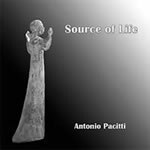 Antonio Pacitti is celebrated by the global Charter for Compassion for his contribution to our understanding of war. 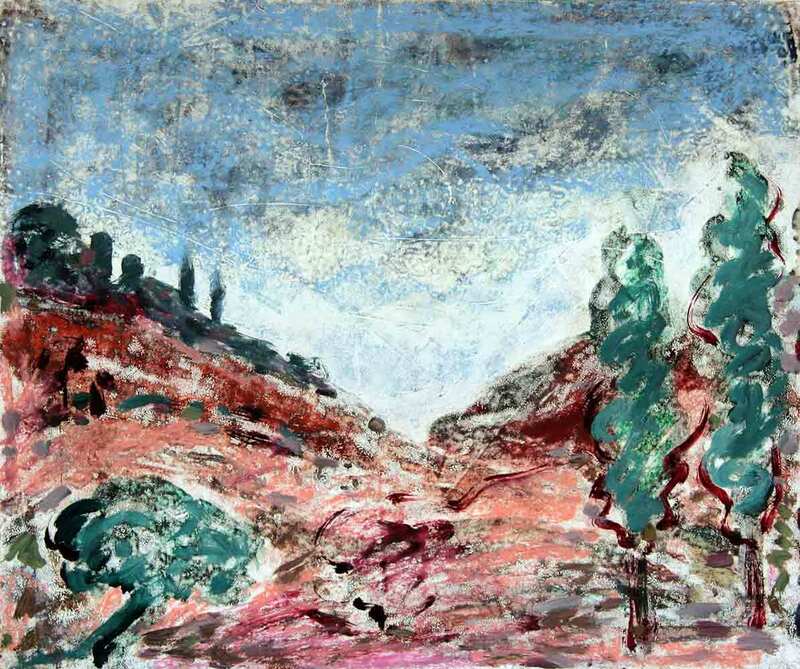 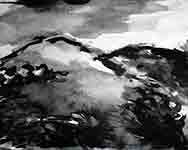 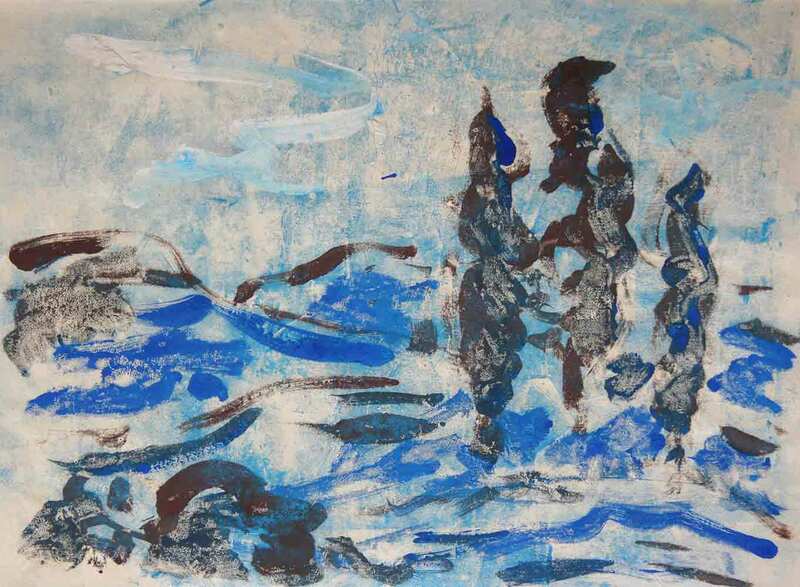 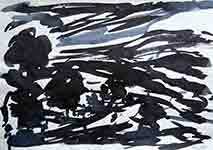 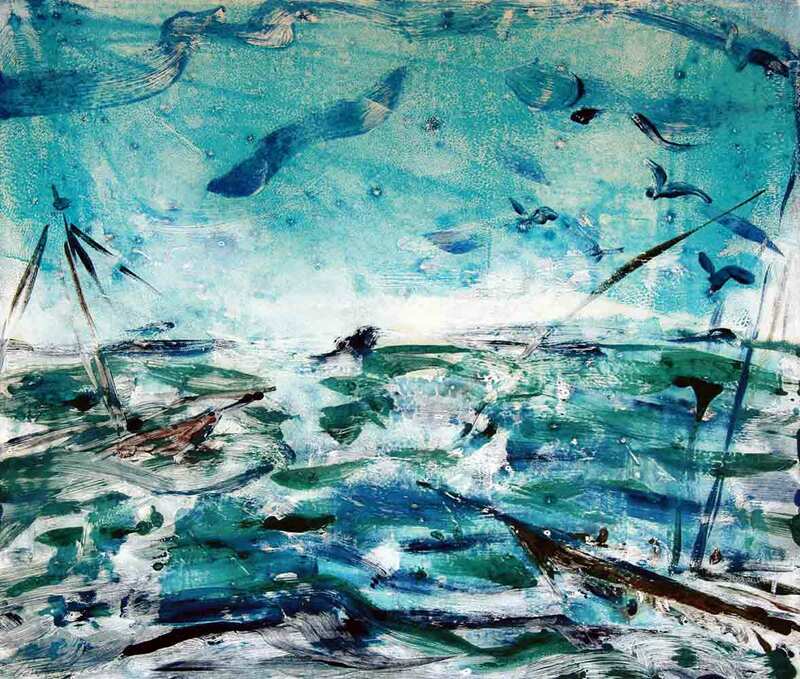 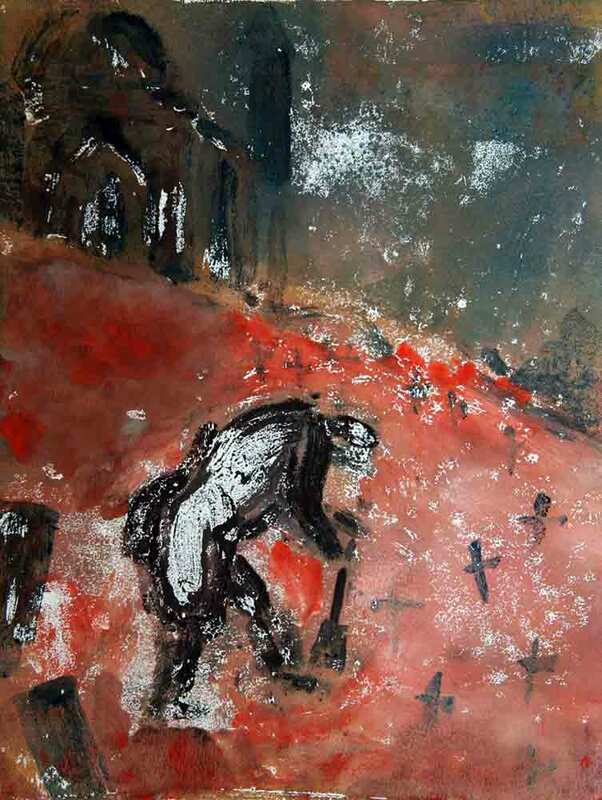 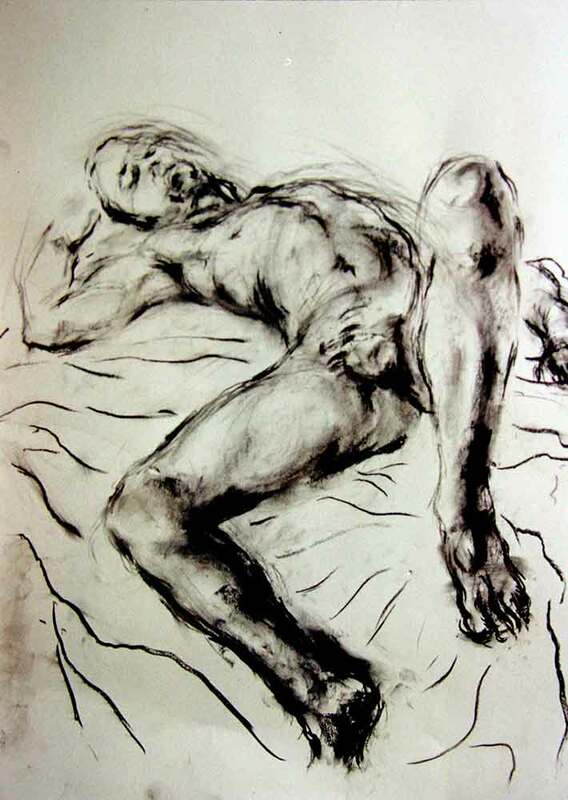 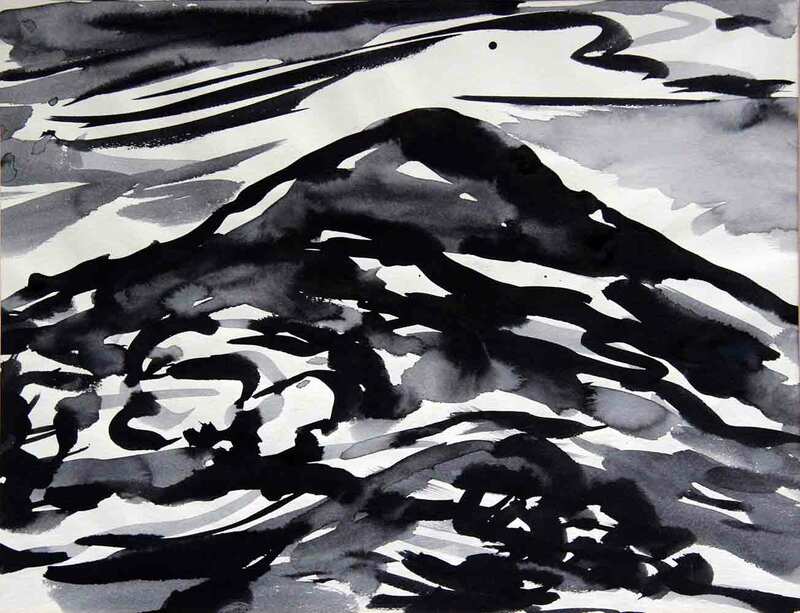 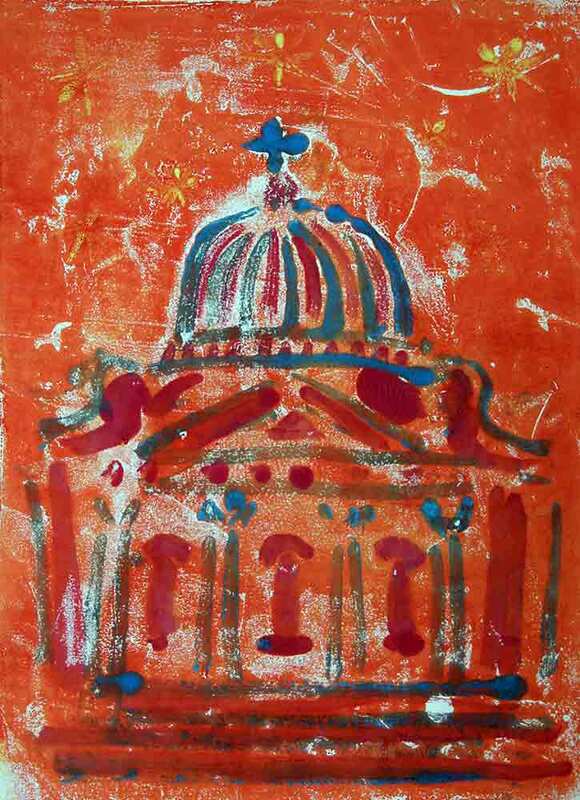 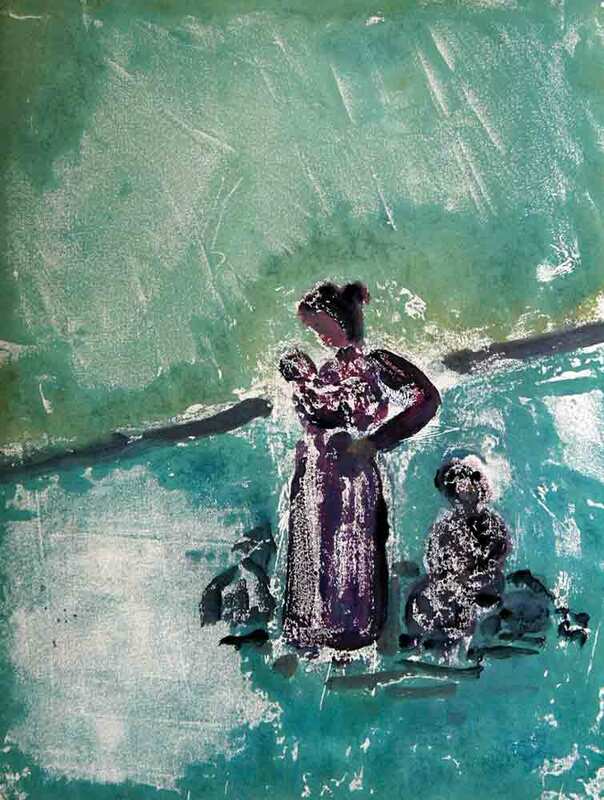 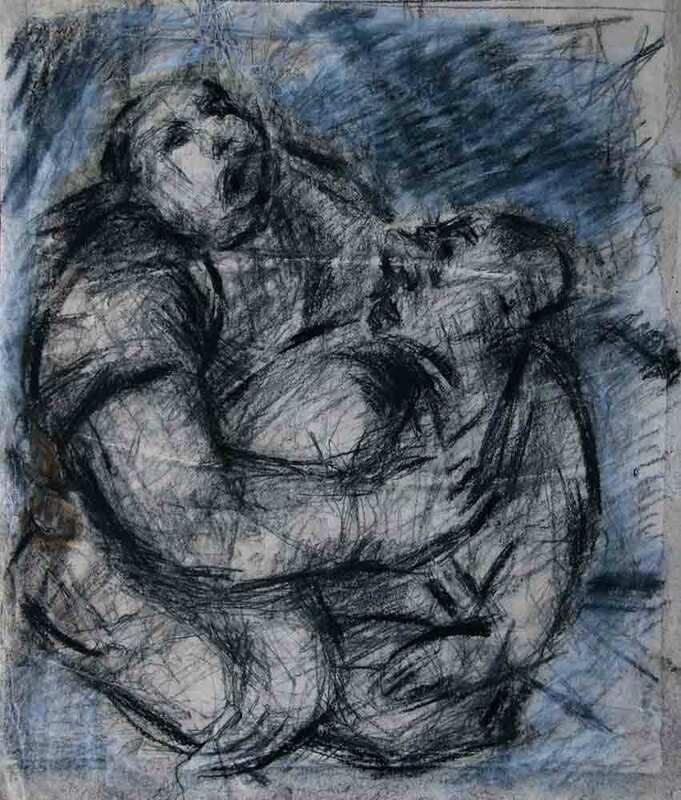 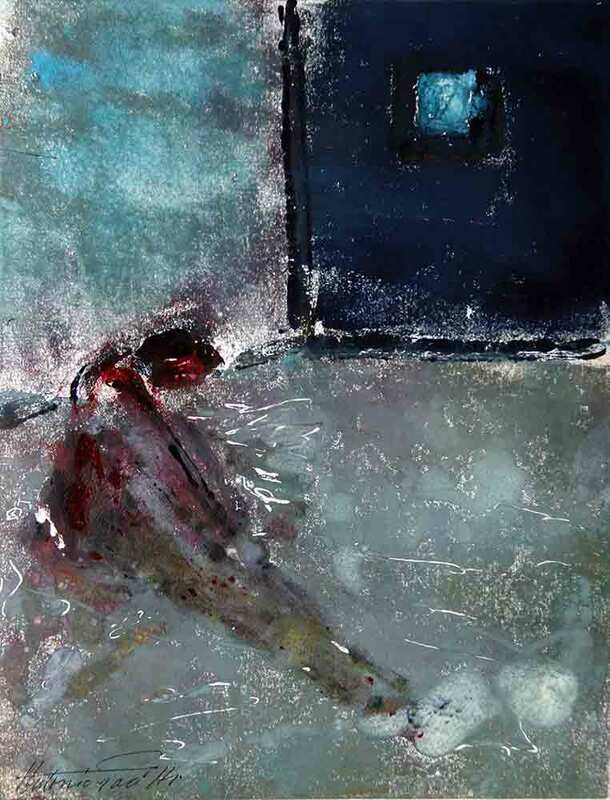 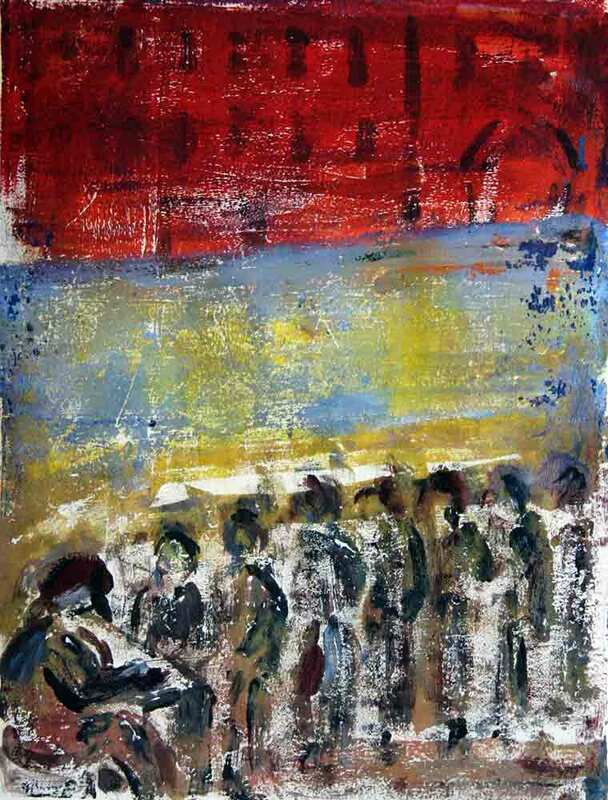 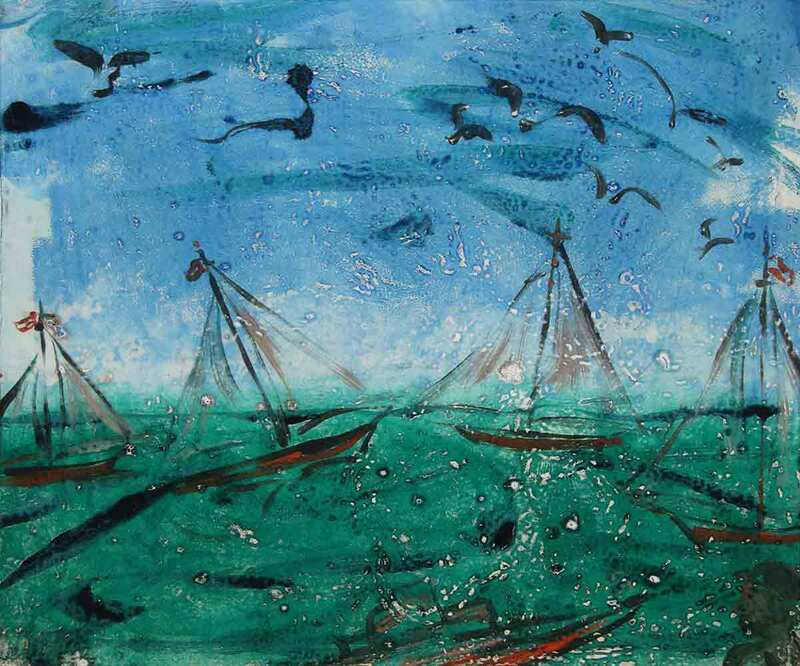 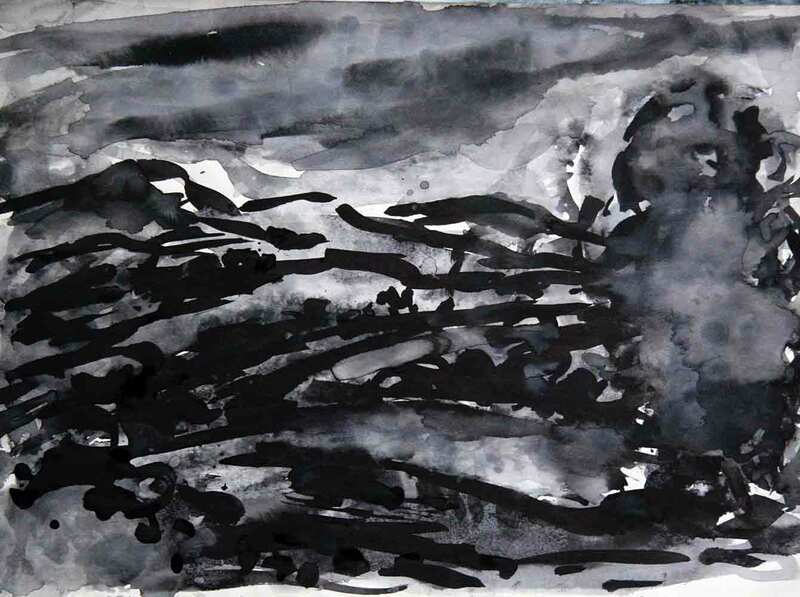 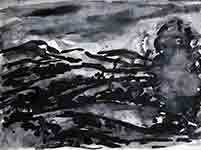 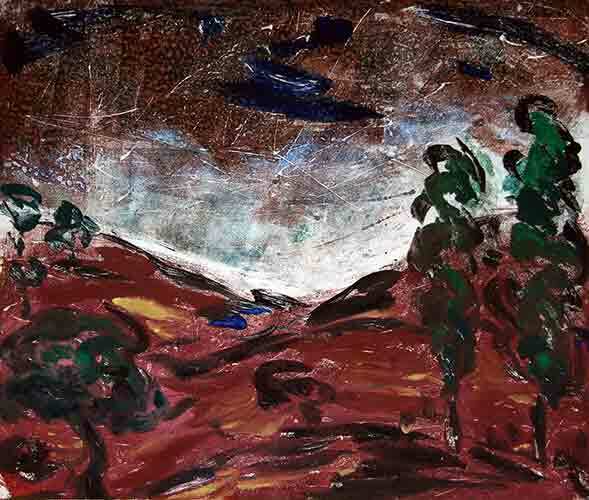 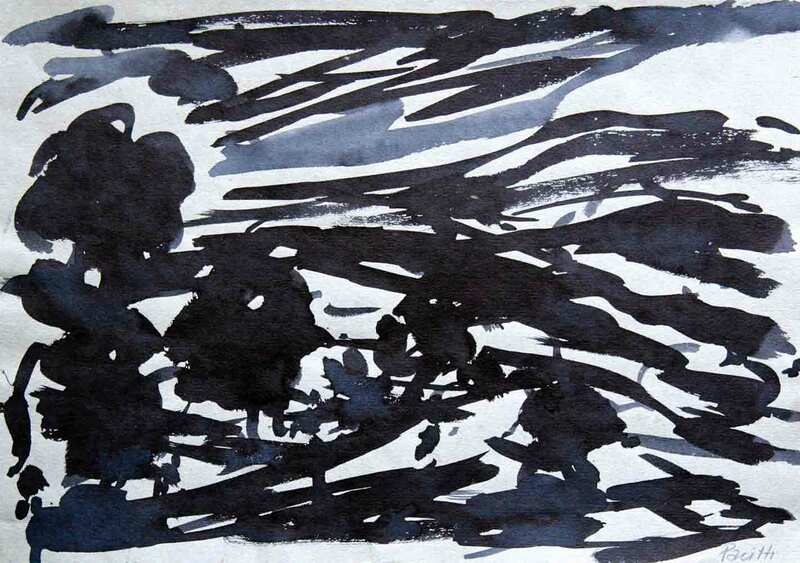 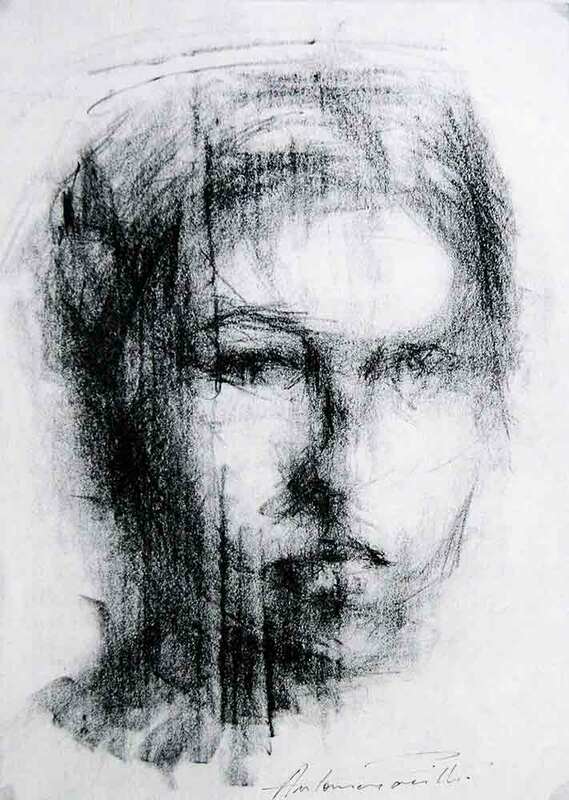 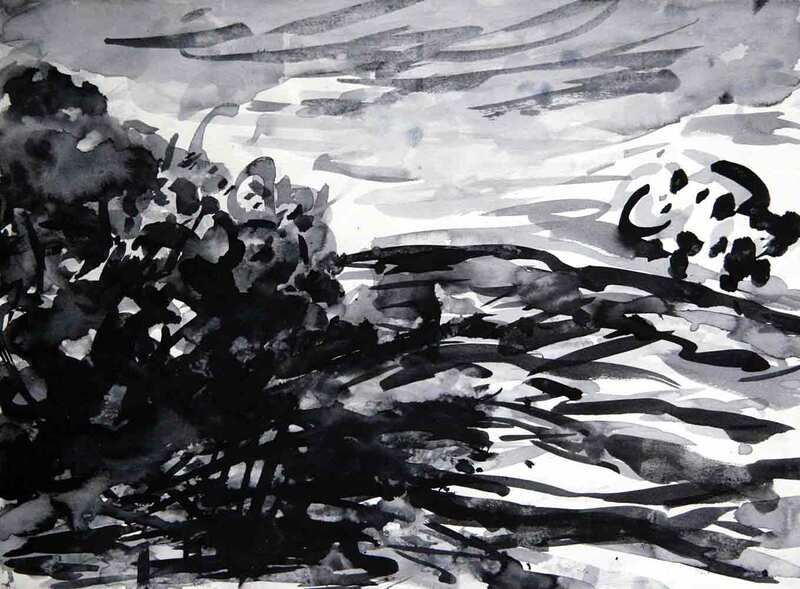 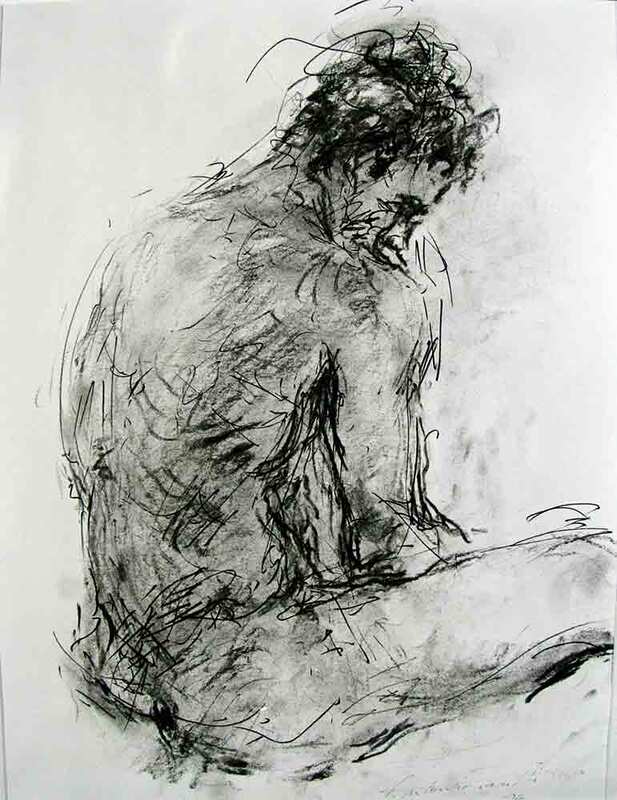 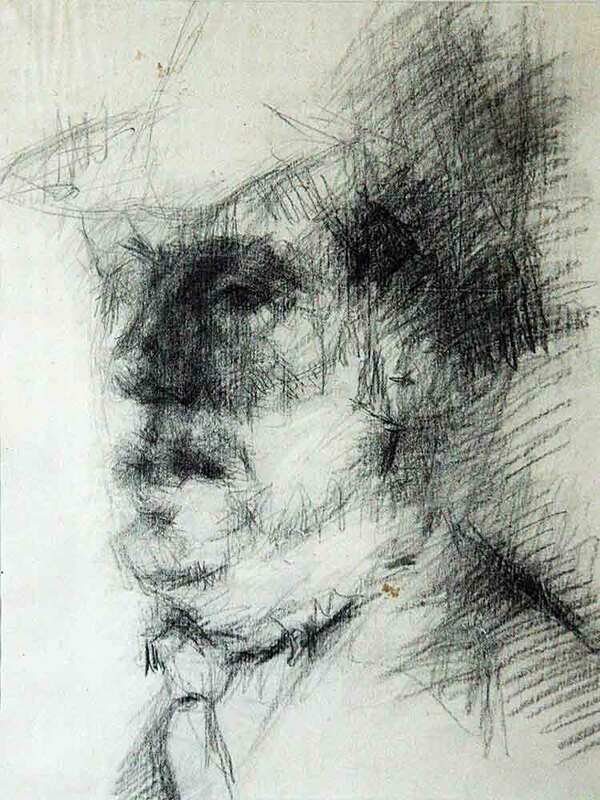 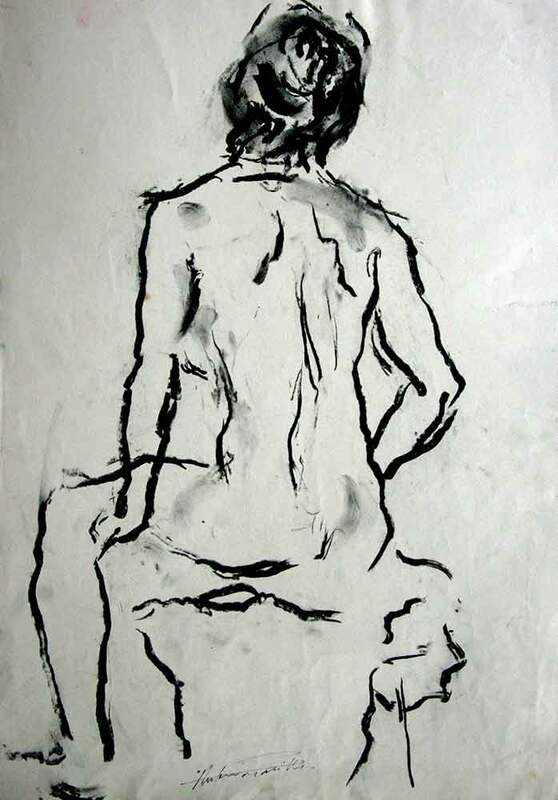 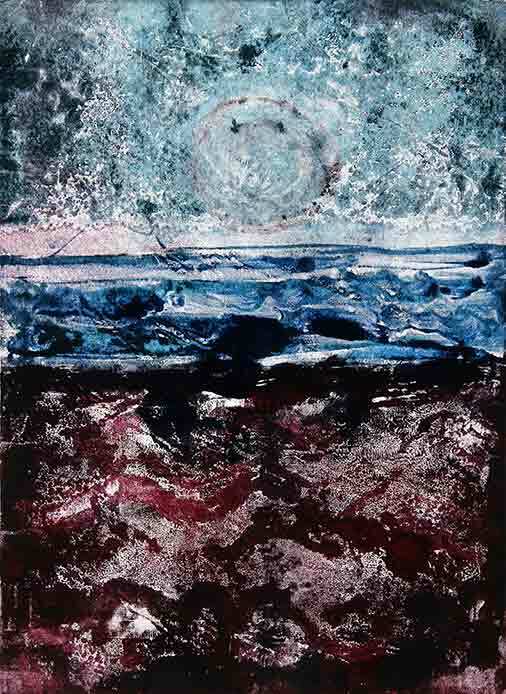 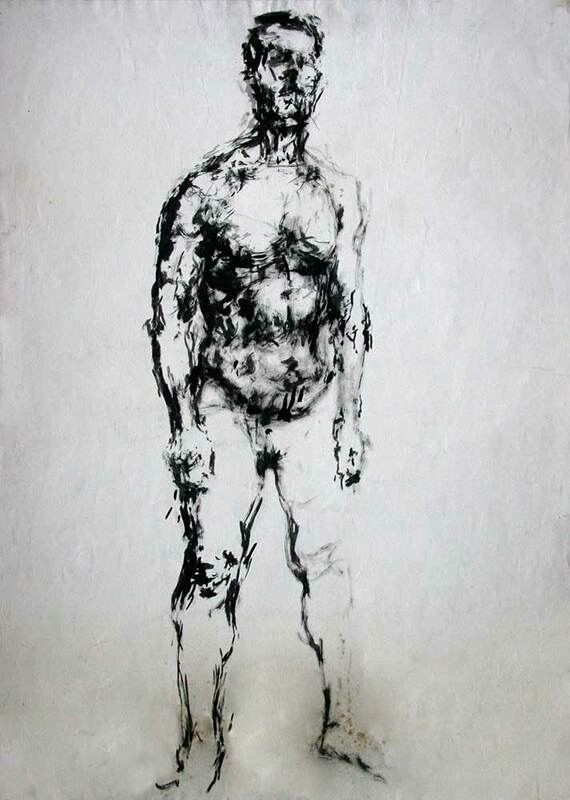 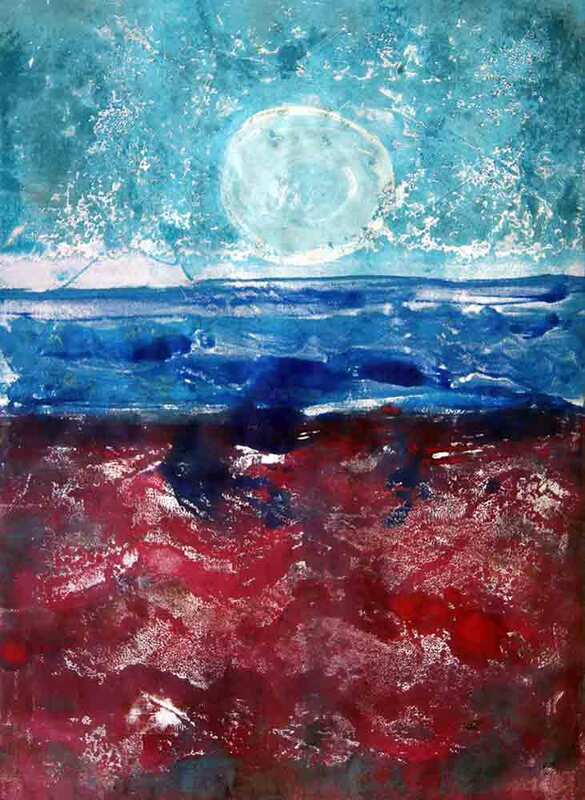 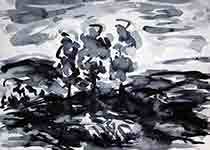 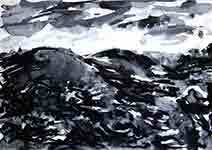 His late work included a series of monotypes depicting displacement, violence and imprisonment, fuelled by his distress at the suffering of civilians during the Iraq war. 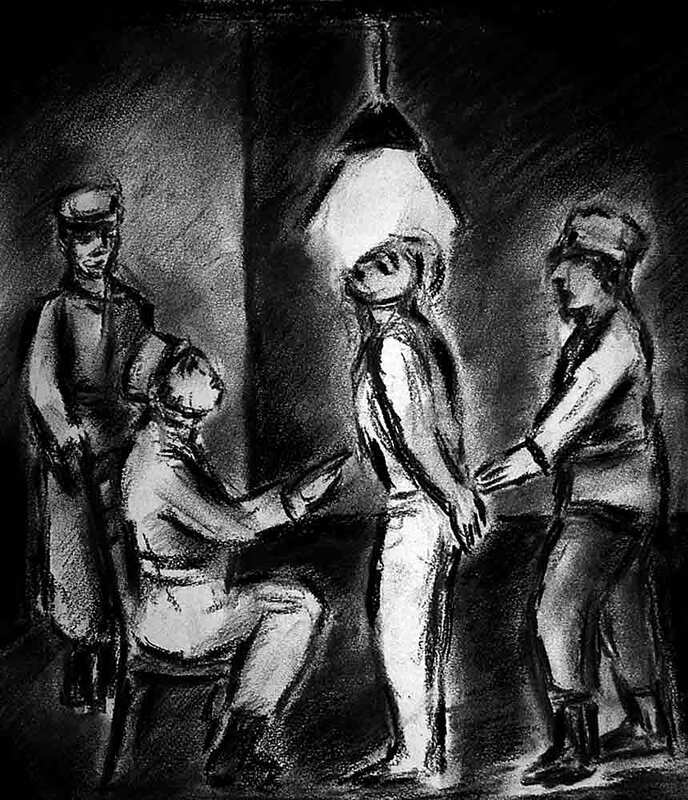 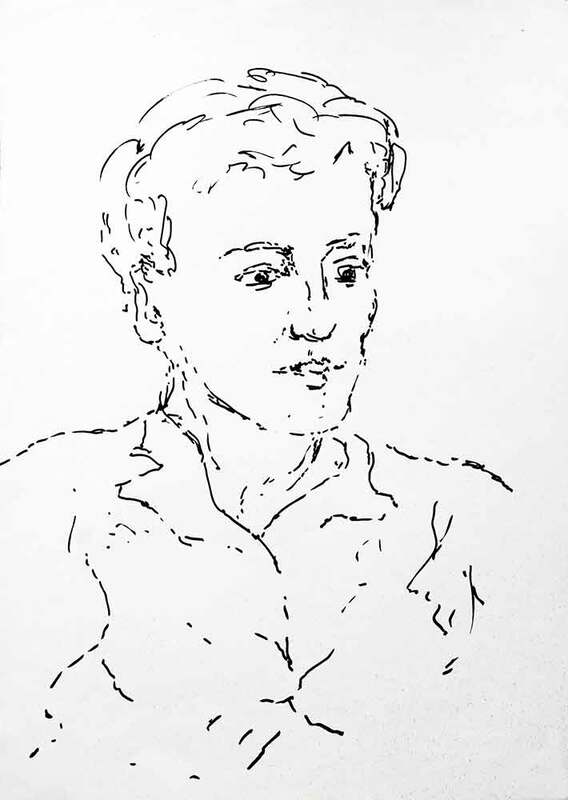 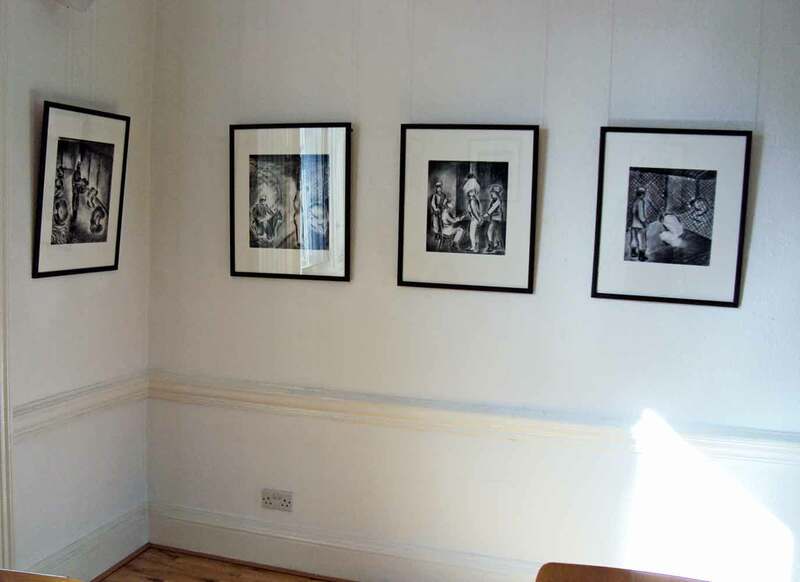 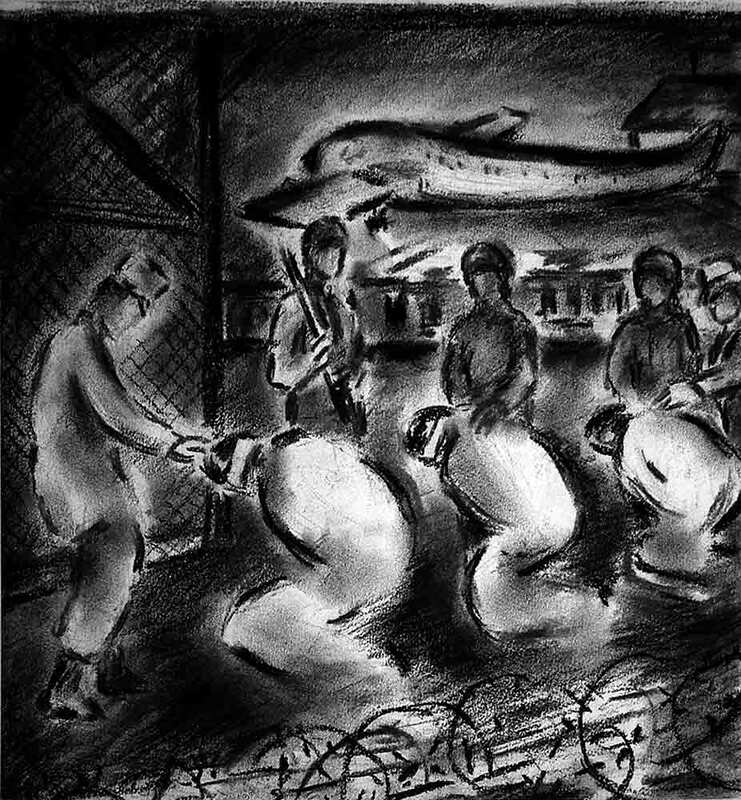 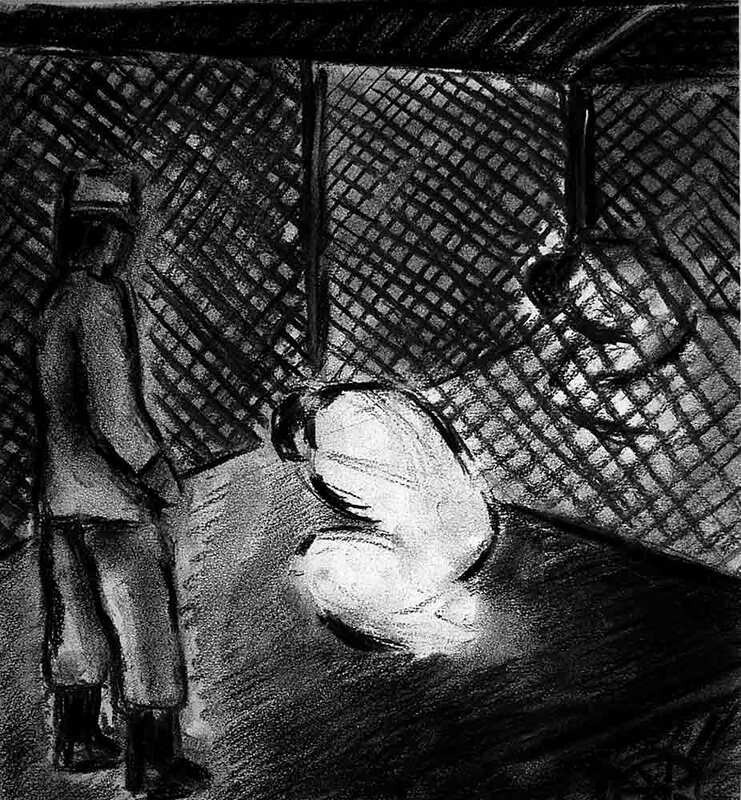 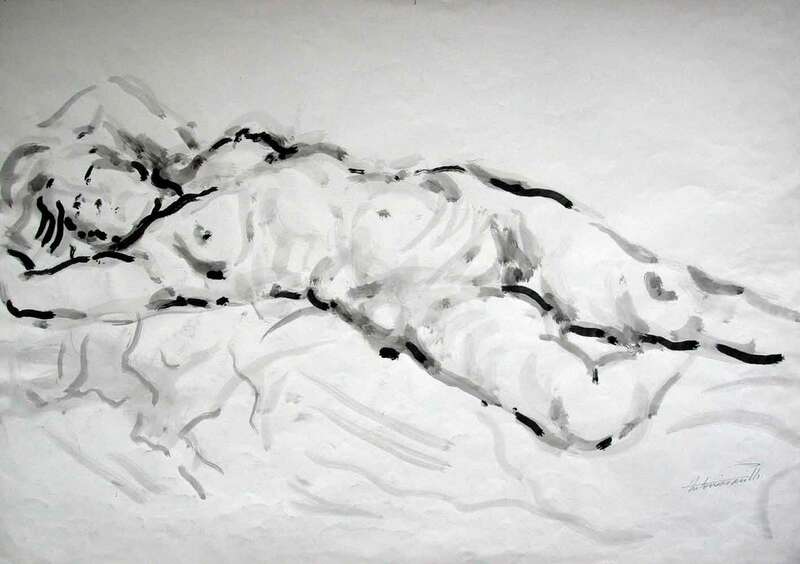 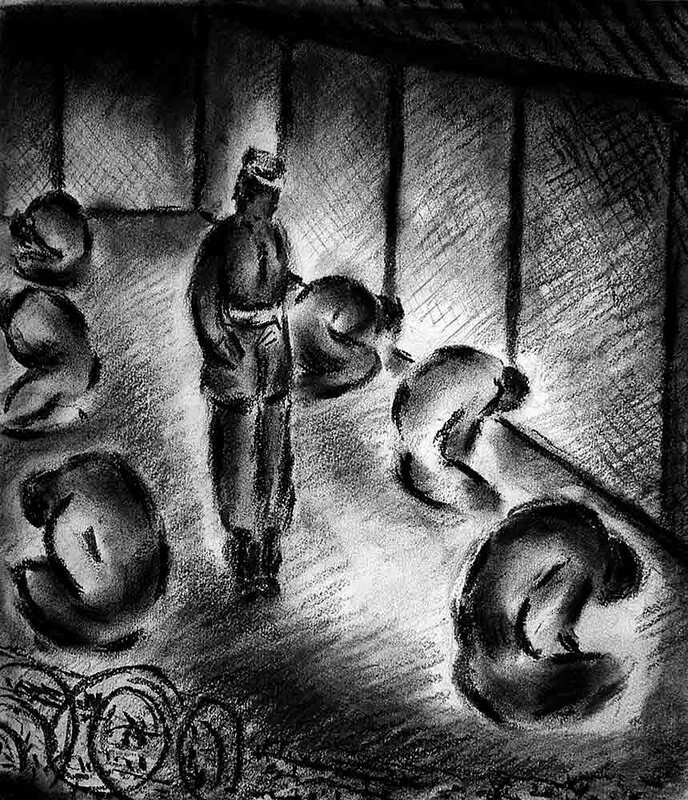 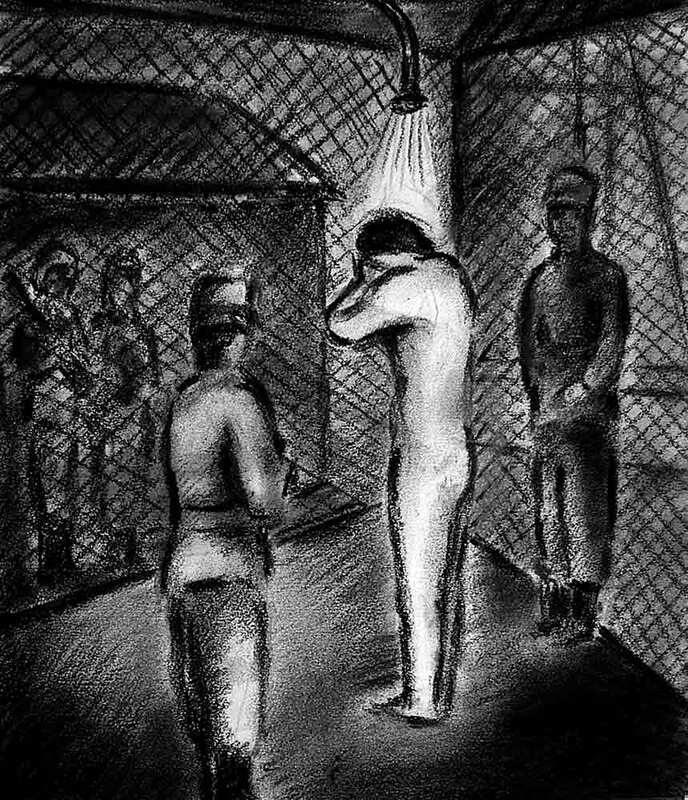 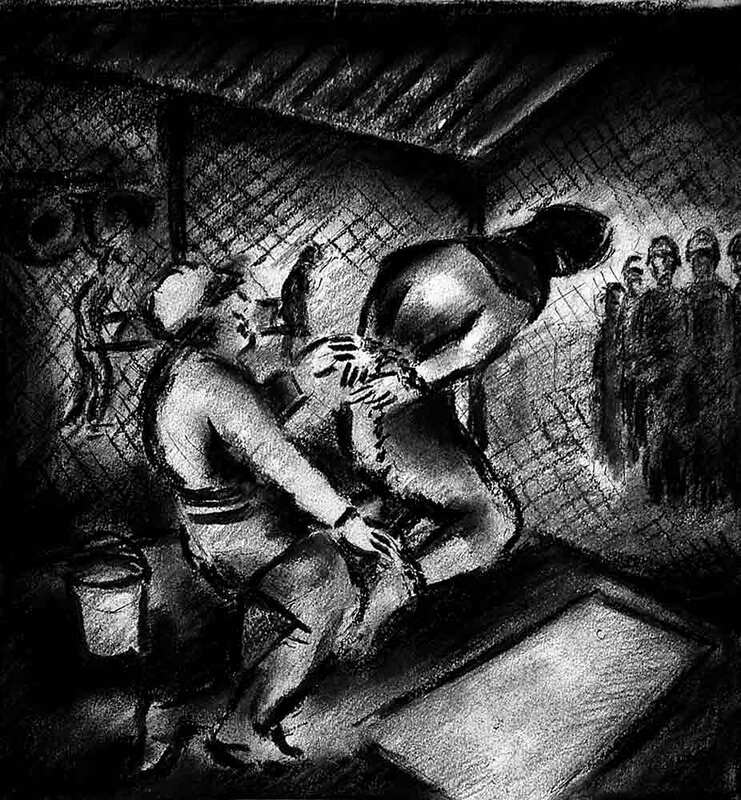 The Guantanamo drawings have appeared in various exhibitions and publications, including Guantanamo, a collection of poems and drawings produced in collaboration with his wife Diane Pacitti. 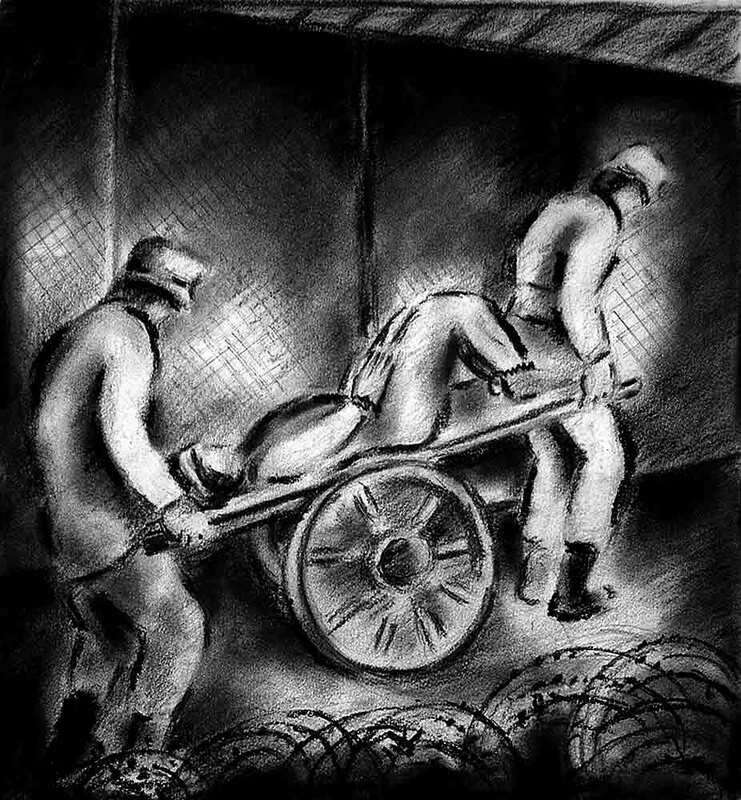 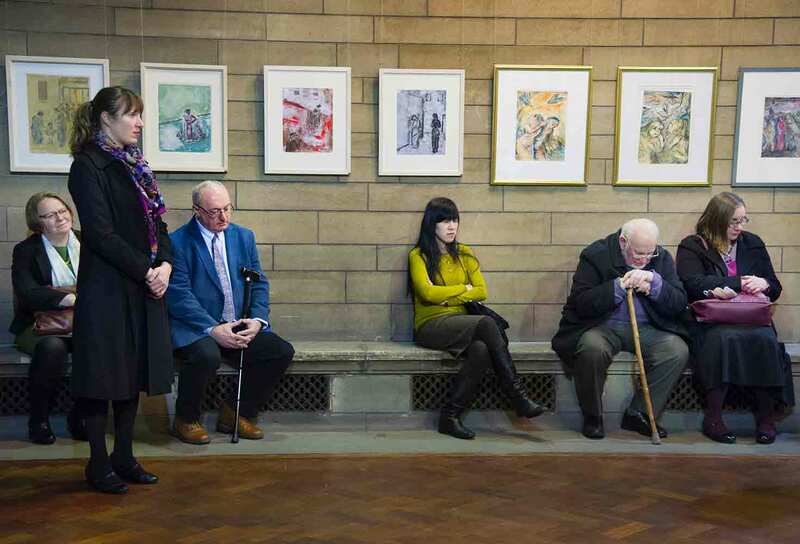 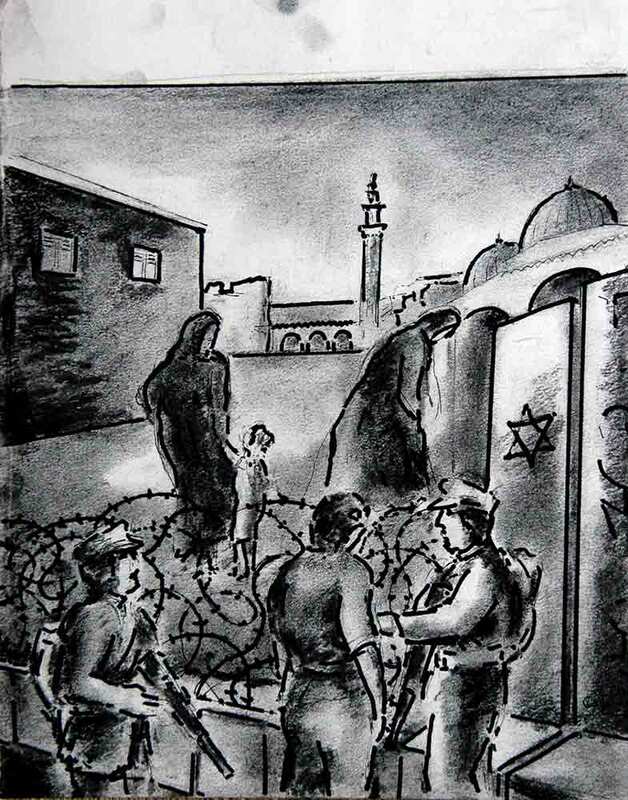 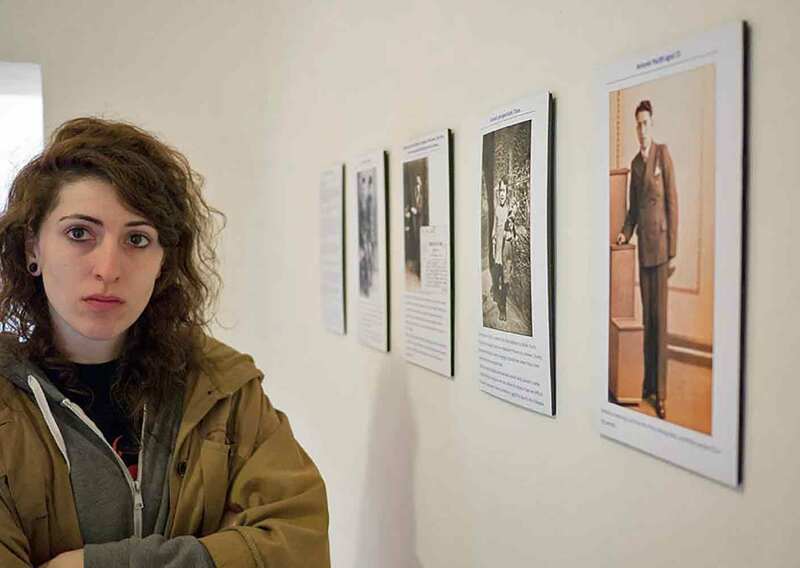 When Pacitti’s images of war and displacement featured in the exhibition In an Occupied Land at Glasgow University Memorial Chapel, it was an item on the BBC Scotland television news. 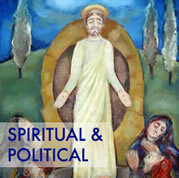 Click on the Charter for Compassion button on the home page for more information. 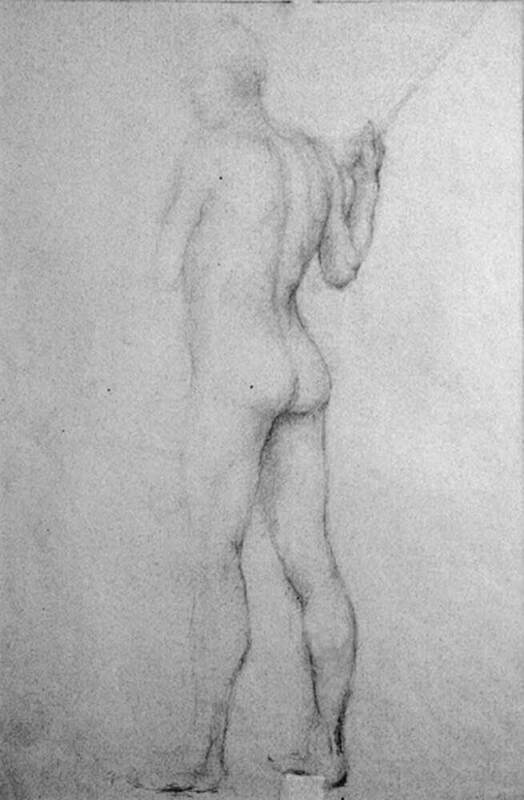 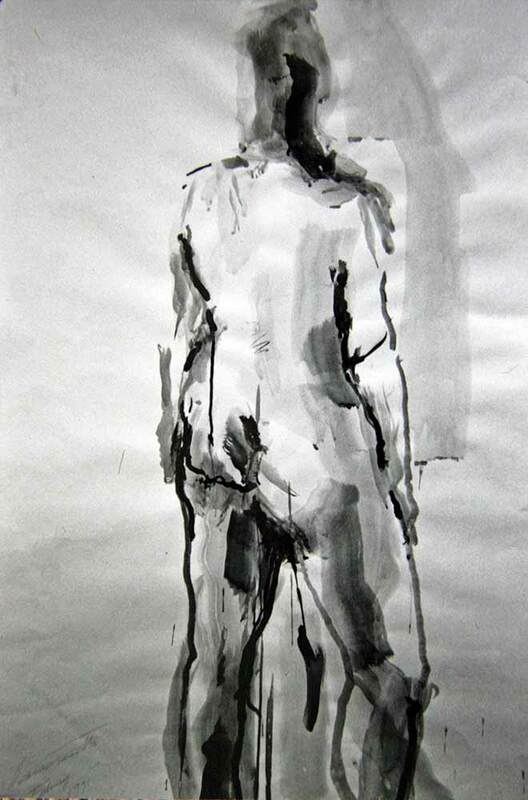 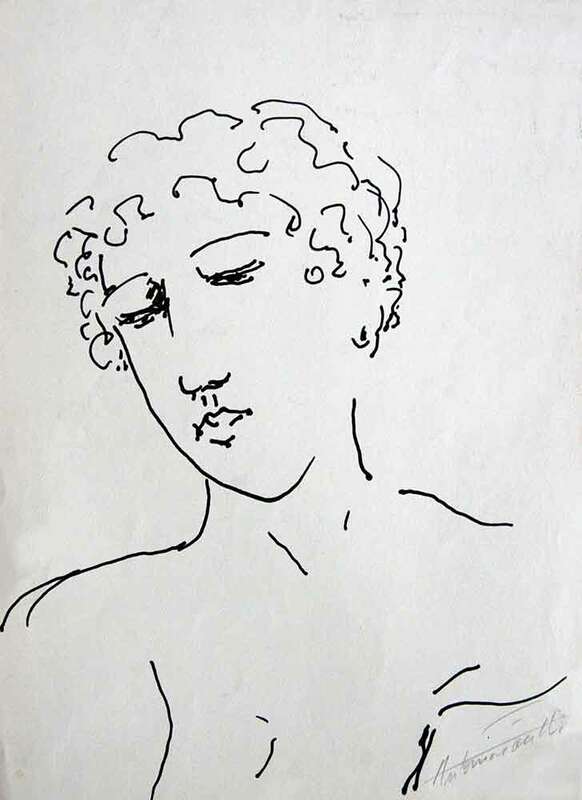 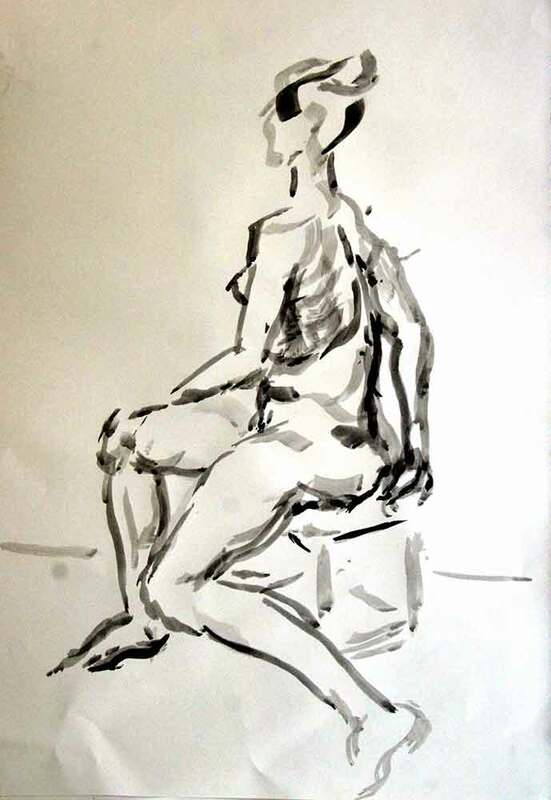 One of Antonio Pacitti’s drawings is in the British Museum collection. 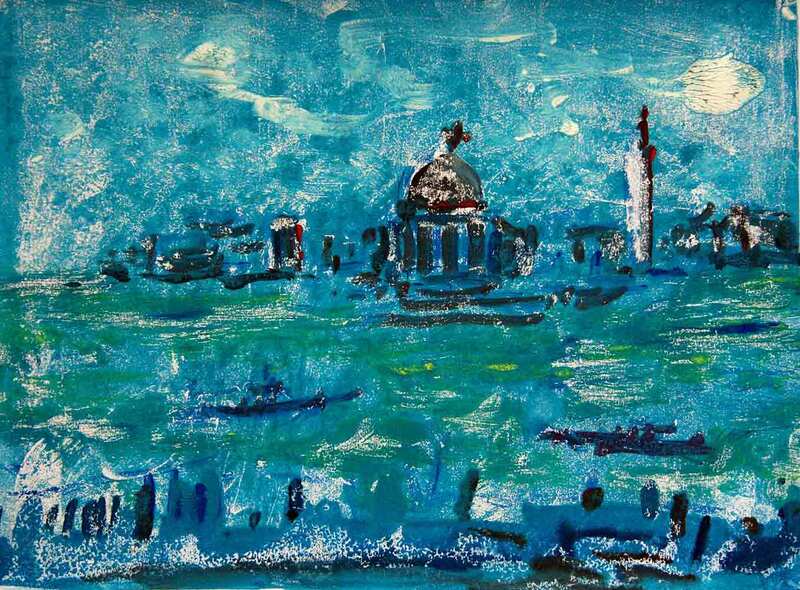 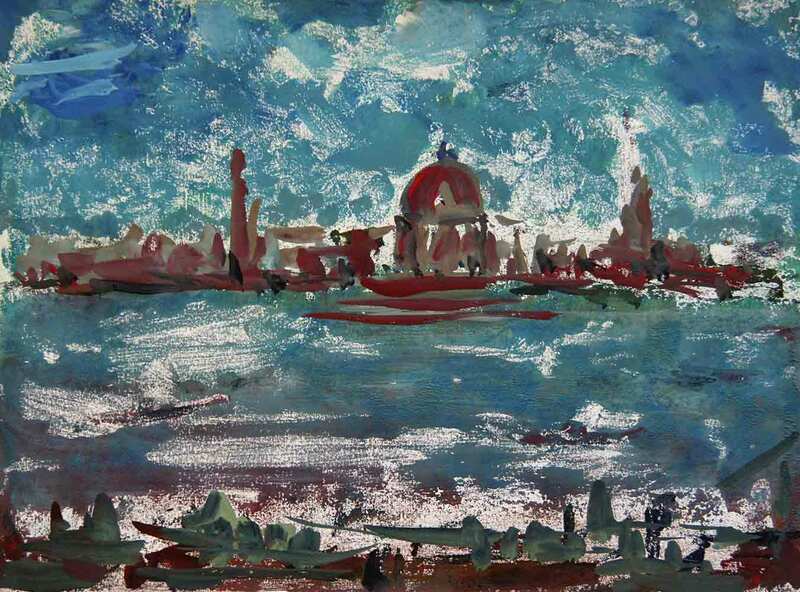 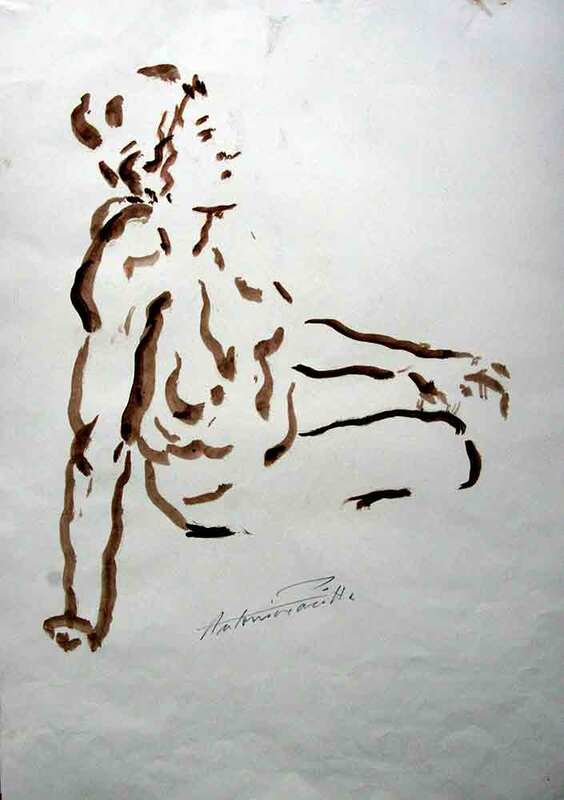 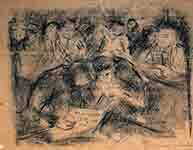 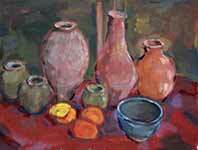 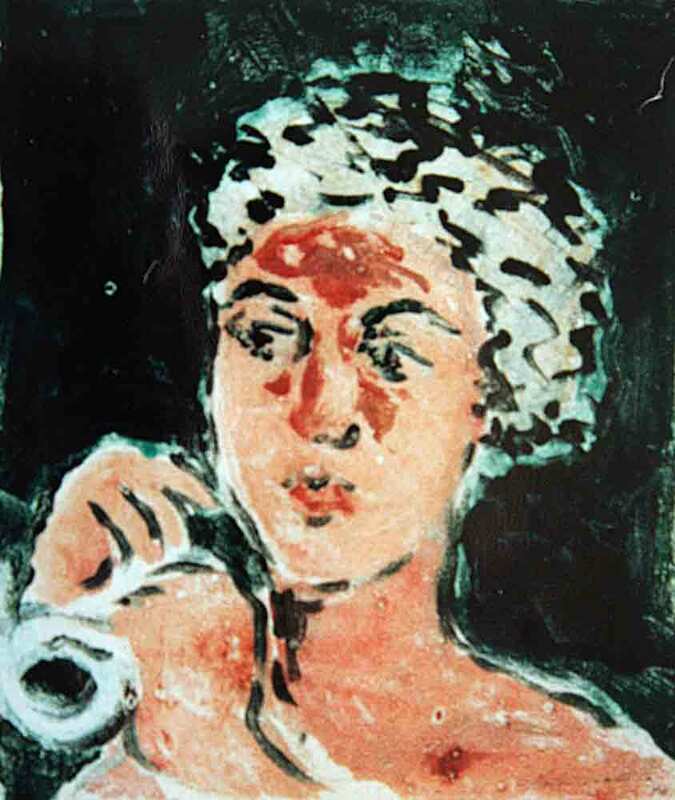 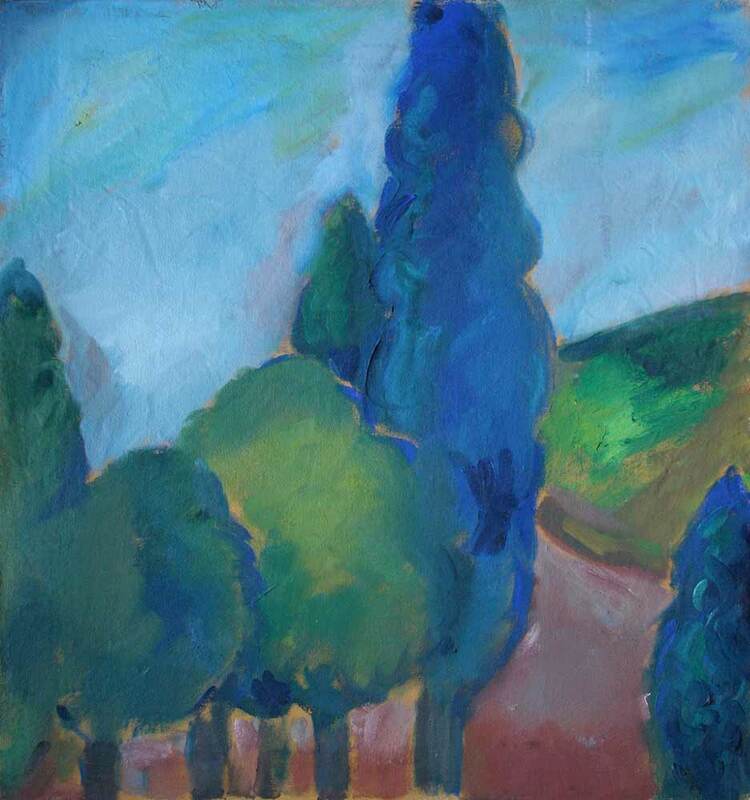 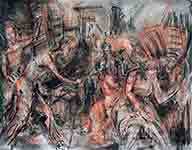 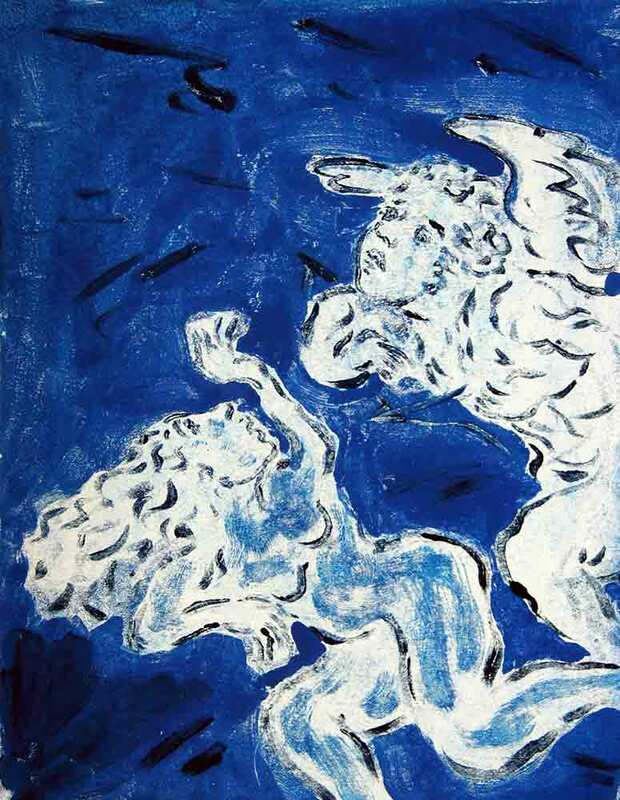 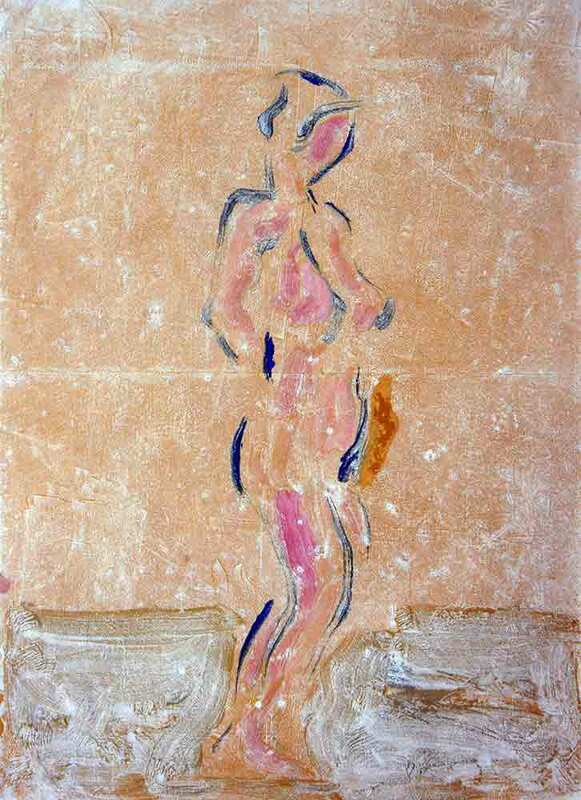 His solo exhibitions included Paintings, Drawings and Ceramics at the Accademia Italiana. 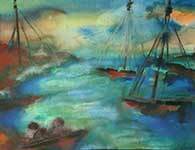 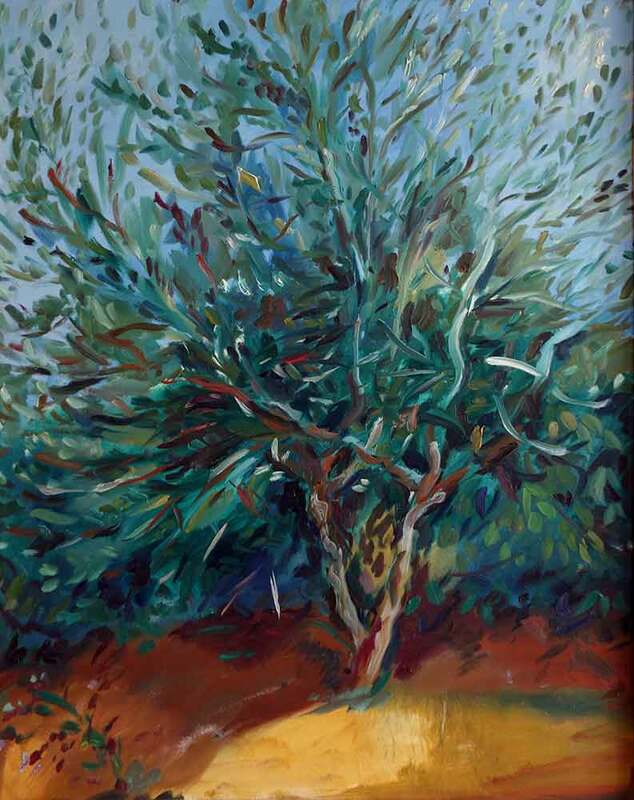 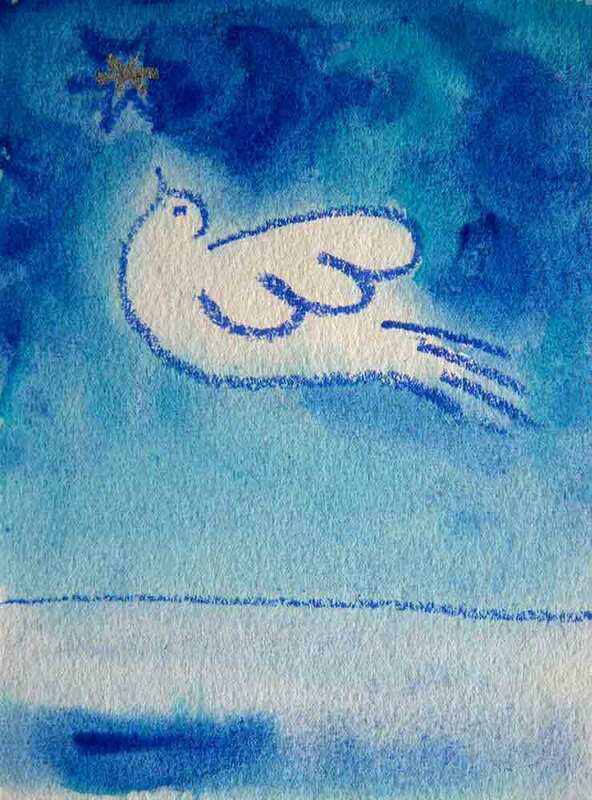 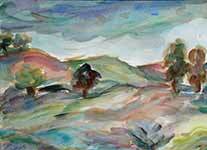 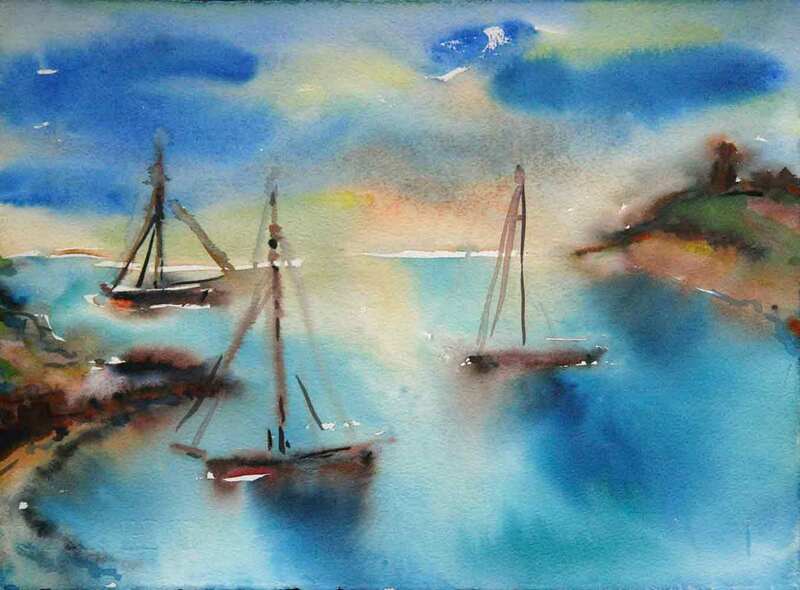 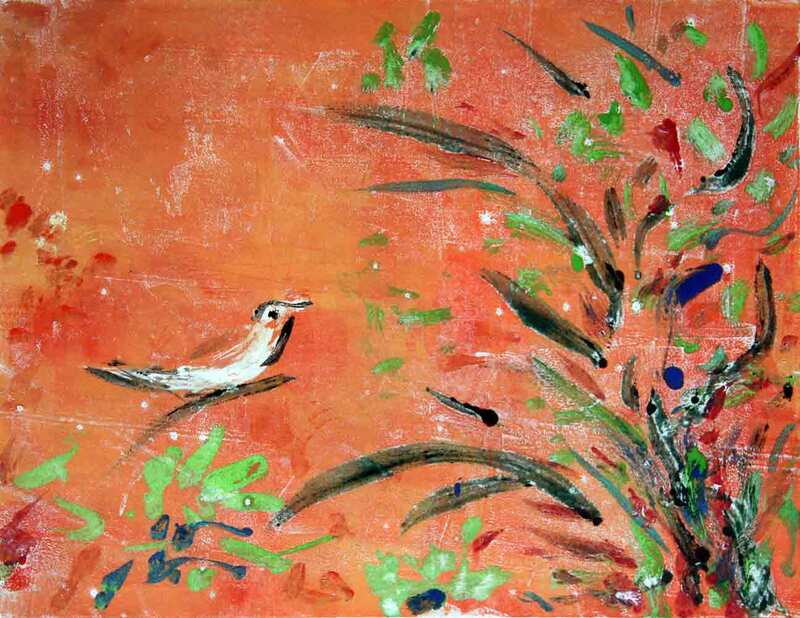 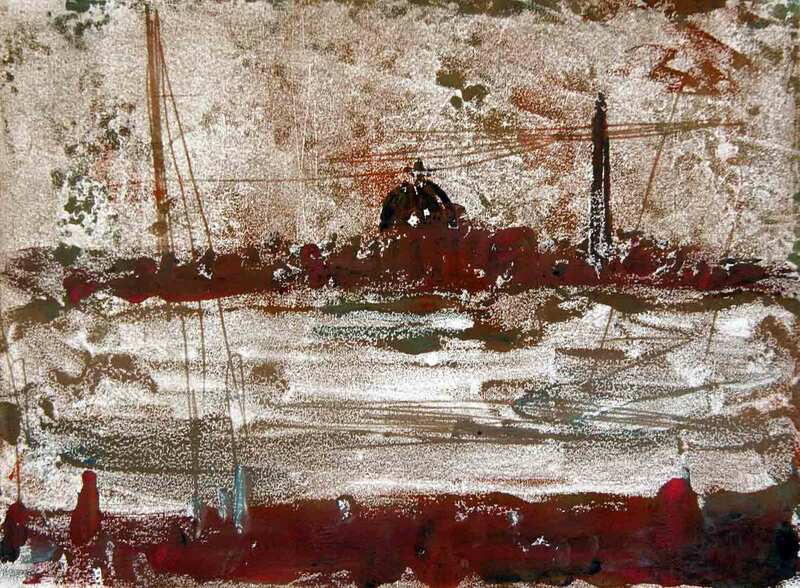 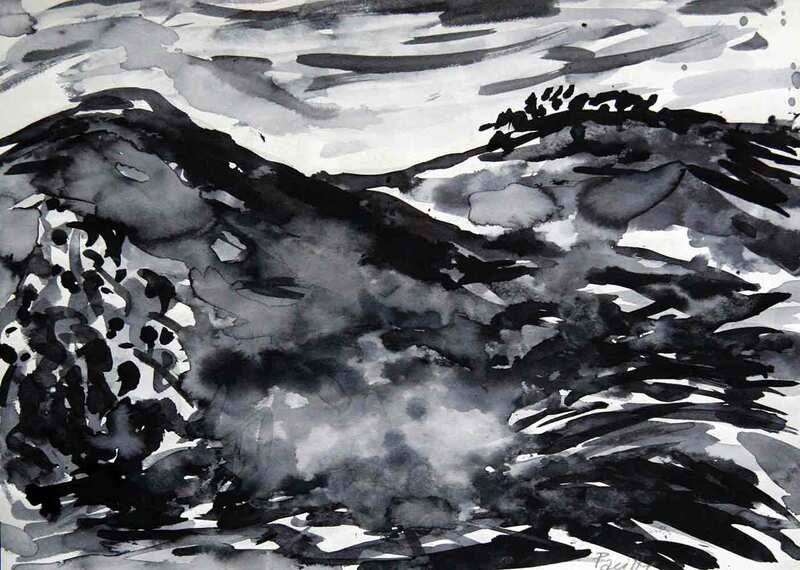 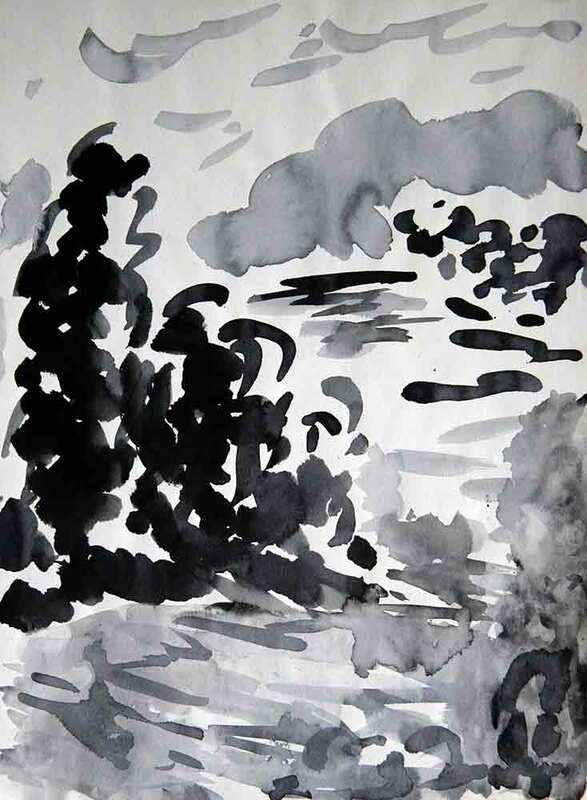 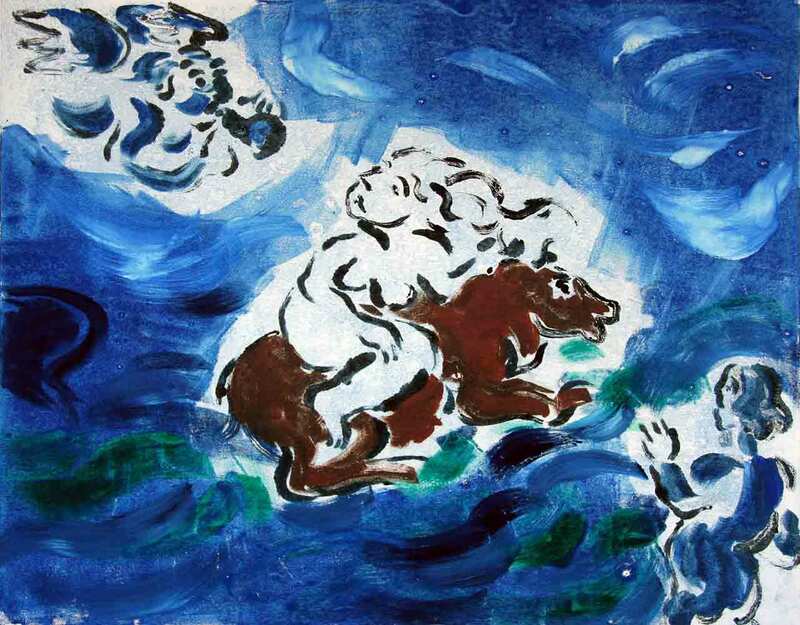 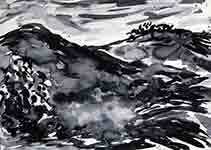 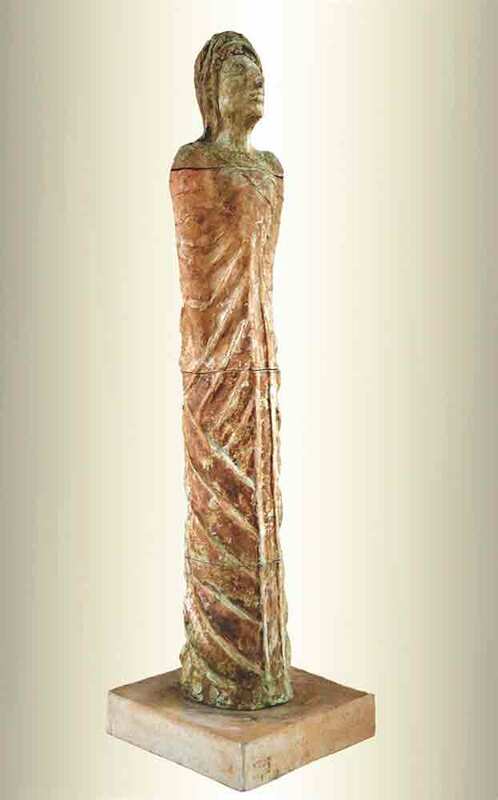 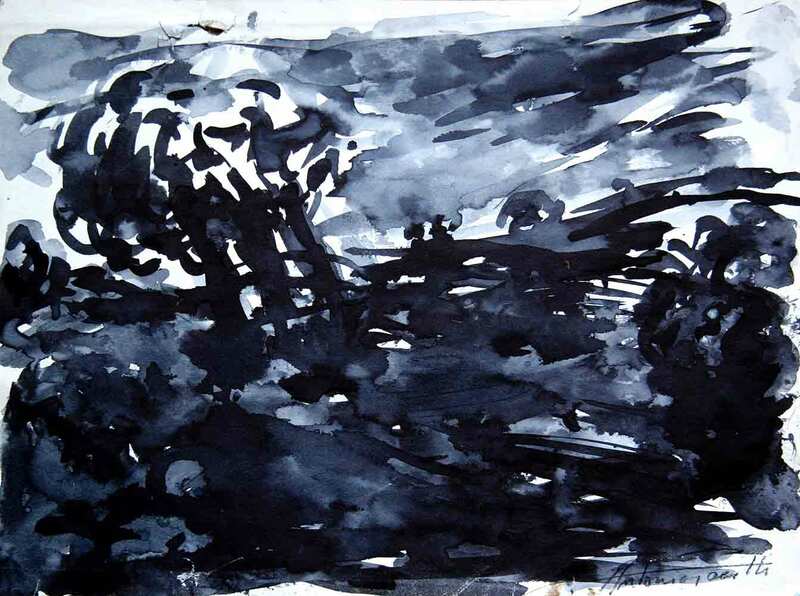 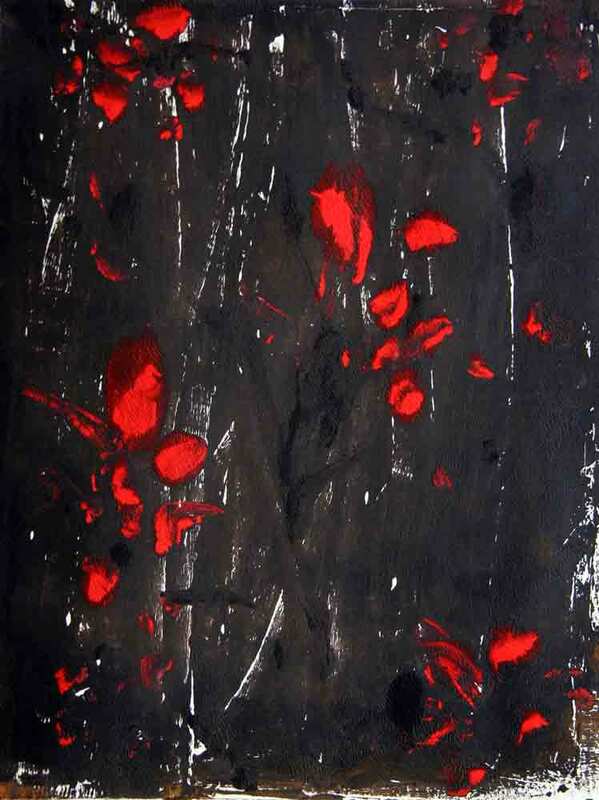 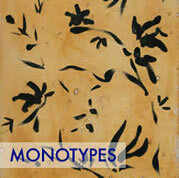 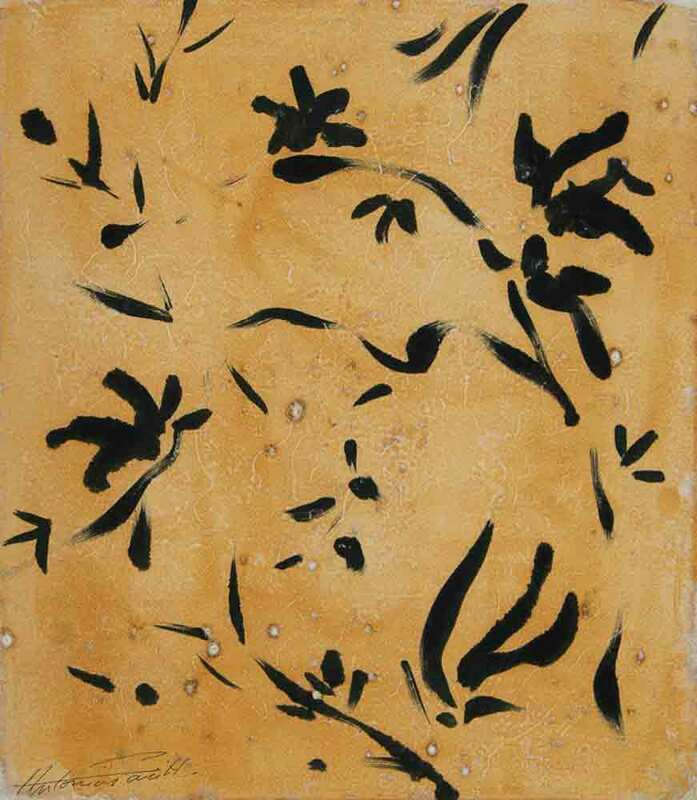 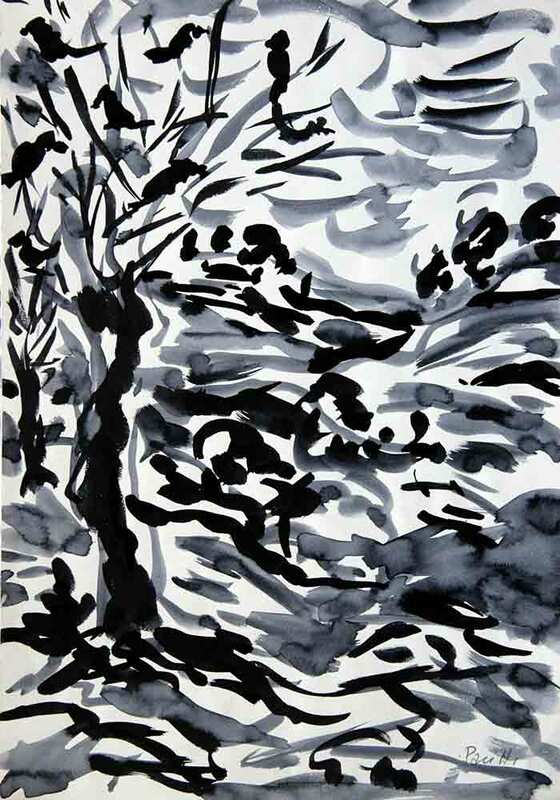 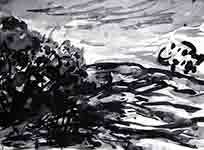 In 1999, he was an invited artist at the Malta Biennale and received the award for Graphics and Watercolours. 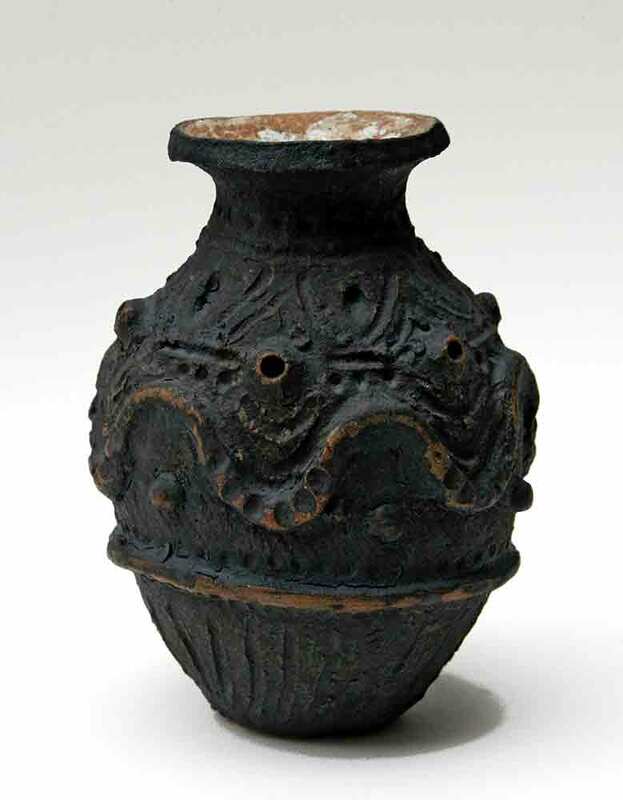 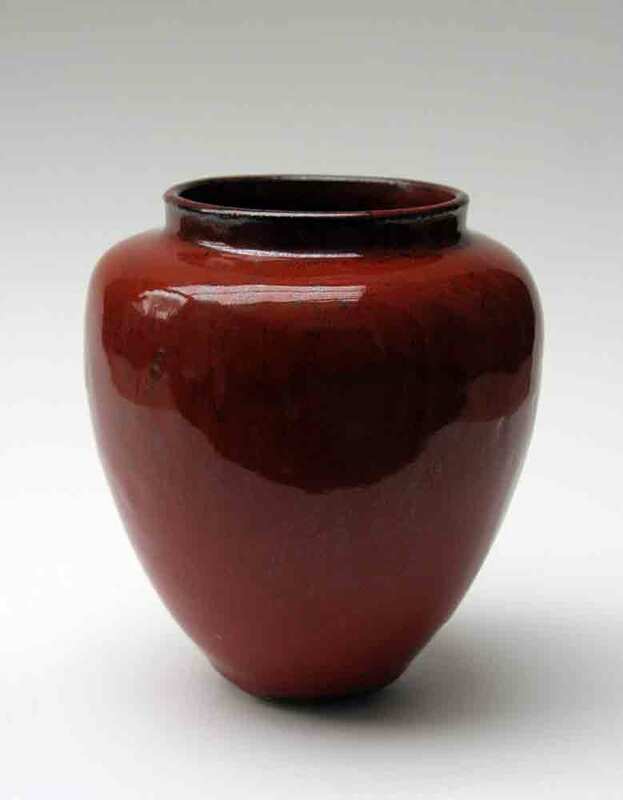 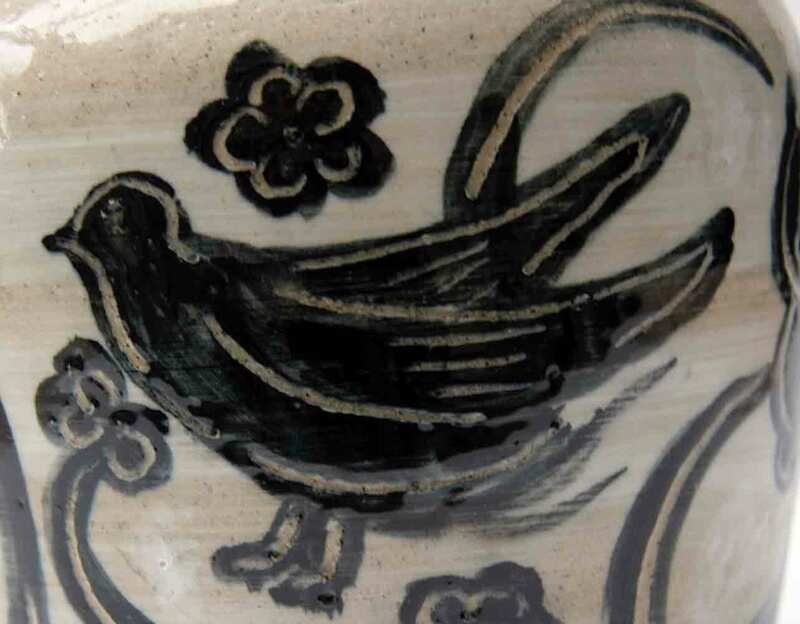 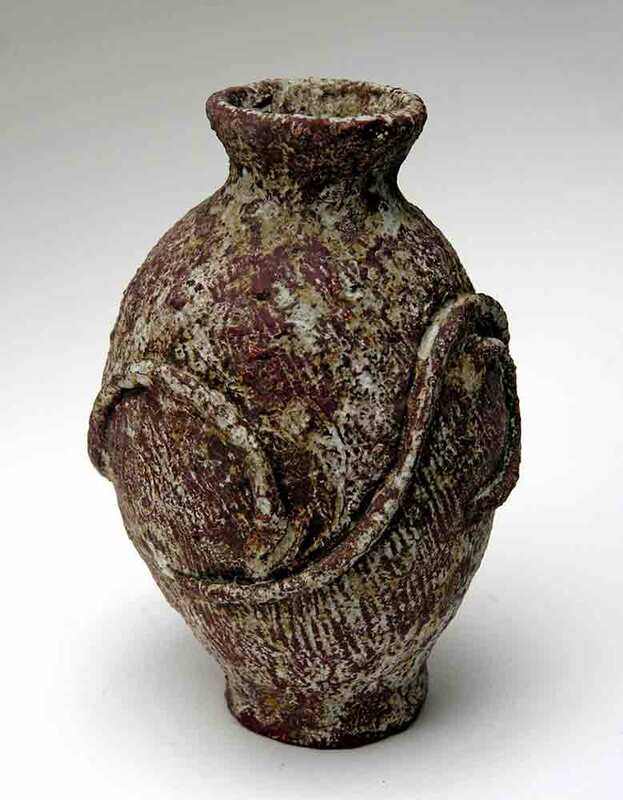 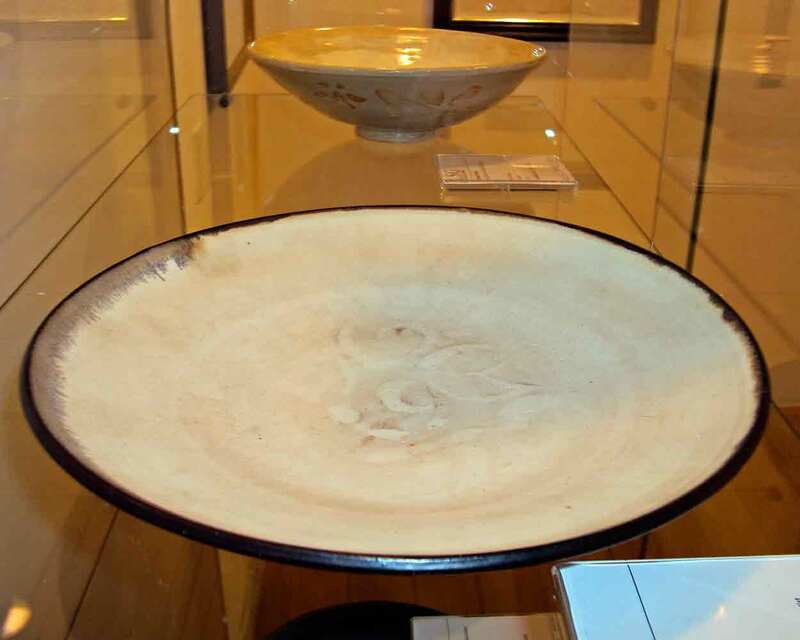 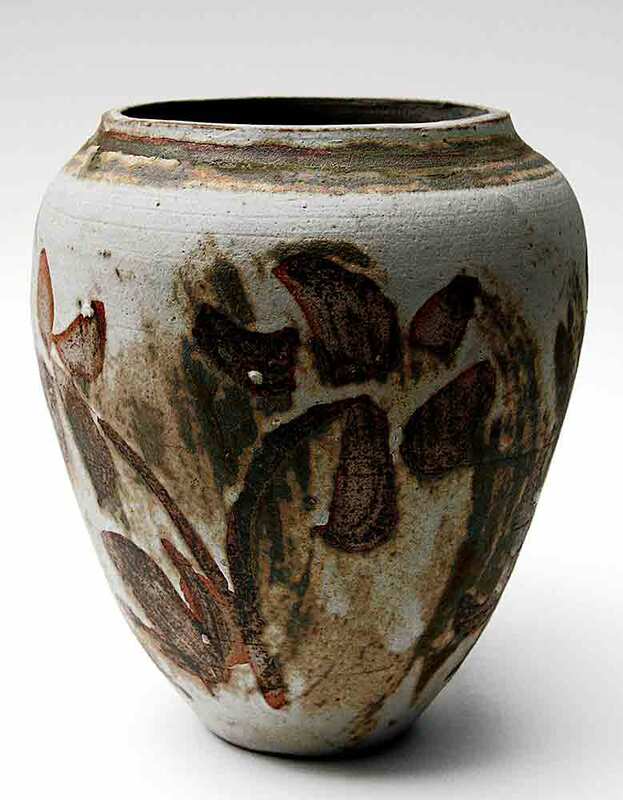 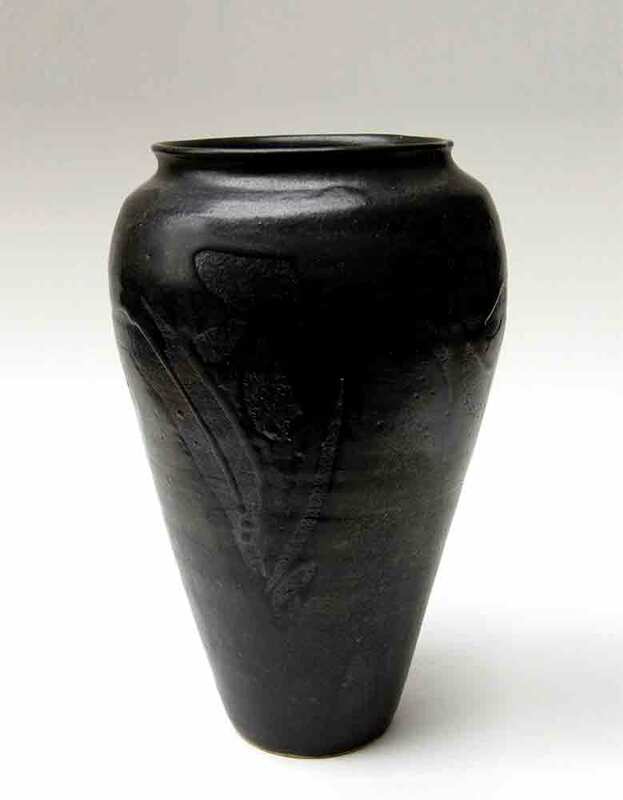 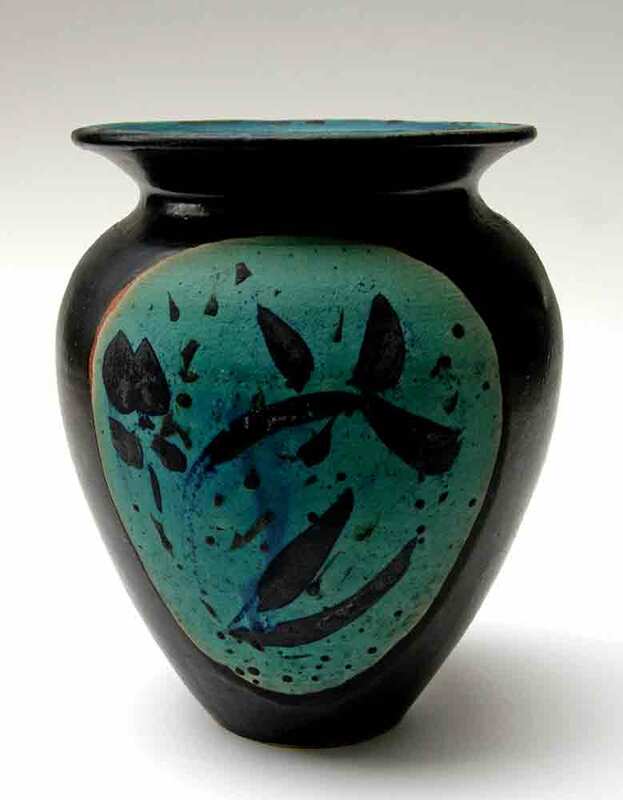 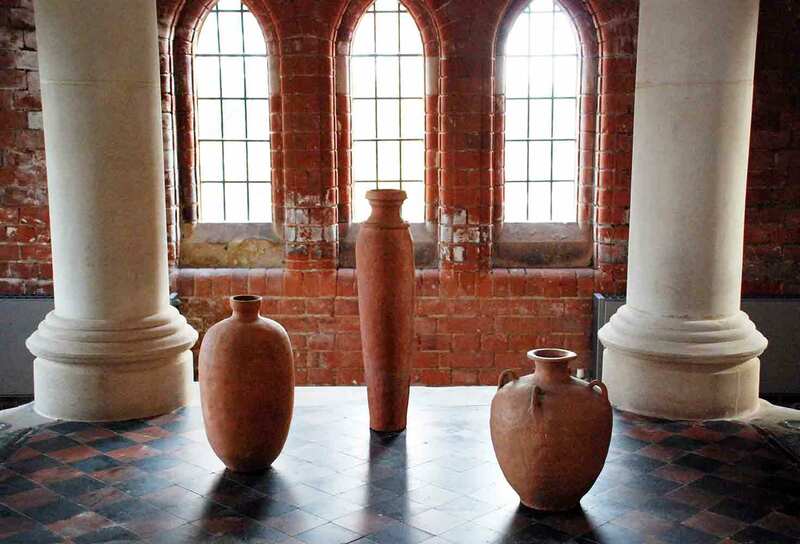 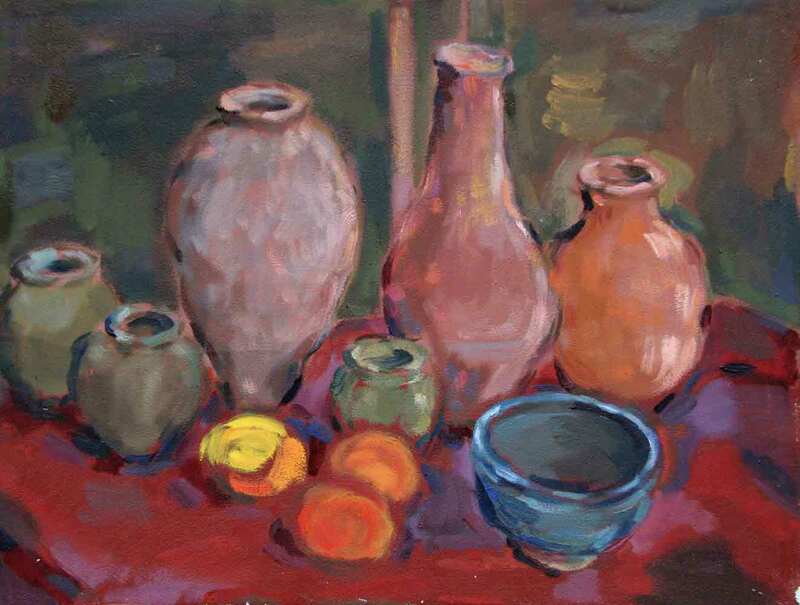 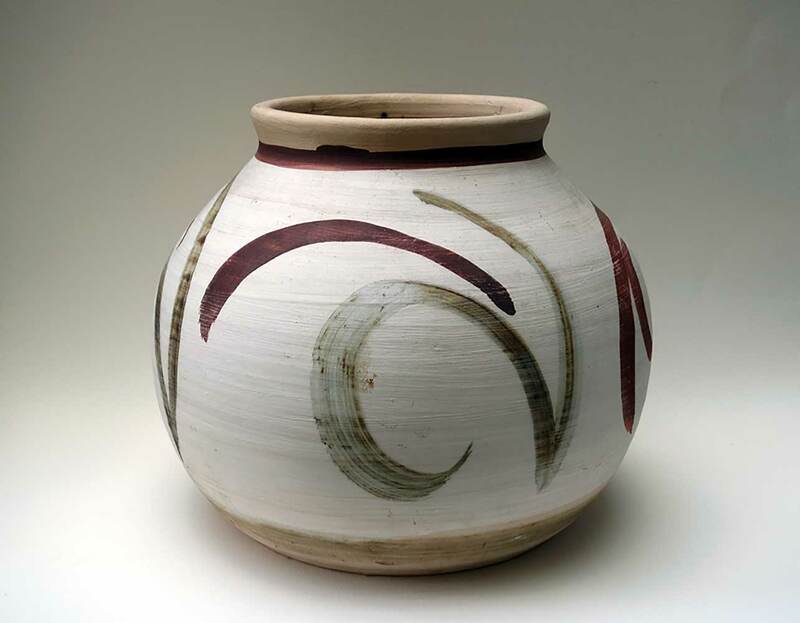 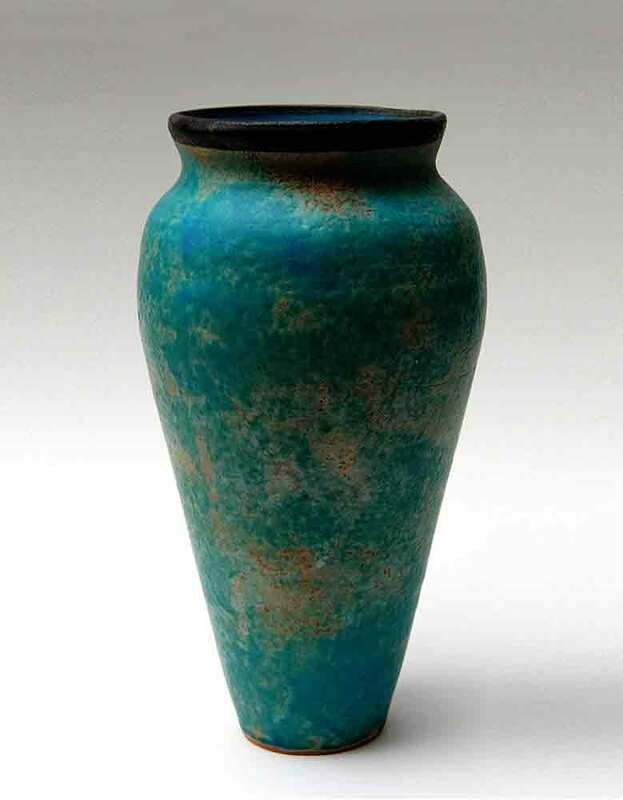 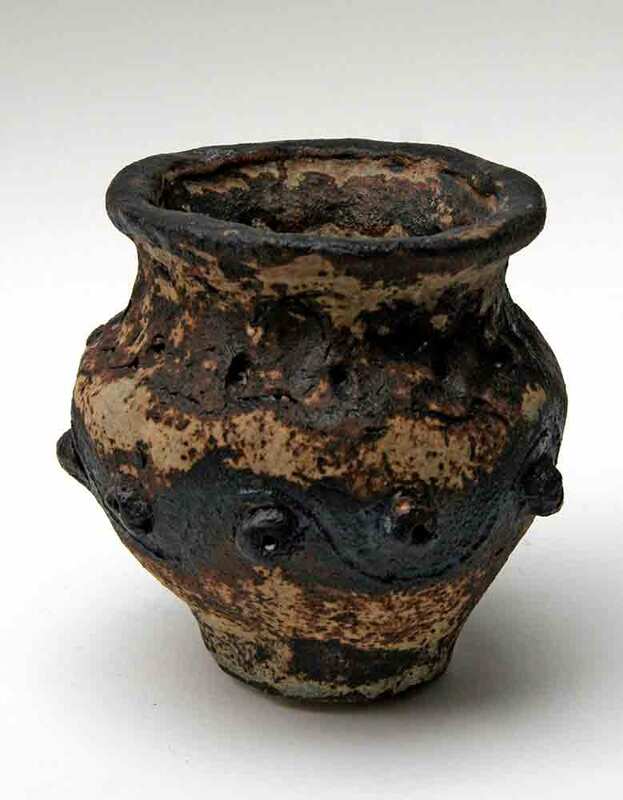 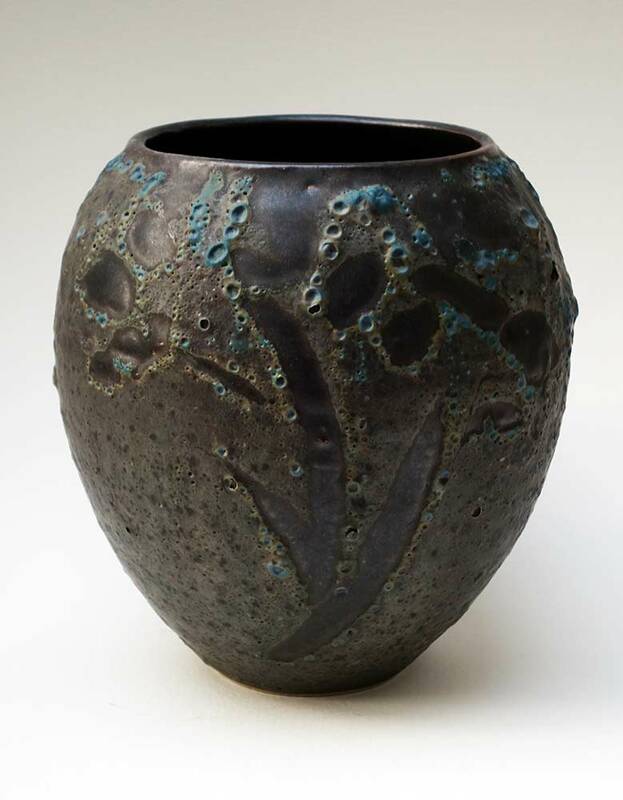 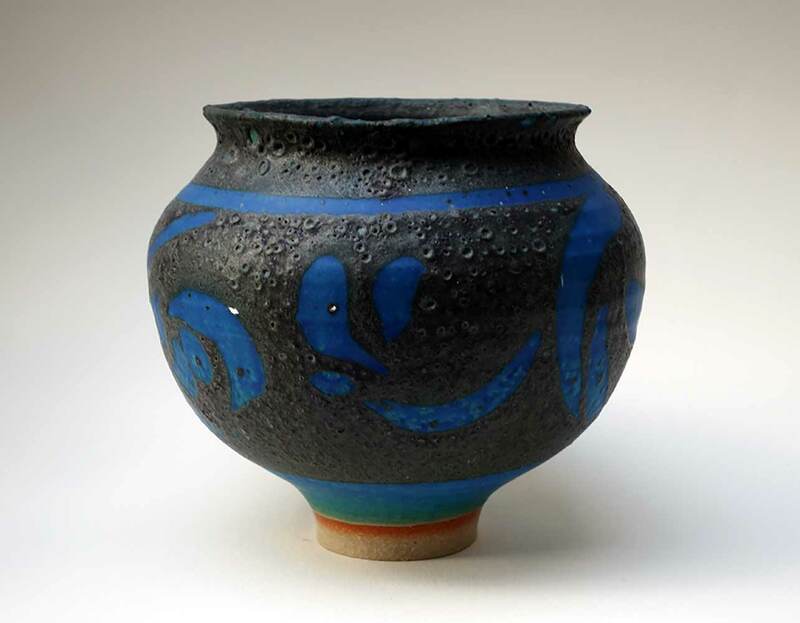 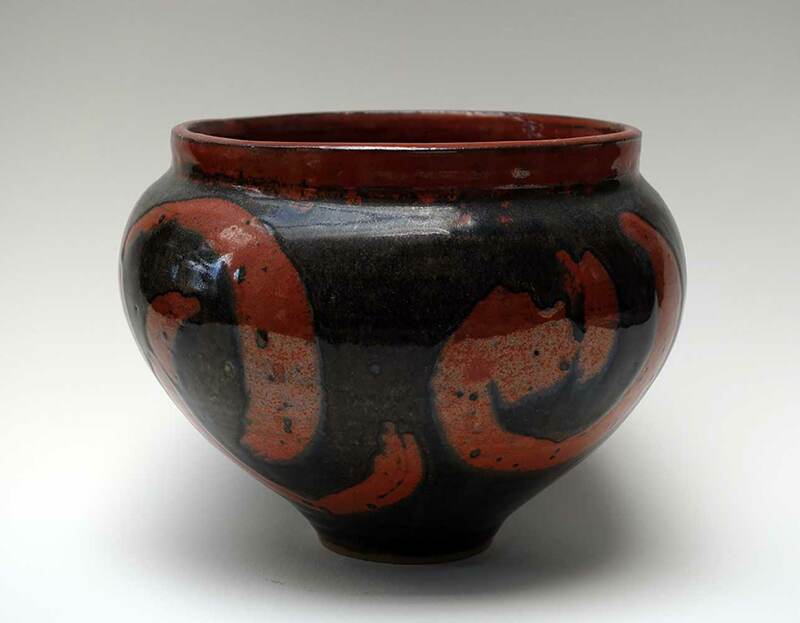 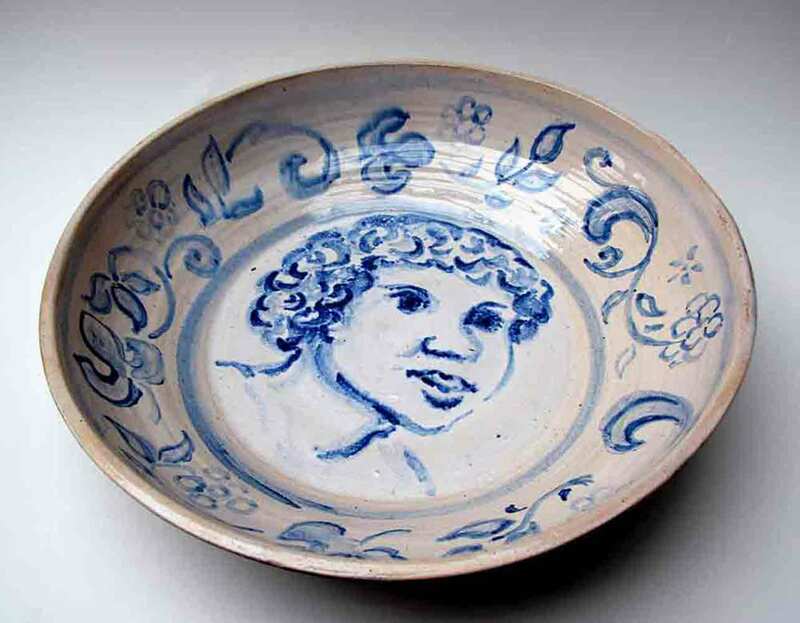 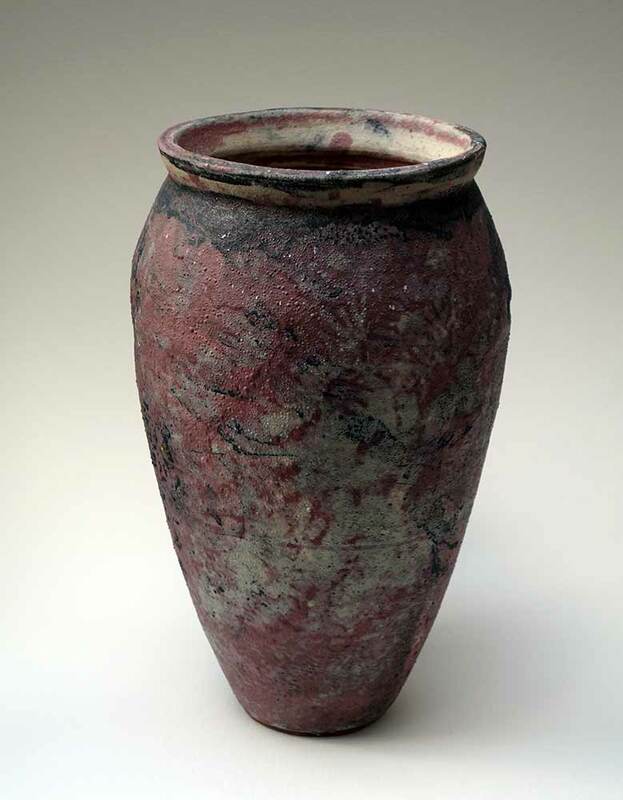 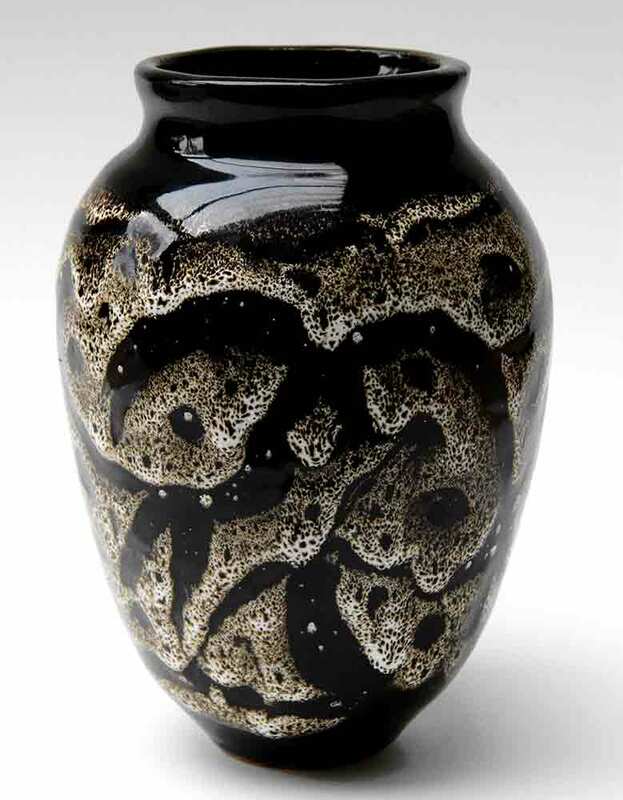 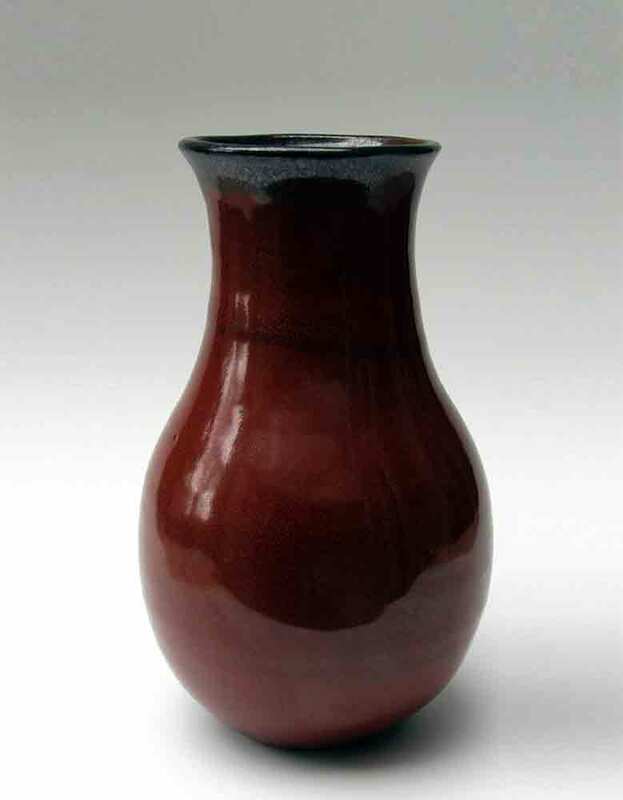 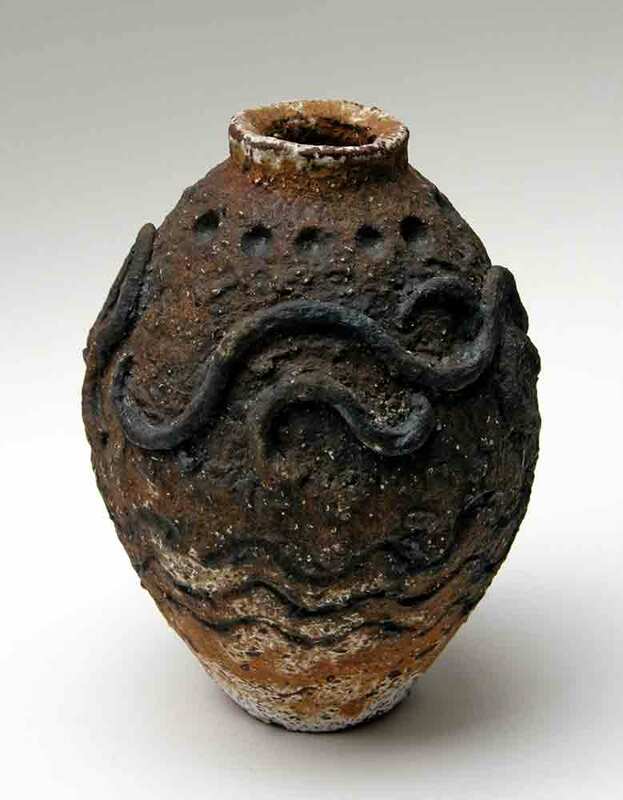 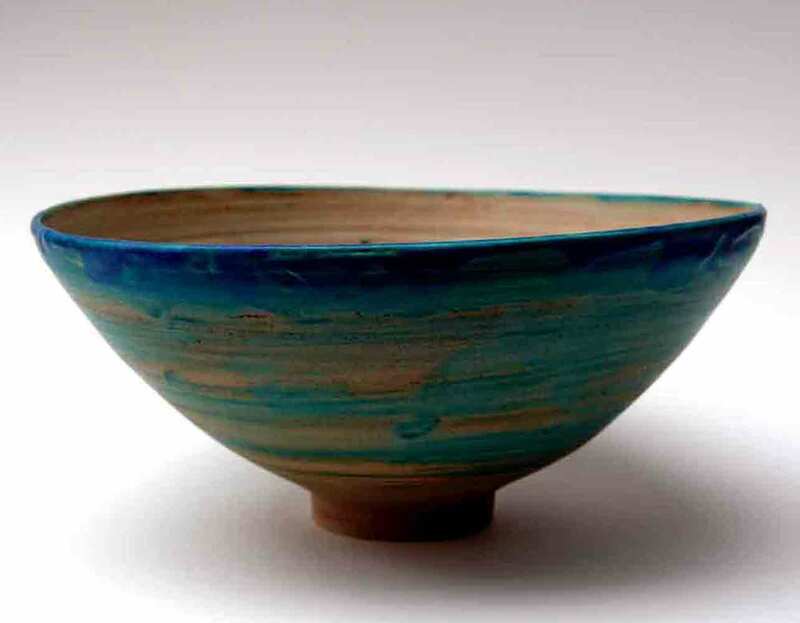 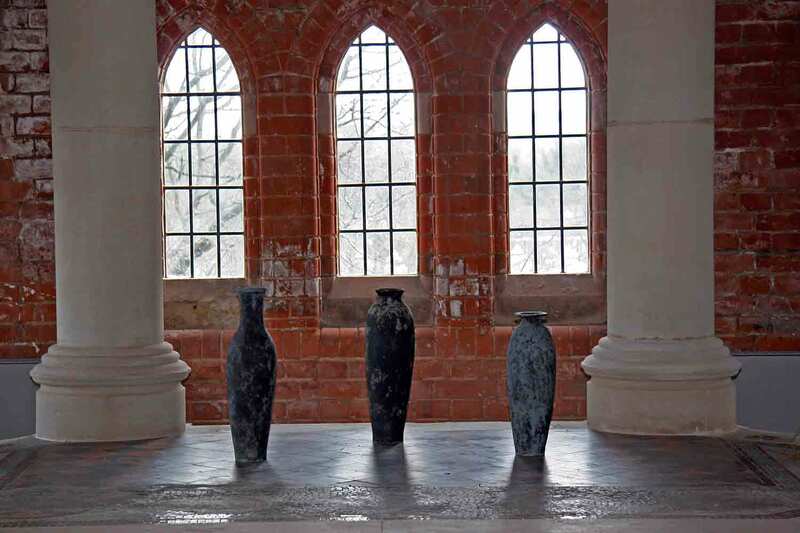 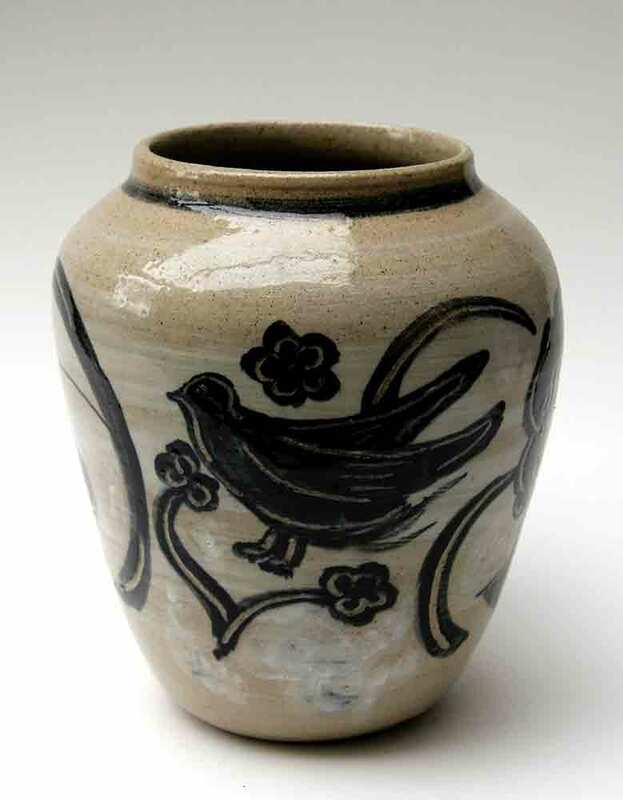 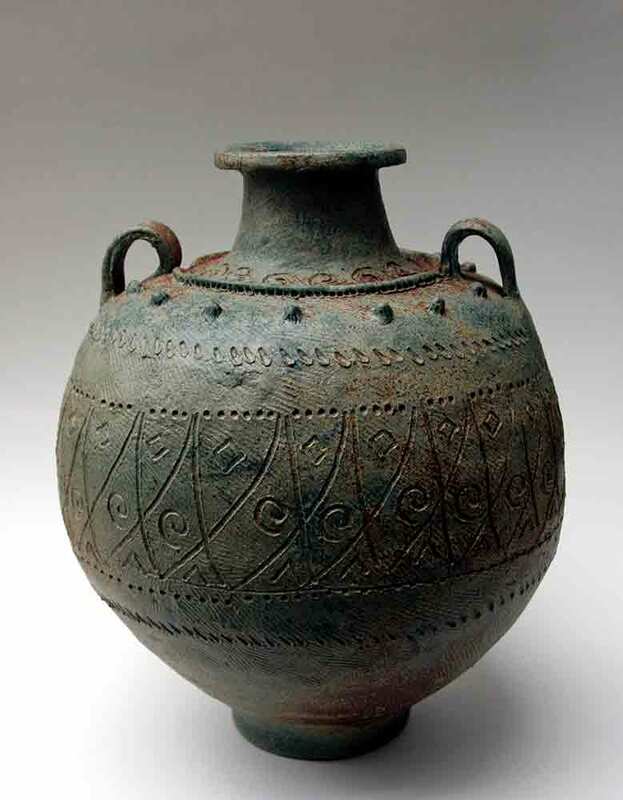 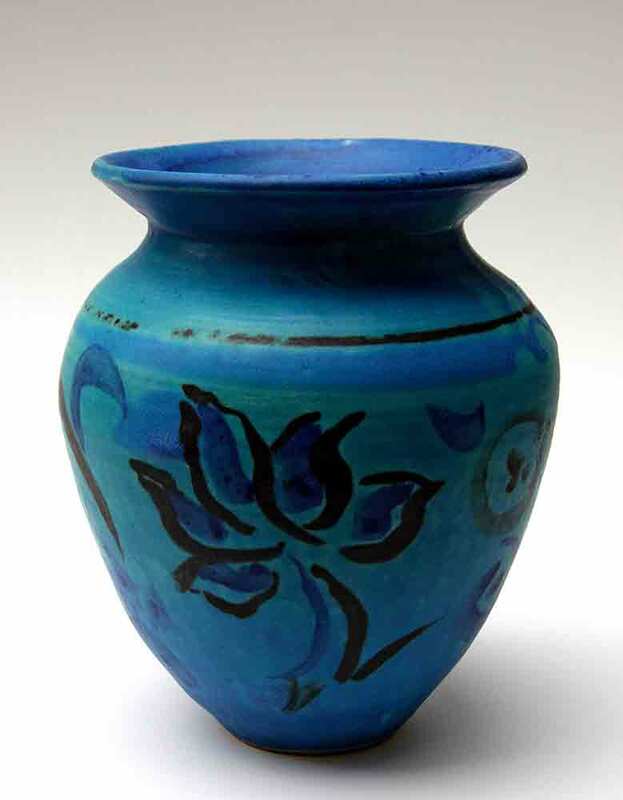 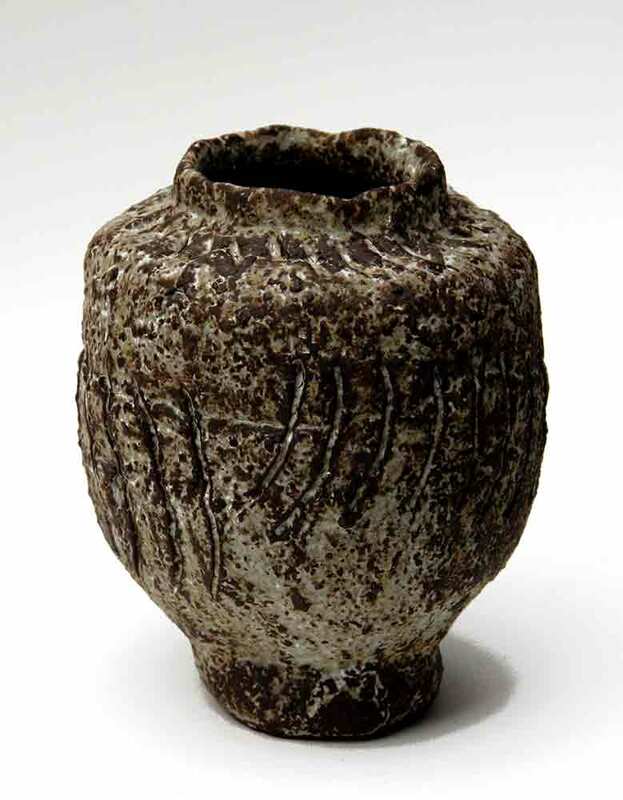 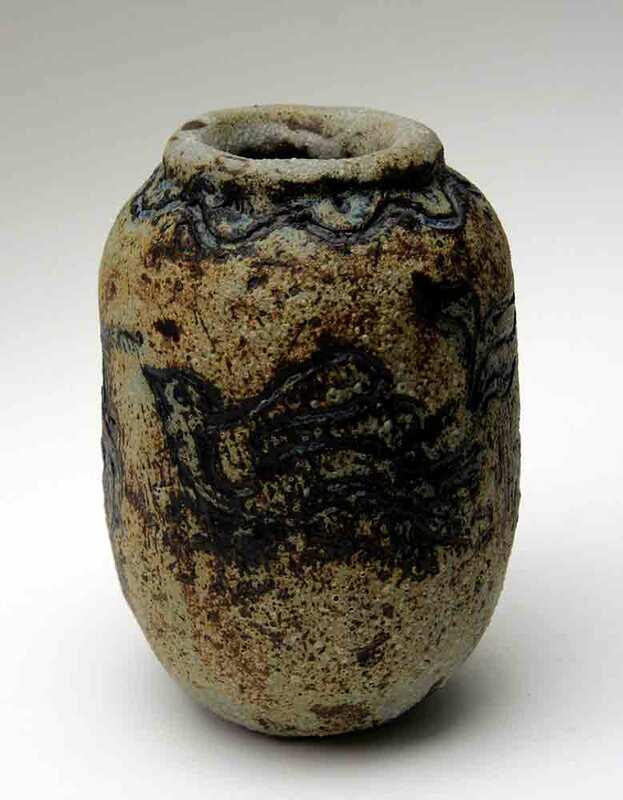 His ceramics have been auctioned at Bonham’s and Christies and exhibited alongside Henry Moore prints at the Lemon Street Gallery, Truro, and at Pallant House. 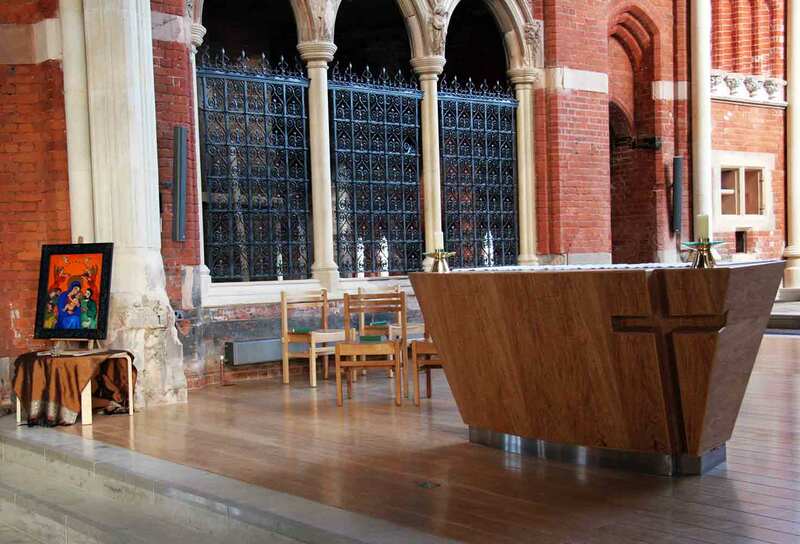 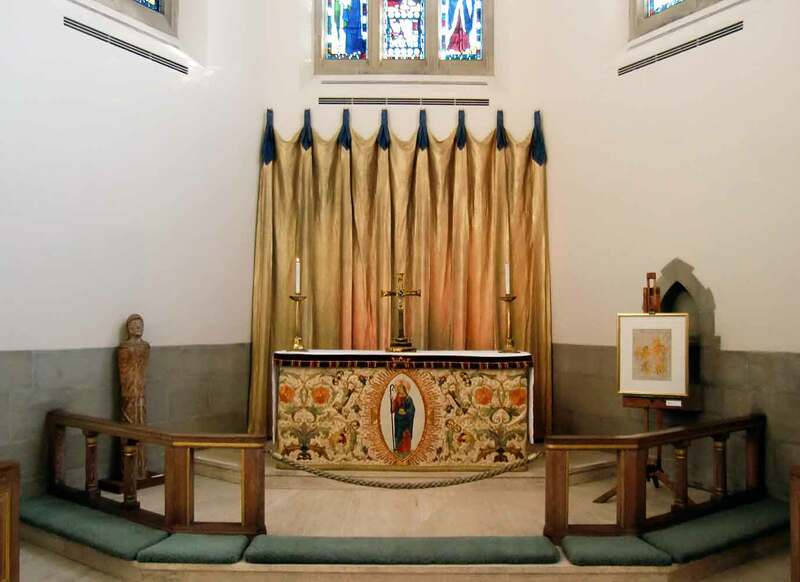 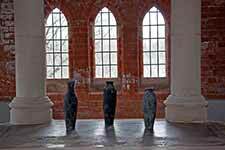 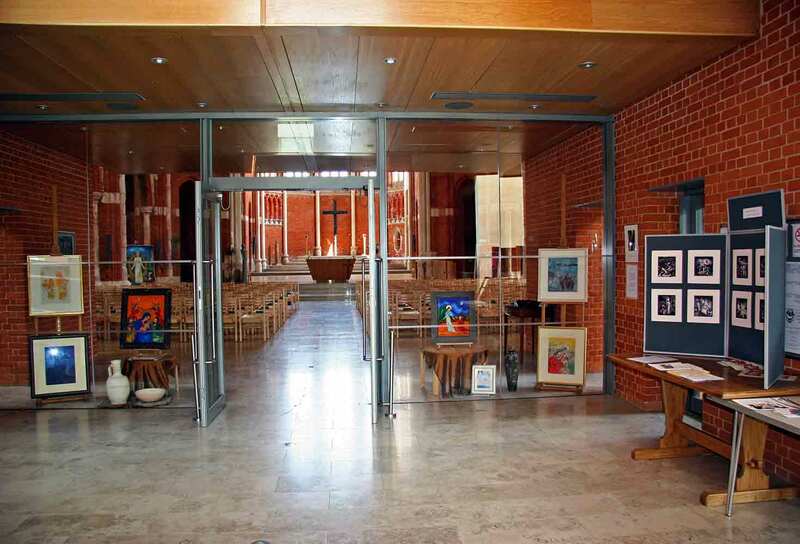 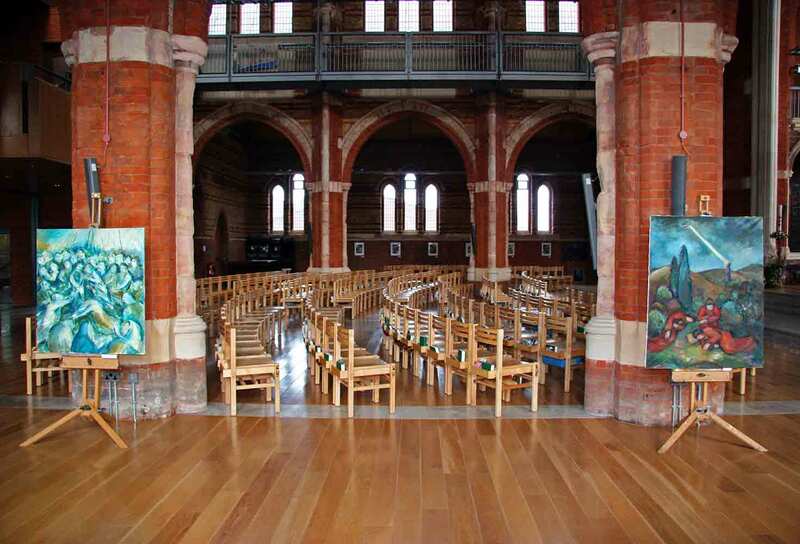 Commissions included sculptures at the Church of St. Thomas More, Patcham, and at All Saints, West Dulwich. 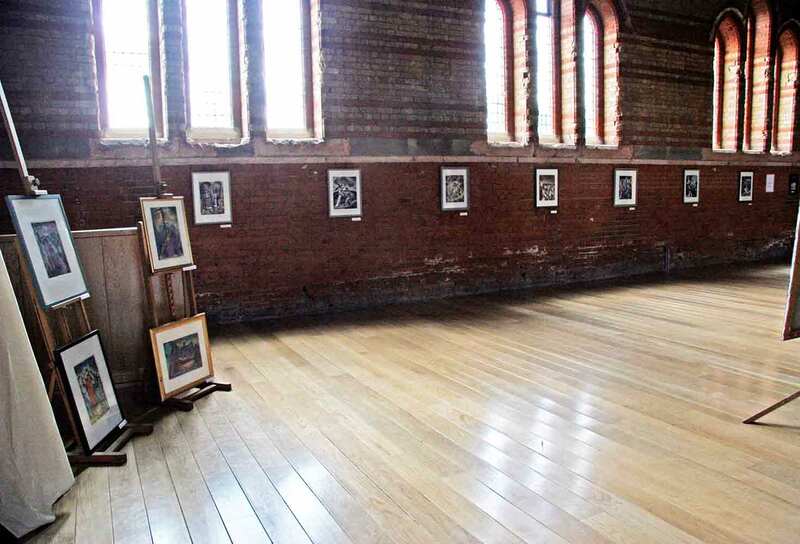 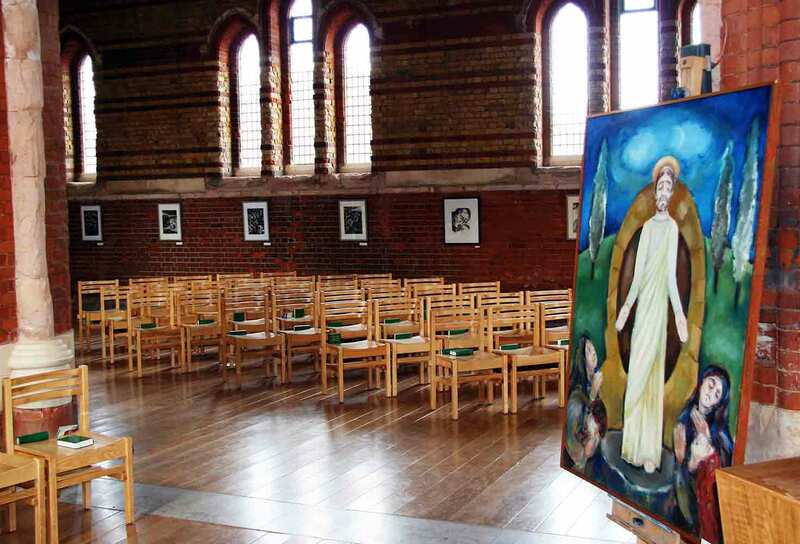 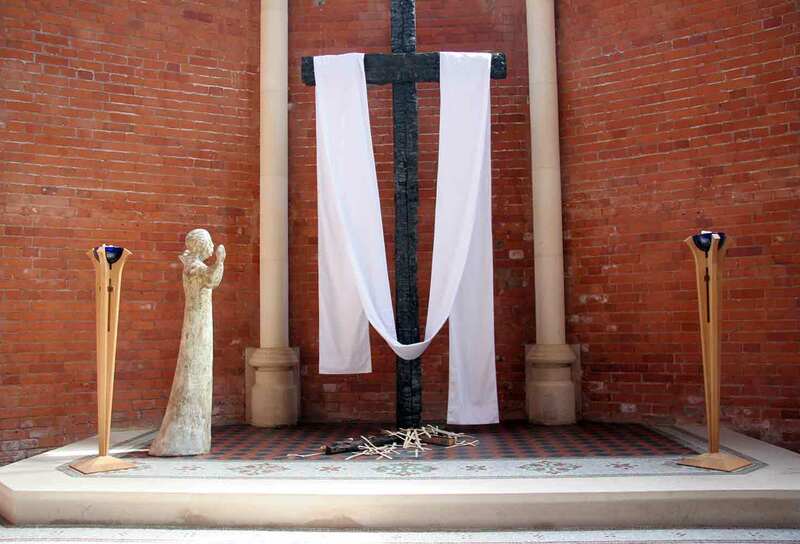 Source of Life, the booklet recording the 2007-8 exhibition of spiritual and political art at All Saints, West Dulwich, which unfolded during the artist’s final illness, is available from Diane Pacitti. 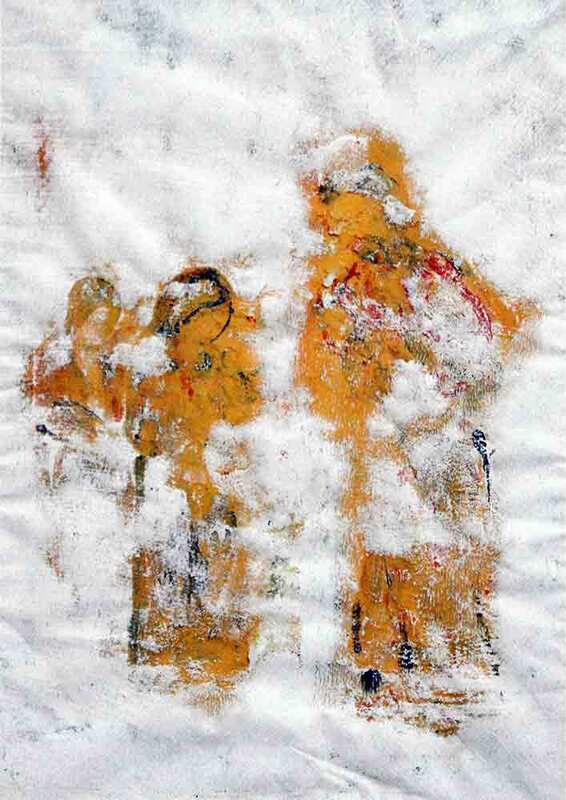 Diane Pacitti has reserved a selection of Antonio Pacitti’s works to show in projects concerned with social justice, spirituality or identity. 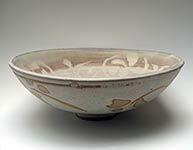 In exhibitions in Scotland, England and Italy, these works have exemplified a different kind of artistic provenance. 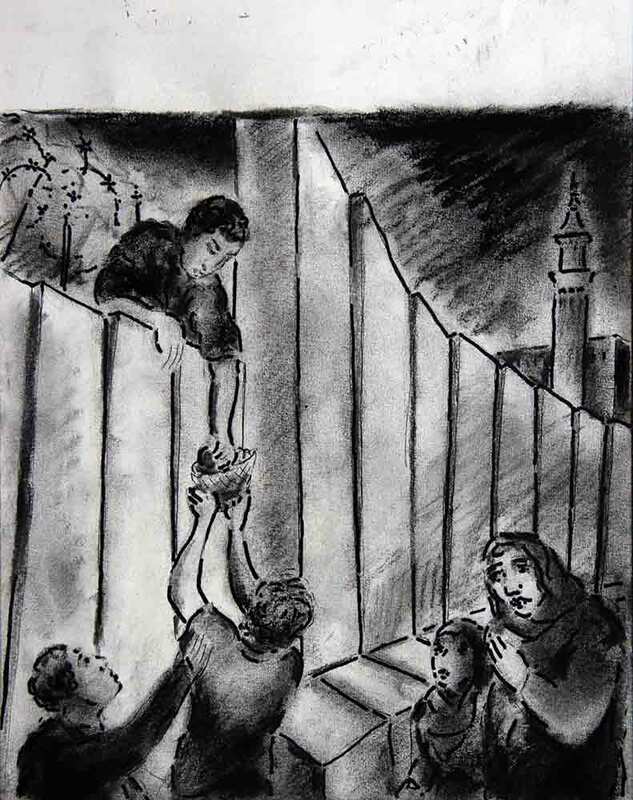 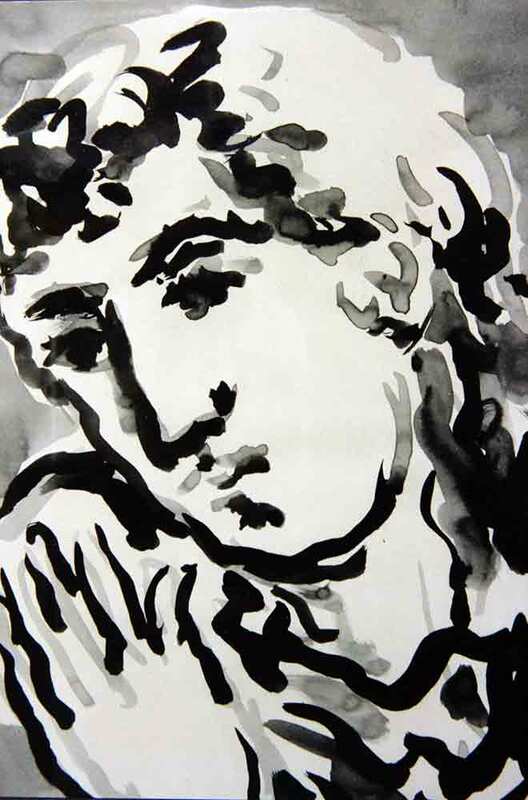 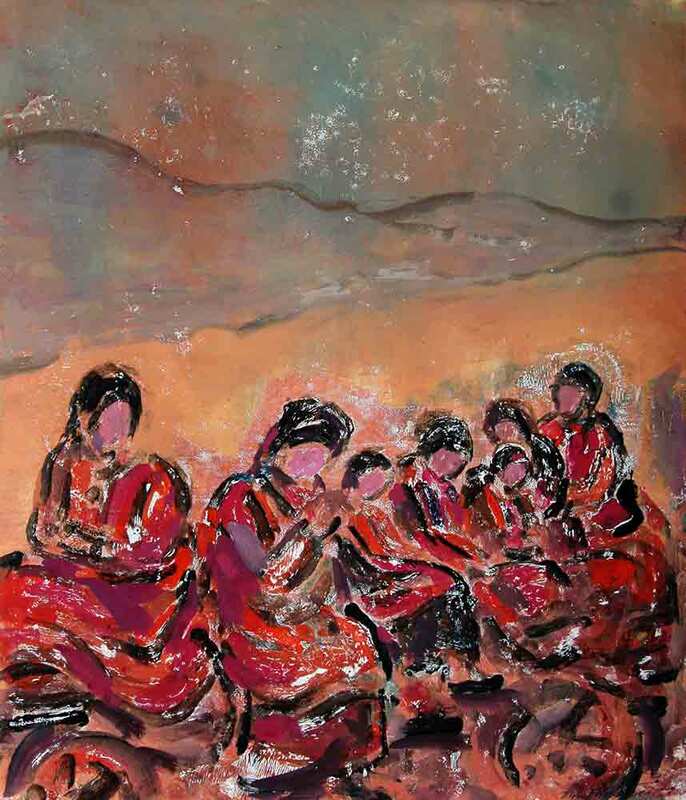 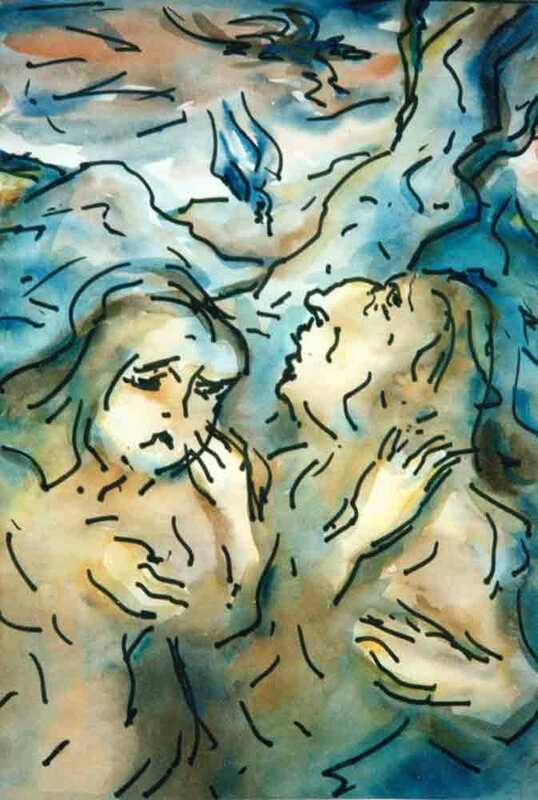 When the global Charter for Compassion celebrated Antonio Pacitti for his contribution to our understanding of war, his widow Diane Pacitti decided to reserve a collection of his artworks to show within narratives of social justice, spirituality or identity. 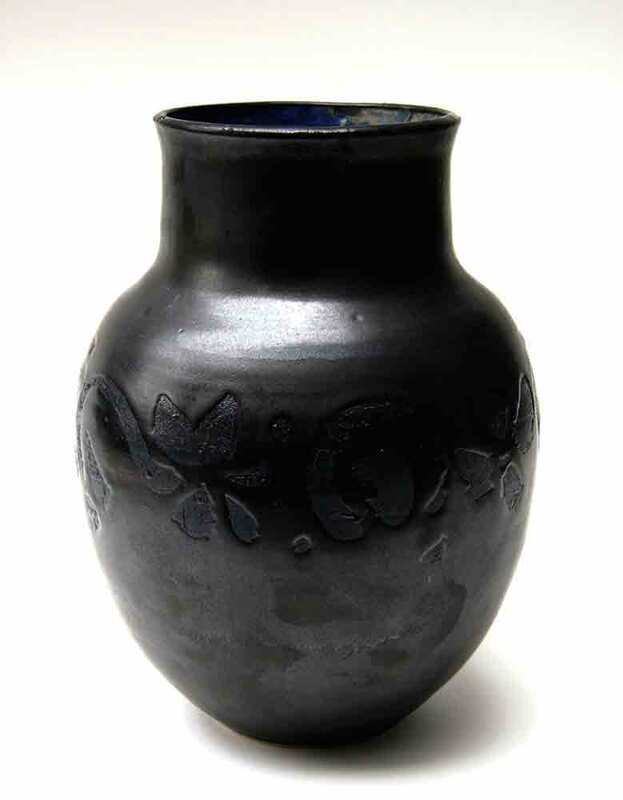 When dealers talk of the provenance of an artwork, they are talking of prices, sales, and ownership. 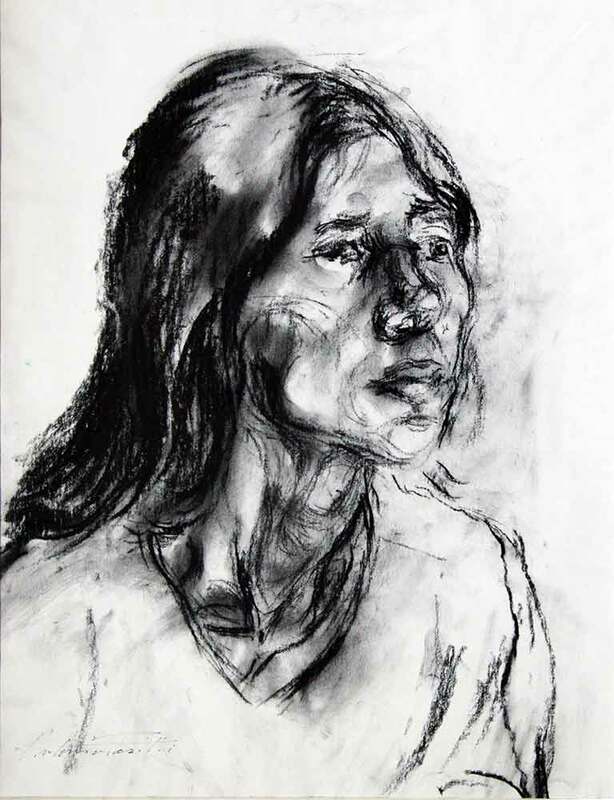 These artworks would create a different and more experiential version of provenance – one based on the narratives they would present, the contexts in which they would appear, and the experiences of a multiplicity of participants. 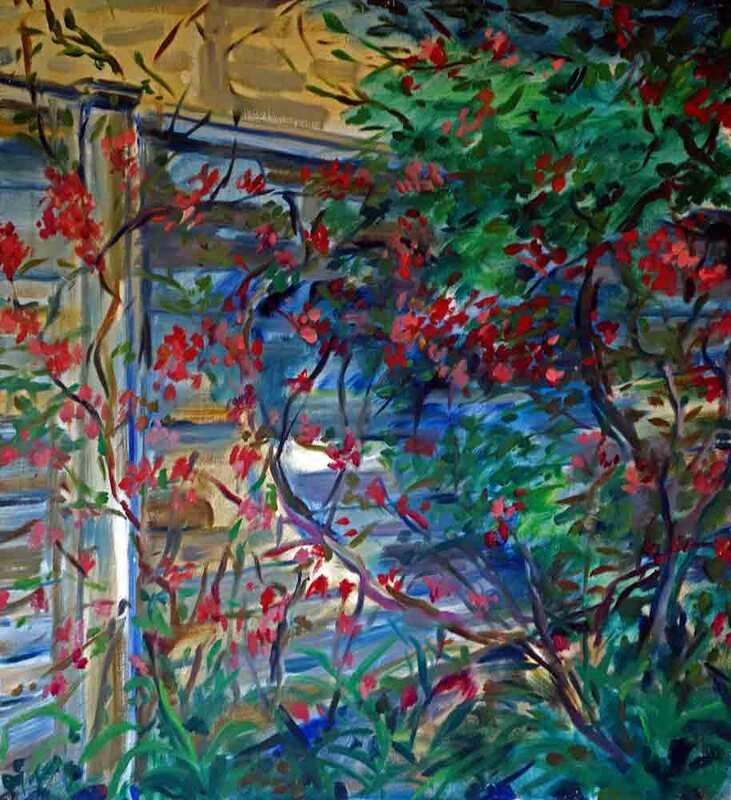 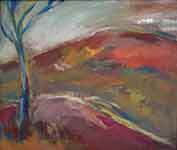 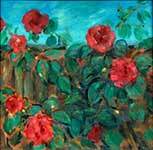 Works outside this reserved collection are available for exhibition in commercial galleries. 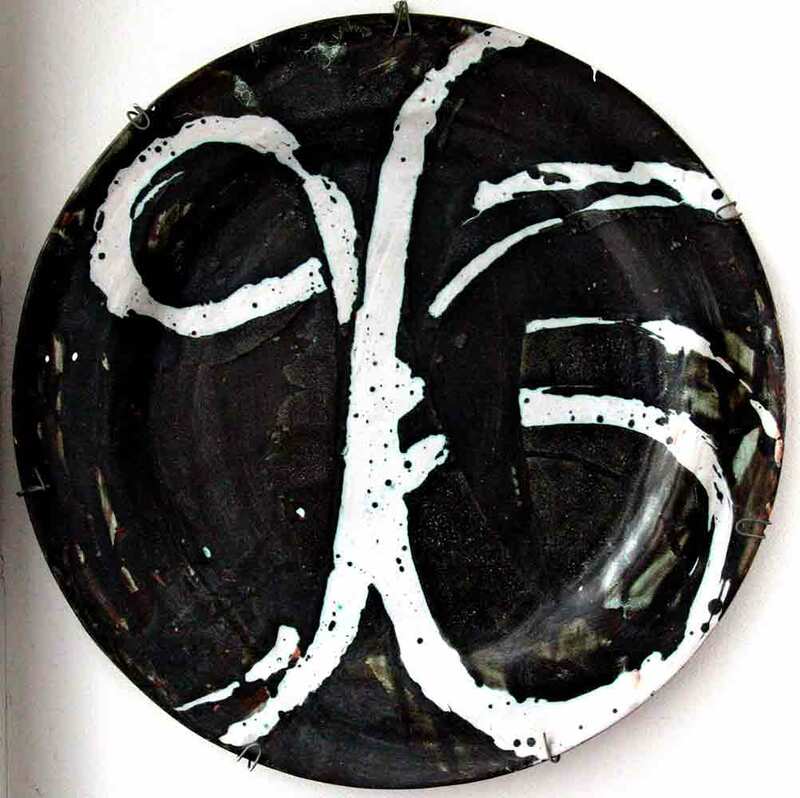 below, stretching back from the 2015 Cerasuolo exhibition to Source of Life 2007-8, all feature artworks in this reserved collection. 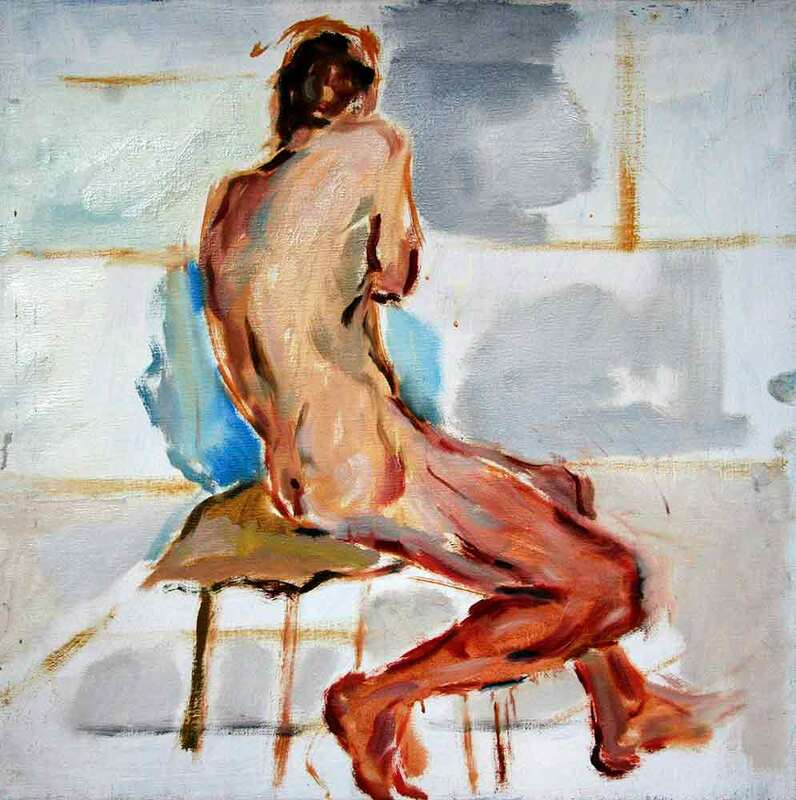 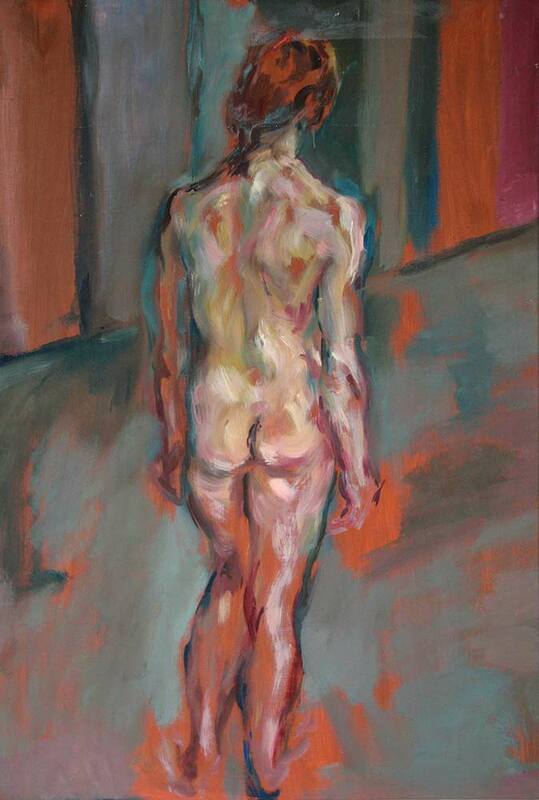 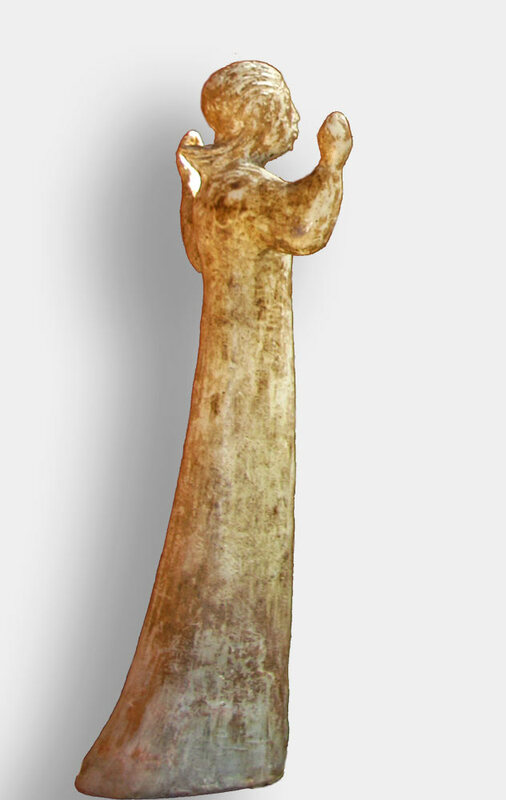 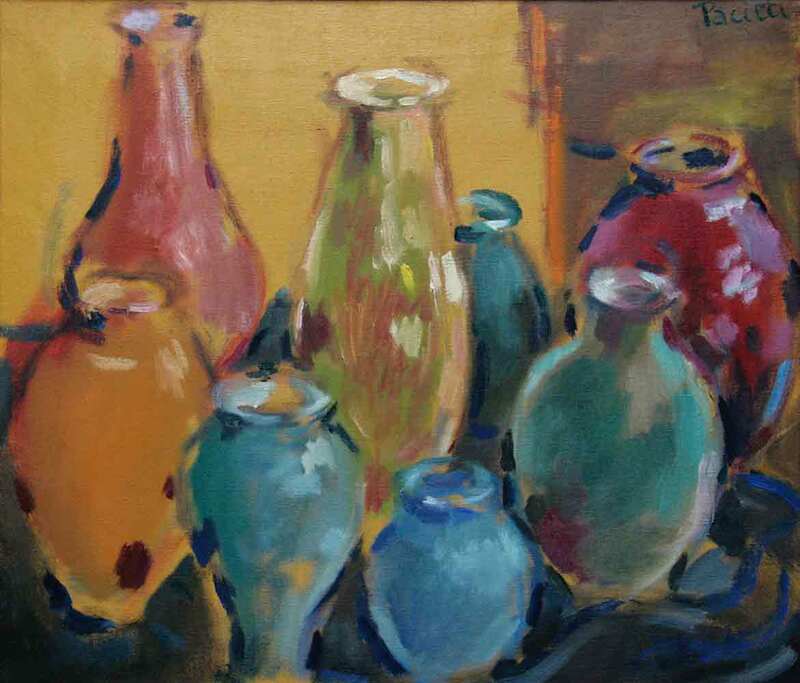 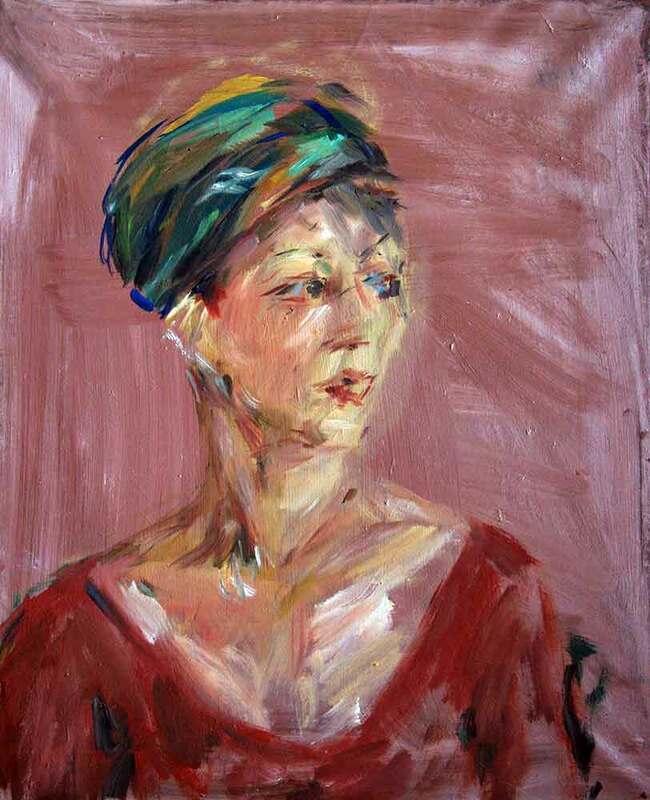 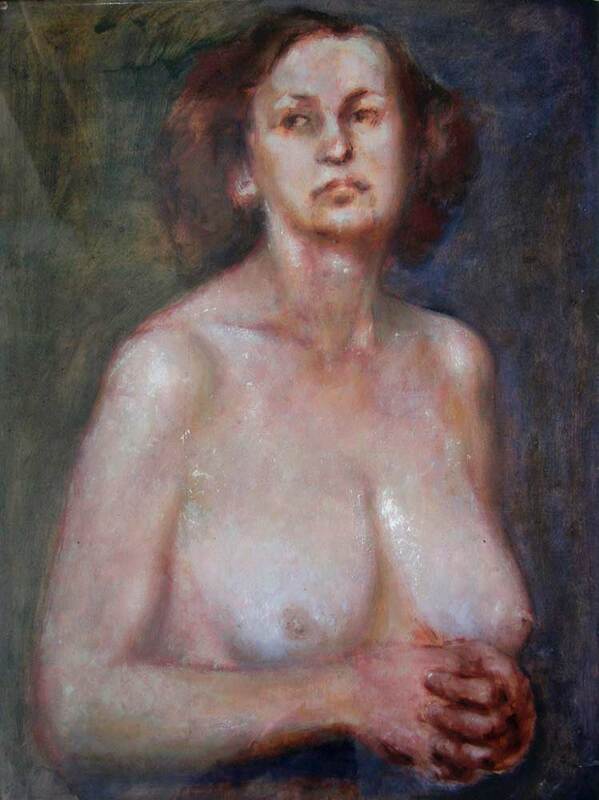 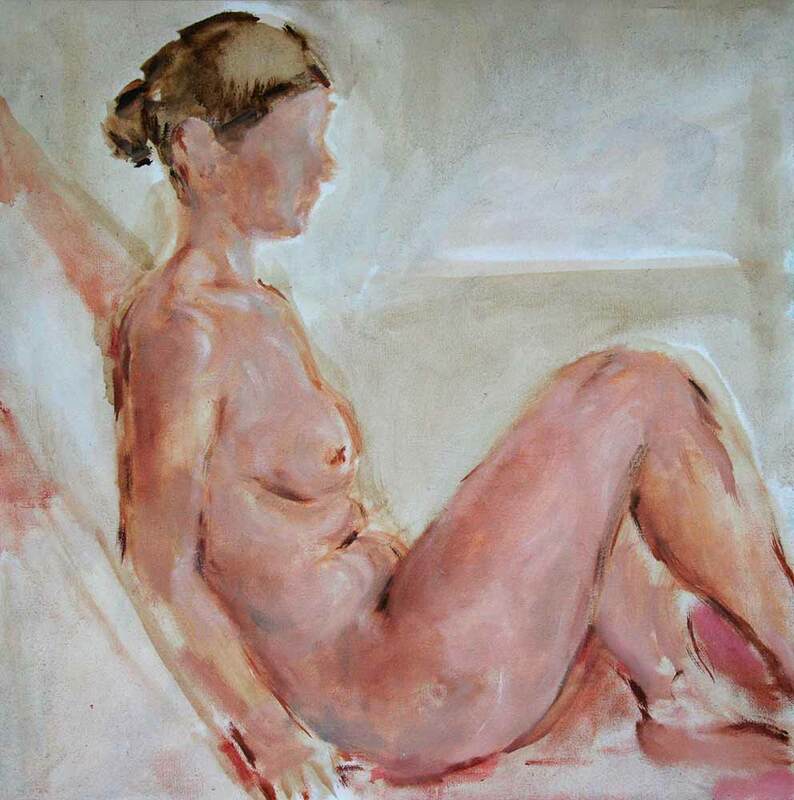 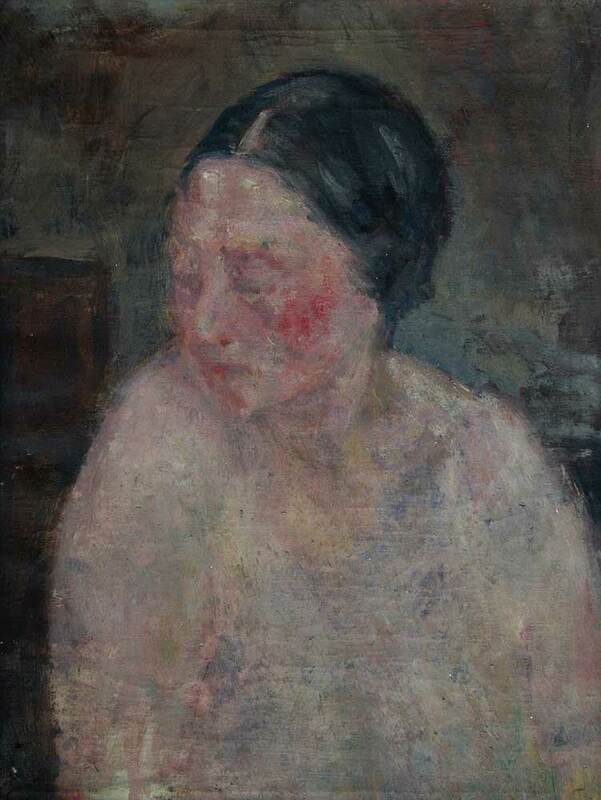 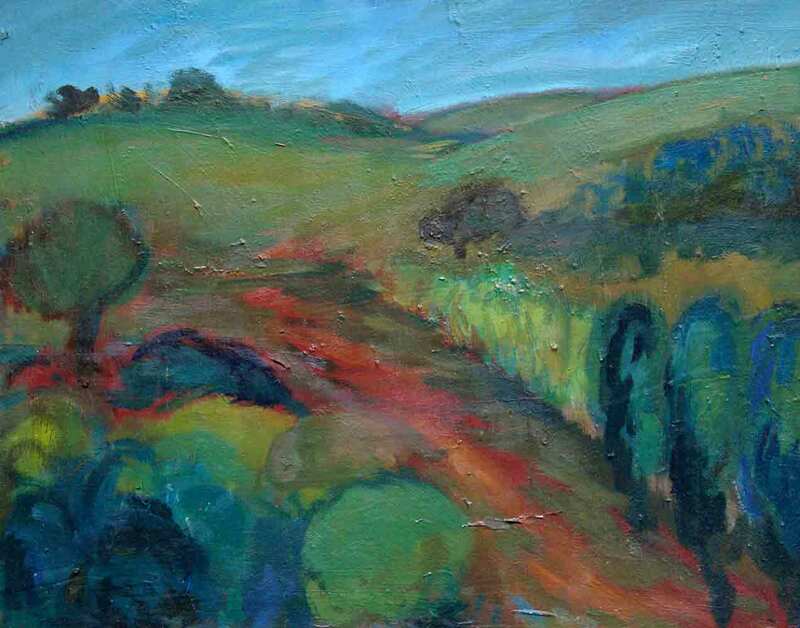 2015 La Vita e Le Opere di Antonio Pacitti - Museo Borgo Rosso di Cerasuolo. 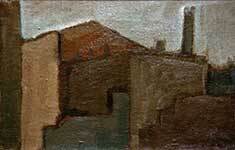 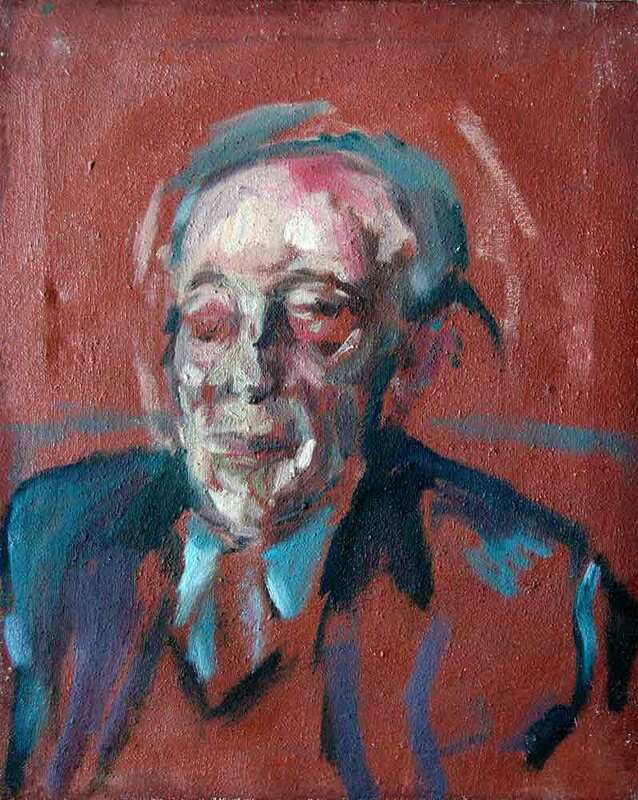 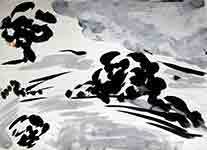 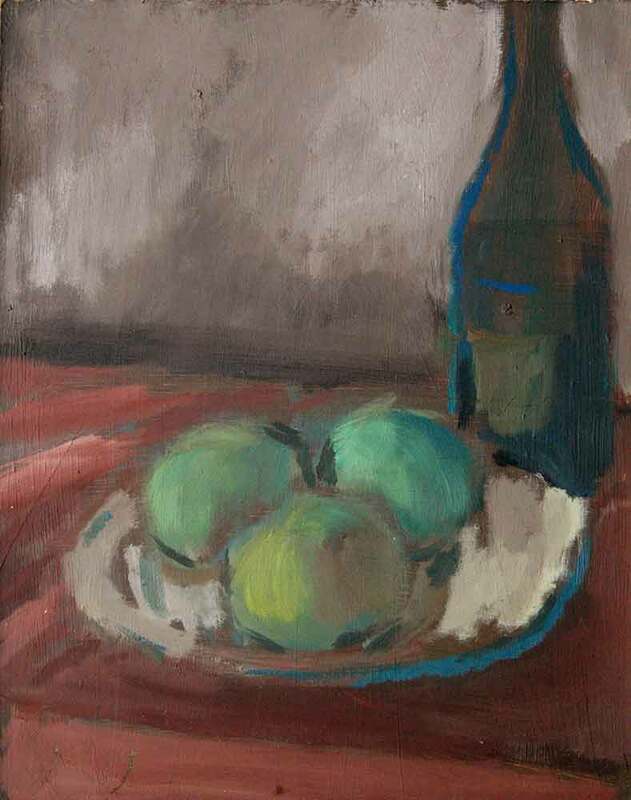 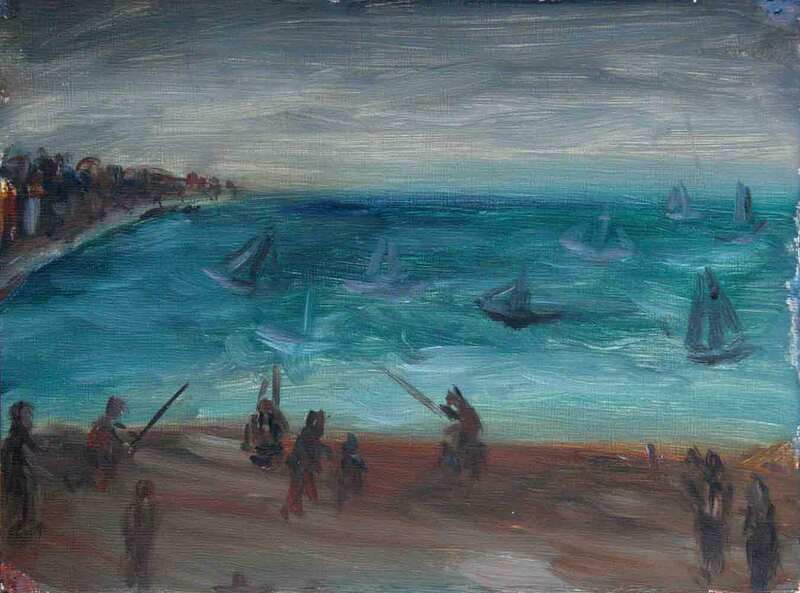 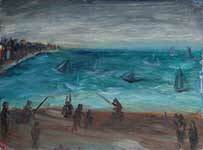 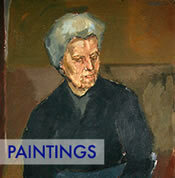 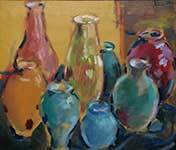 The exhibition was a homecoming which returned Pacitti’s art to his grandfather’s place of origin. 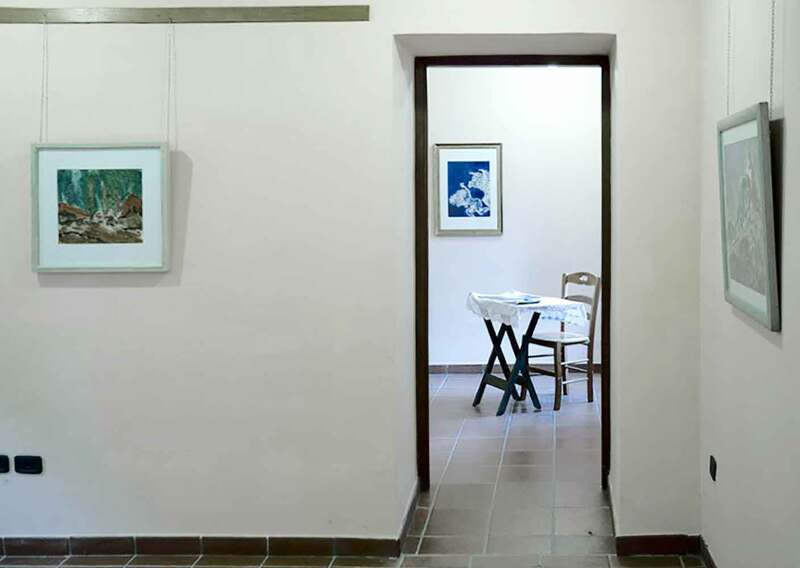 It presented the Pacitti family photo sequence alongside works inspired by the Molise/Abruzzo countryside, and by the story-telling and traditions of Antonio’s native Italy. 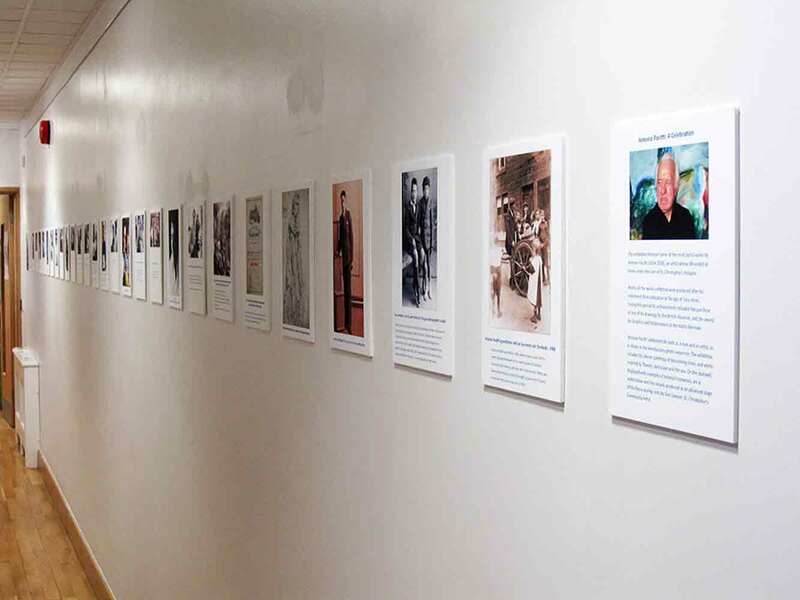 The exhibition was curated by Deirdre MacKenna, Director of Cultural Documents, with funding from Cultural Documents and IFS Worldwide, and support from the Proloco Filignano and the Commune of Filignano. 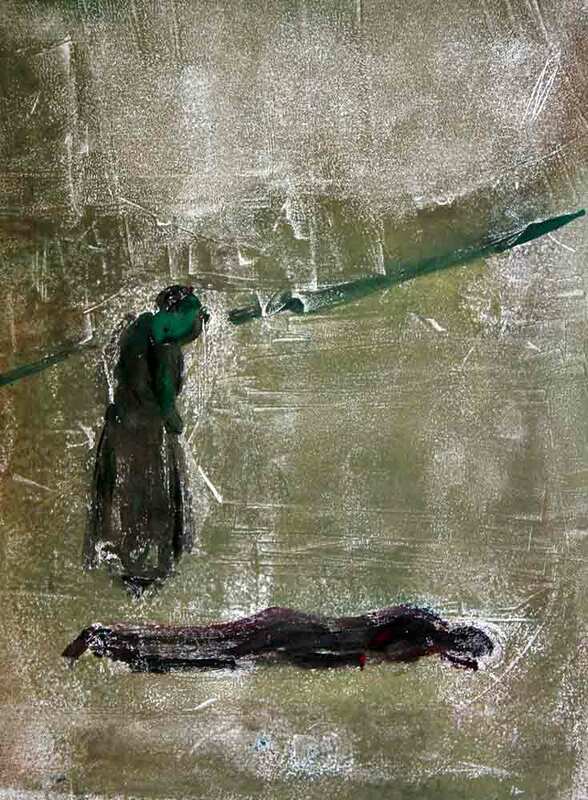 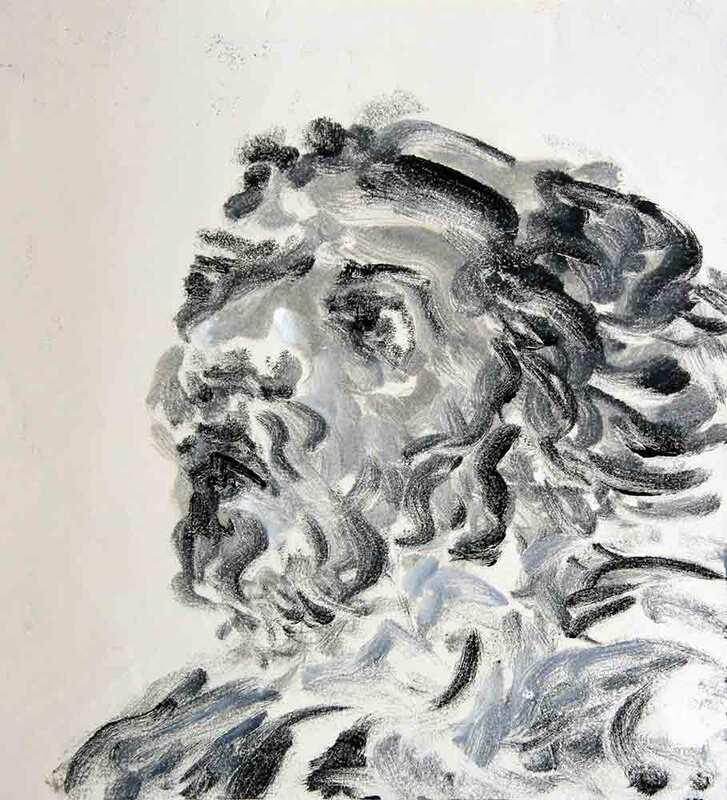 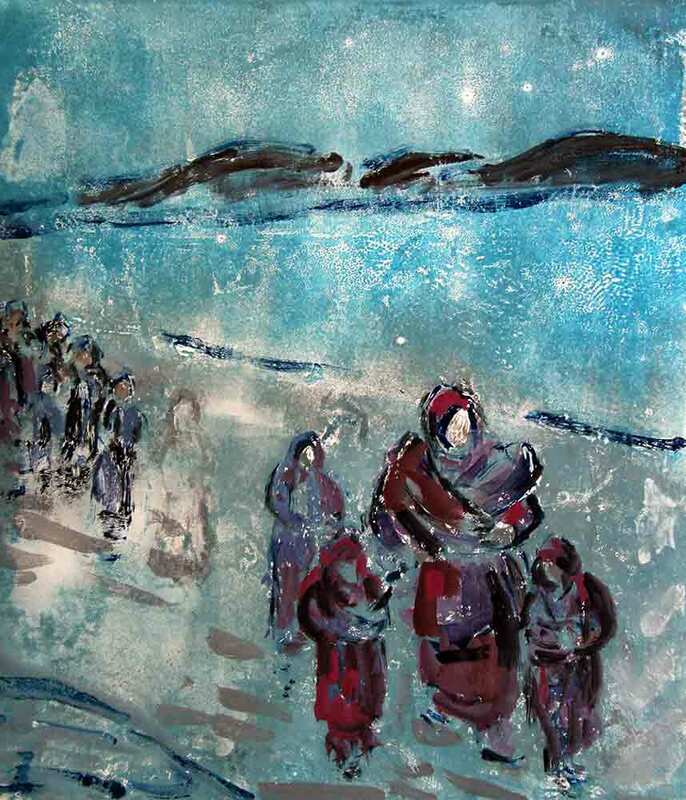 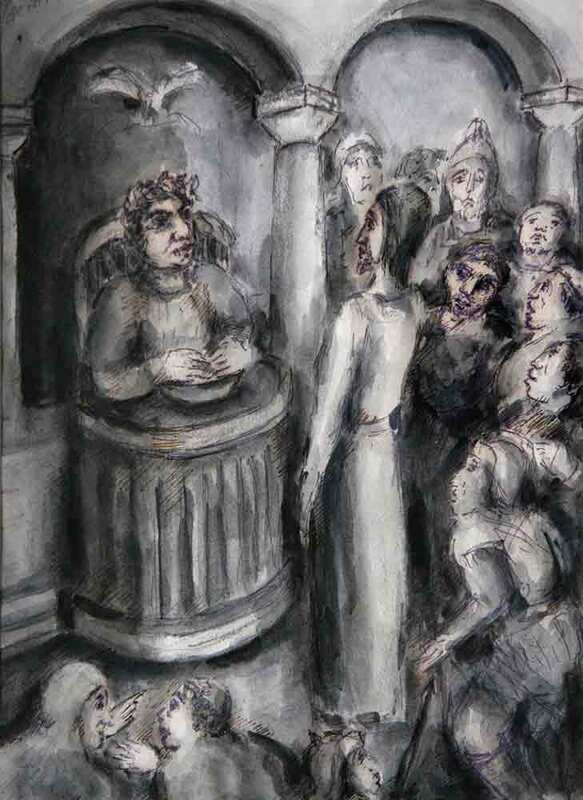 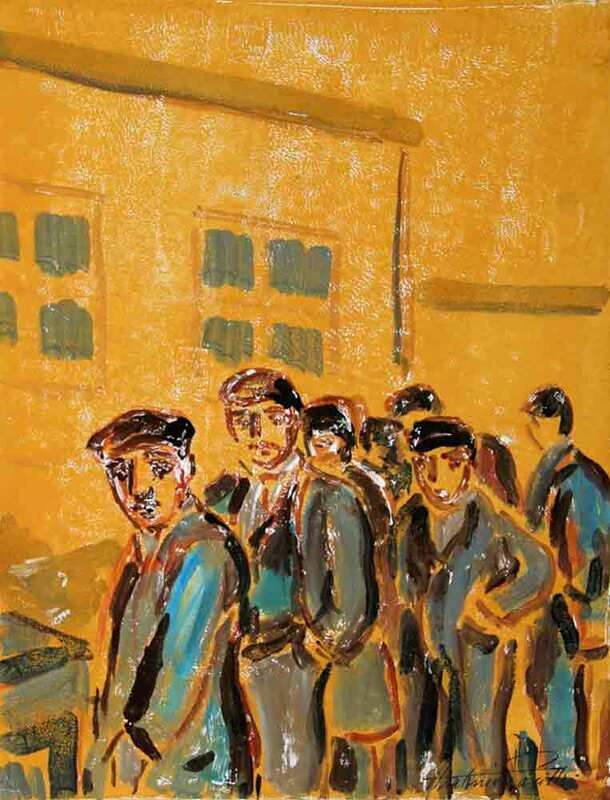 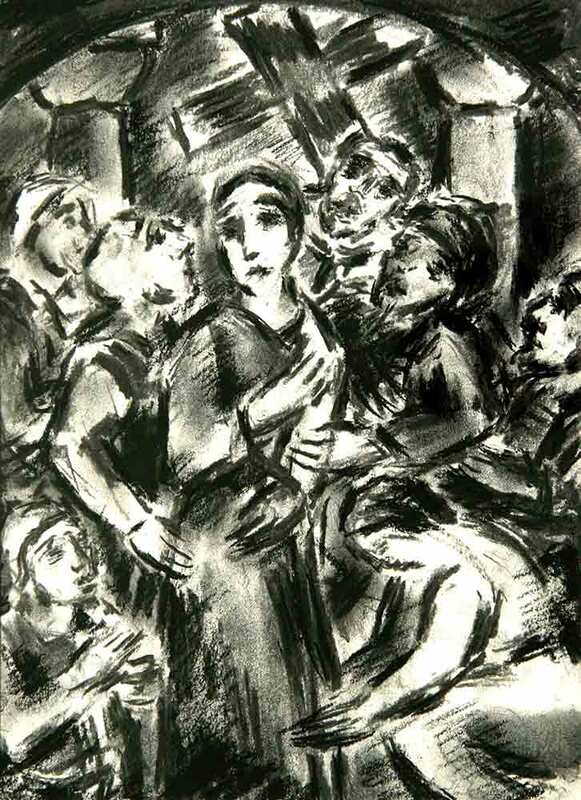 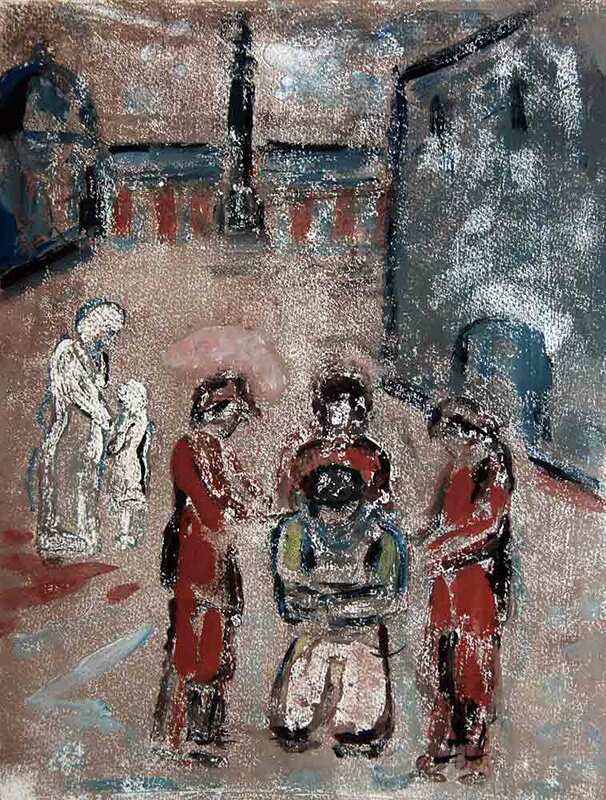 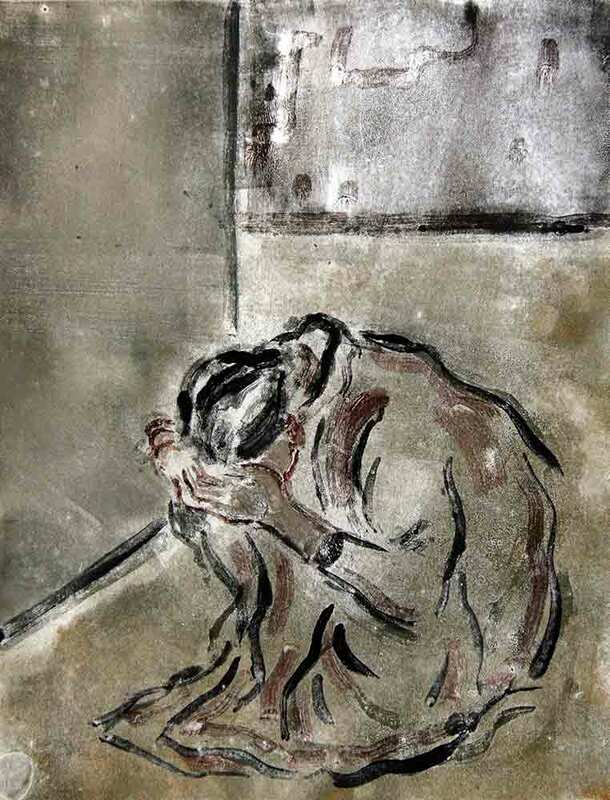 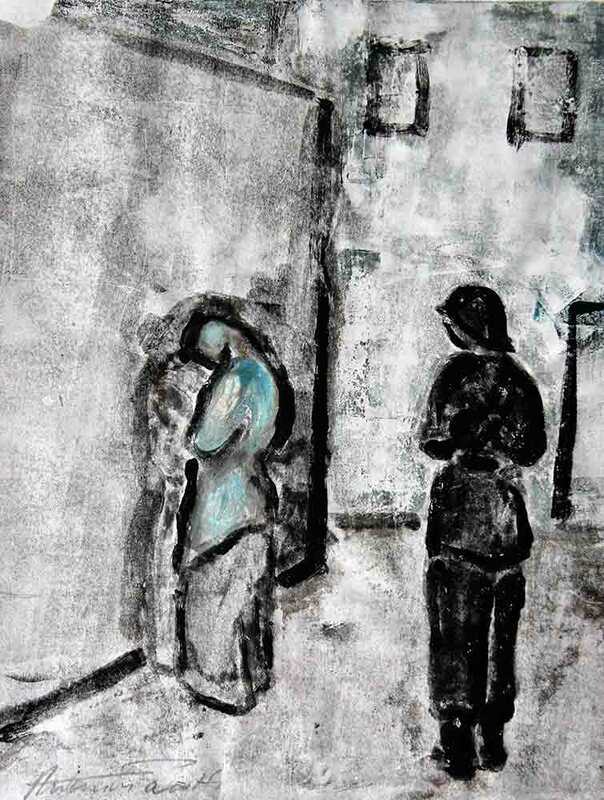 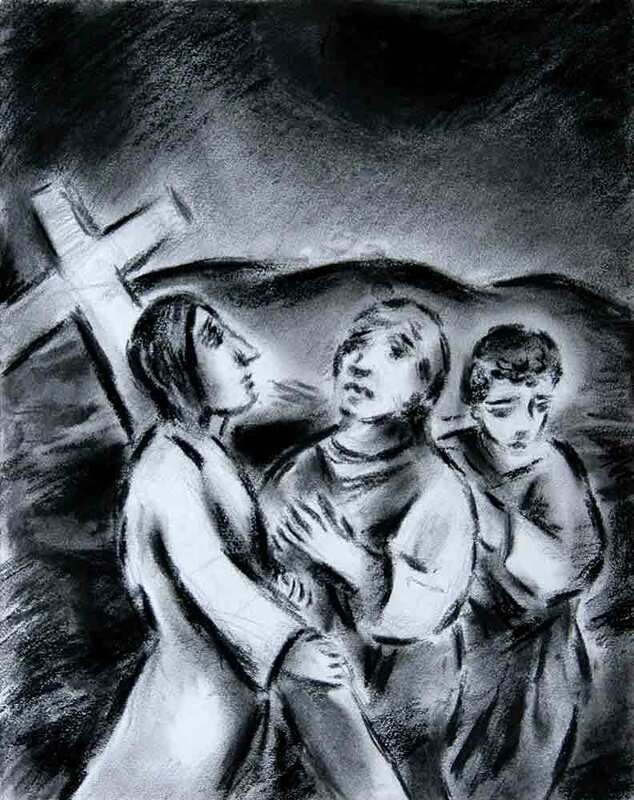 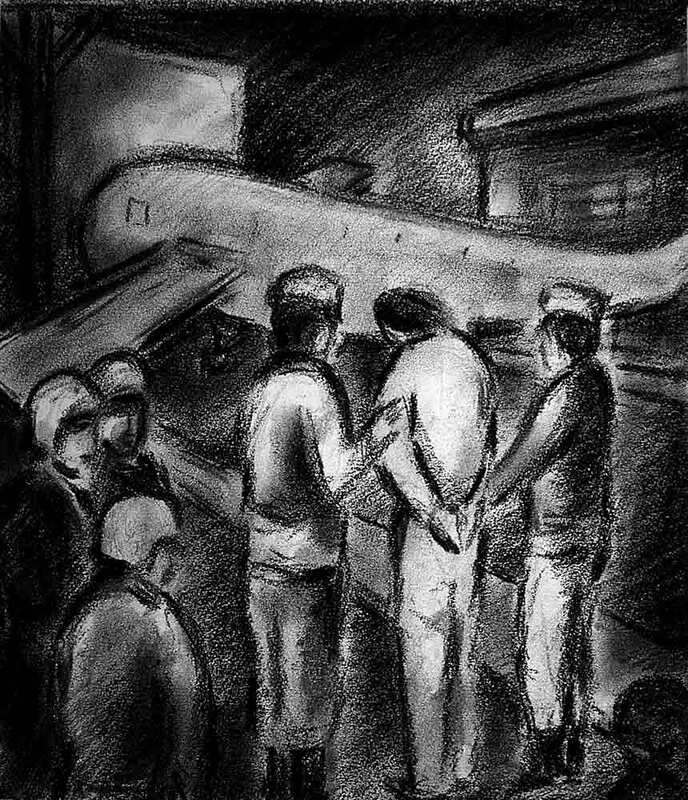 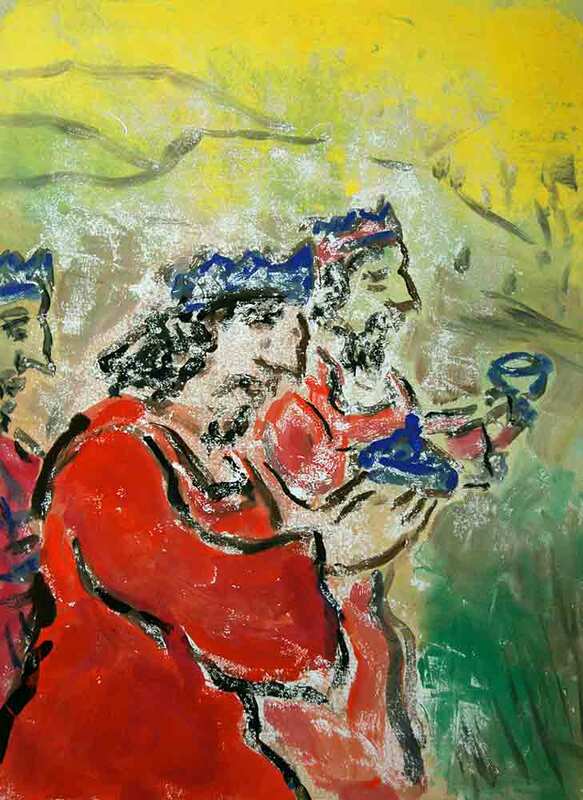 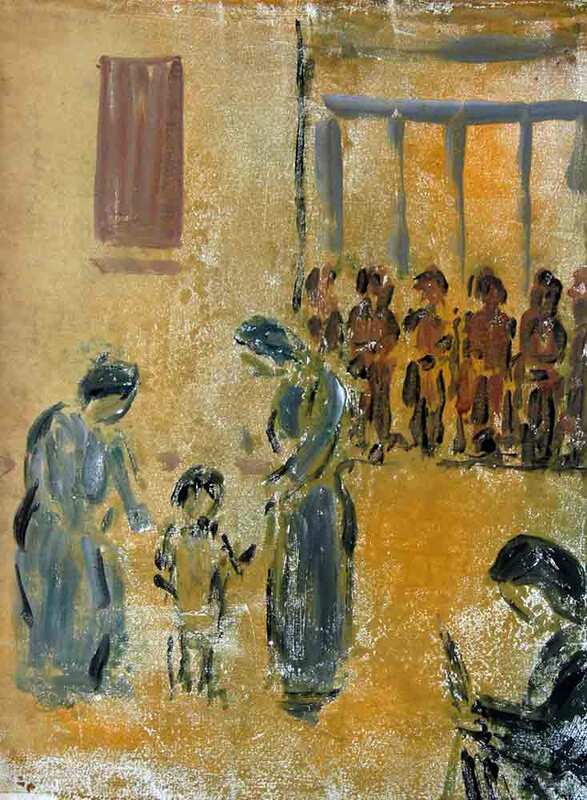 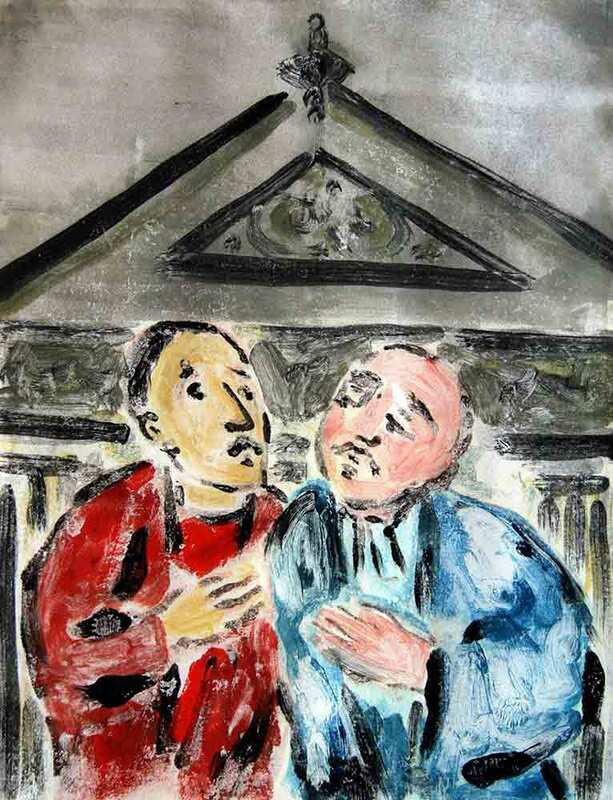 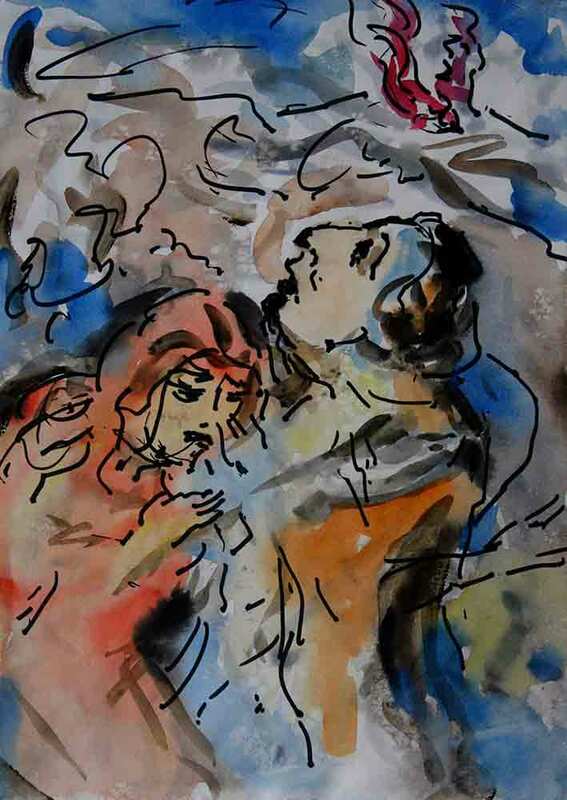 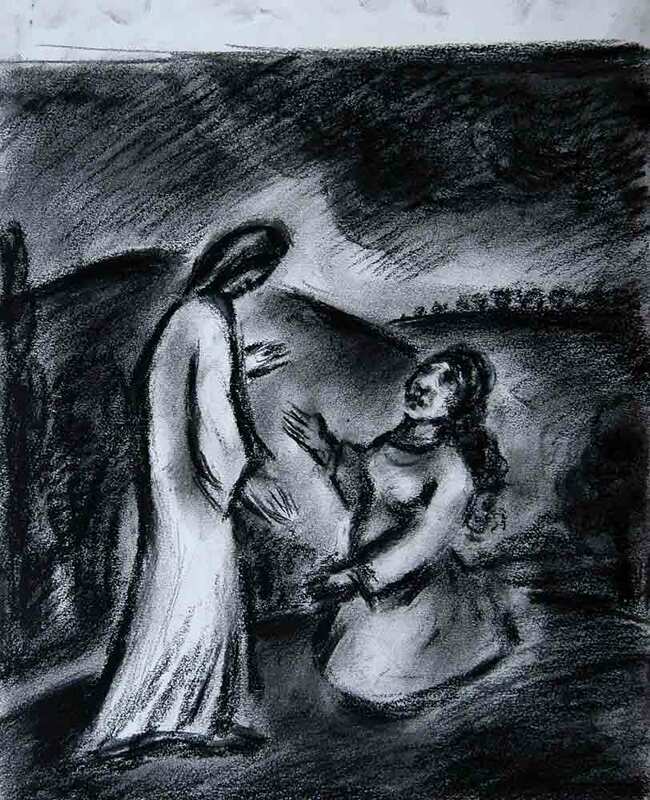 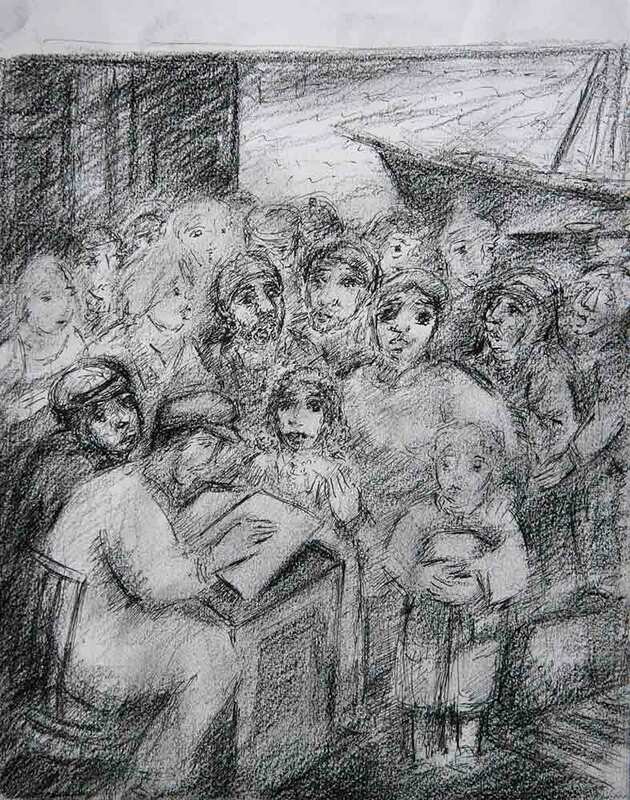 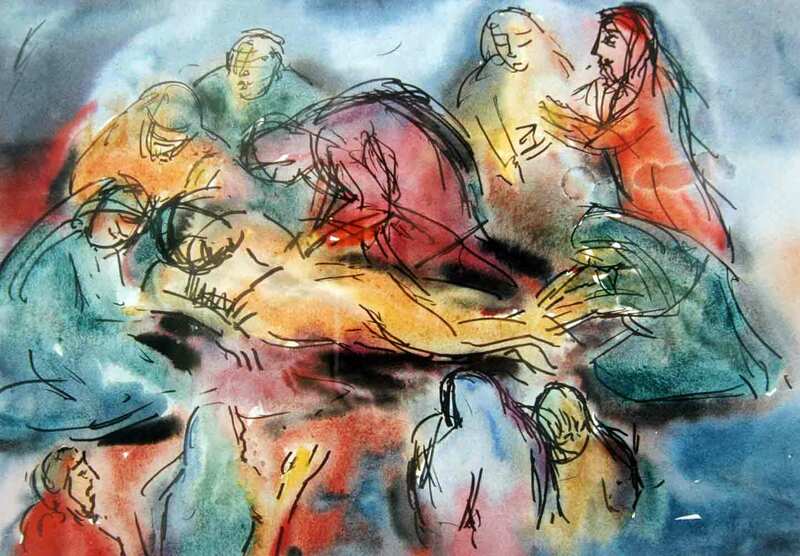 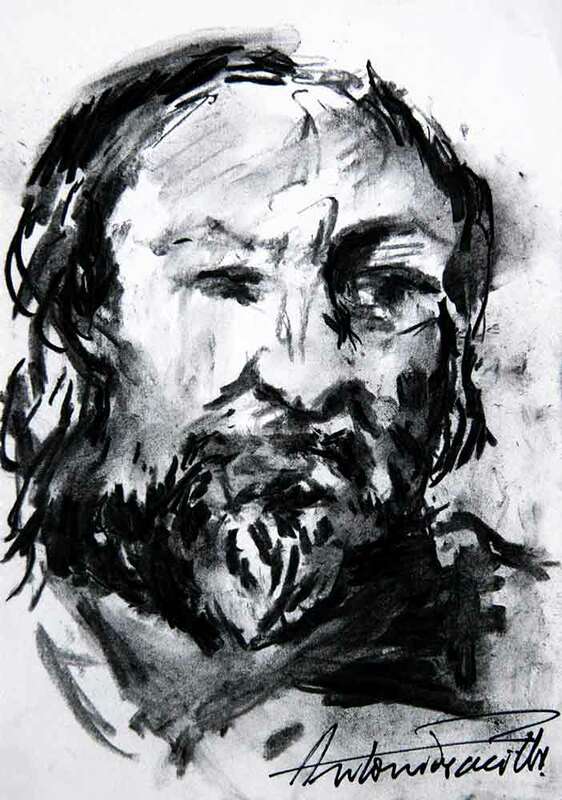 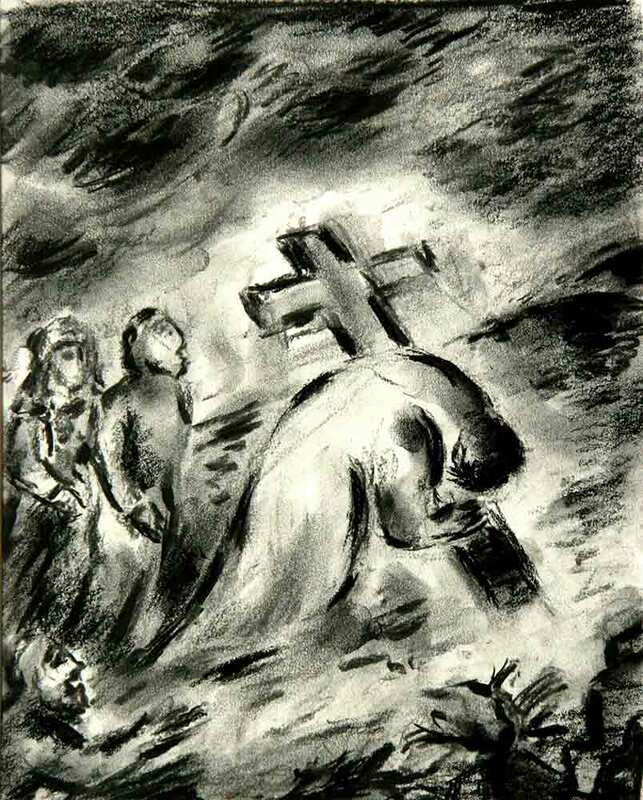 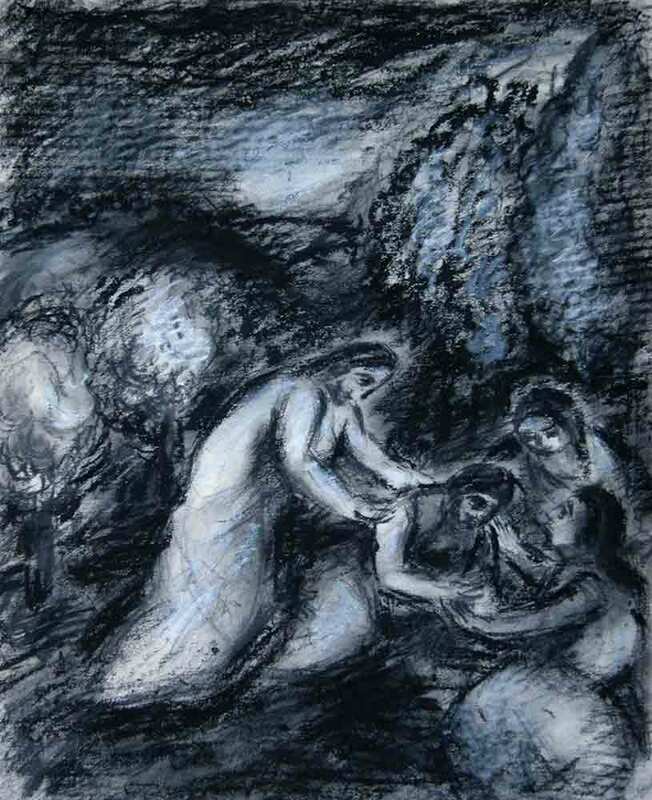 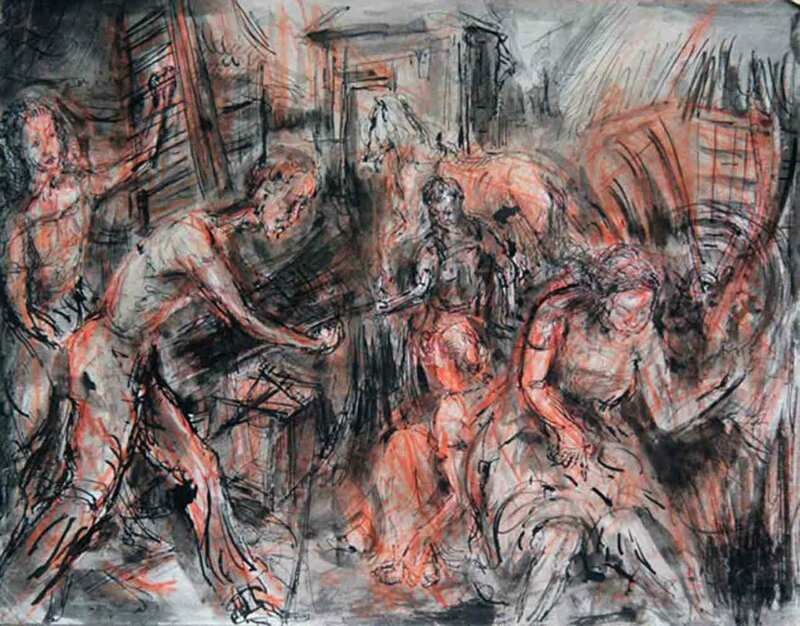 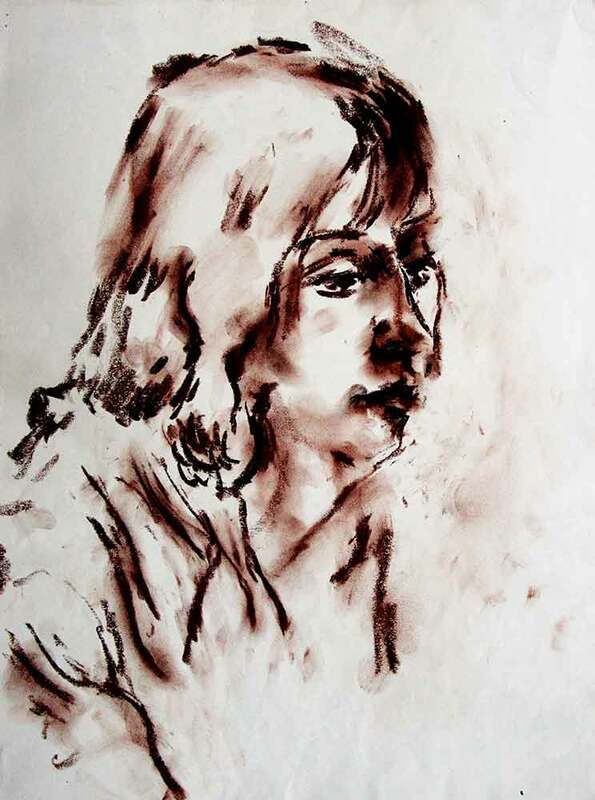 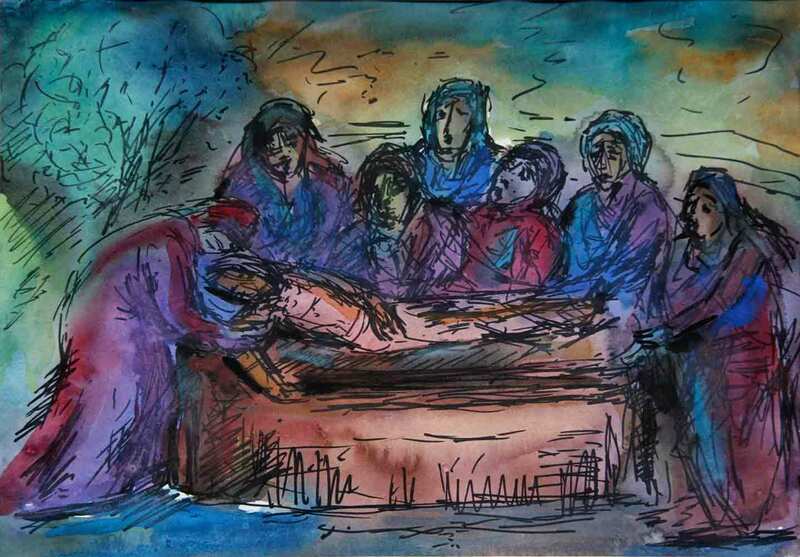 This exhibition of conte drawings and monotypes drew powerful parallels between the trial and execution of Jesus by an occupying army and the treatment meted out to the Guantanamo prisoners and to asylum seekers. 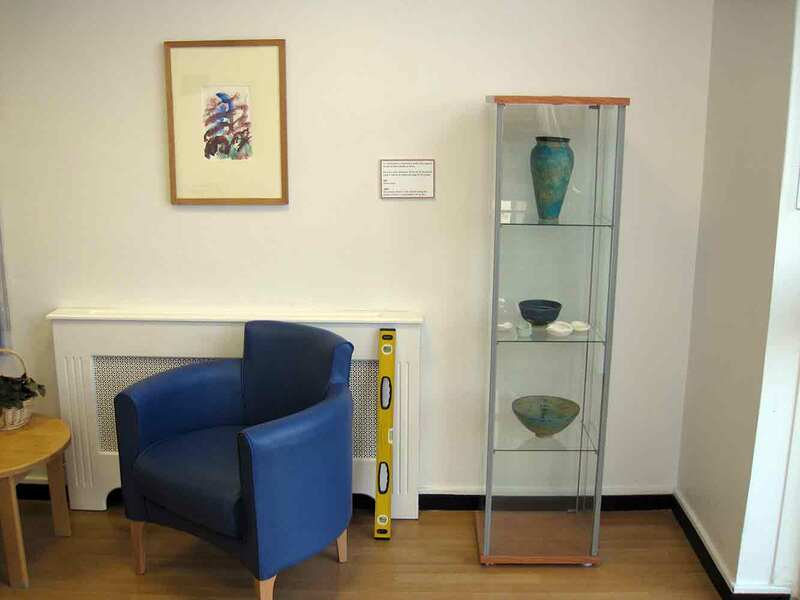 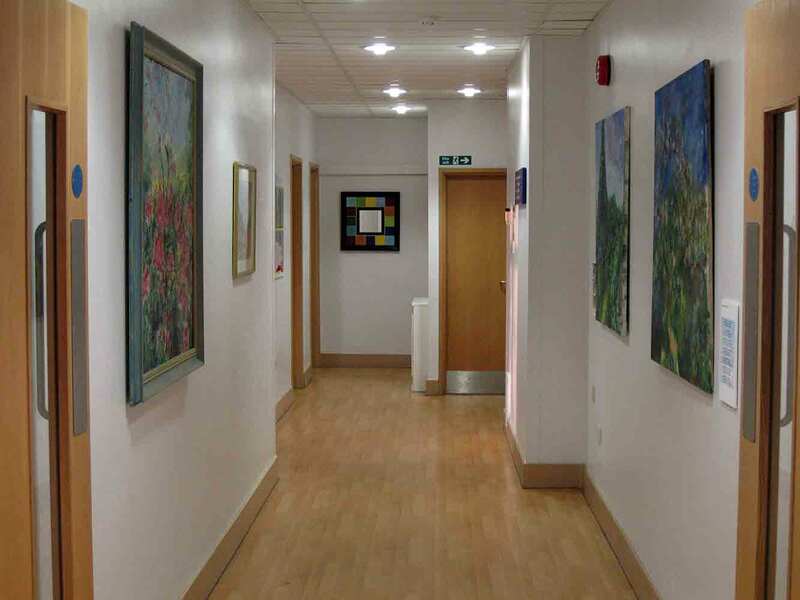 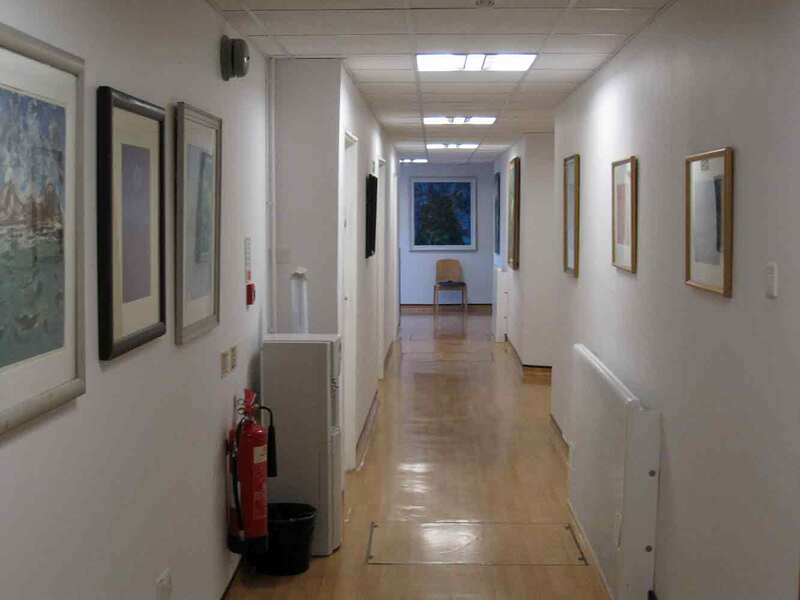 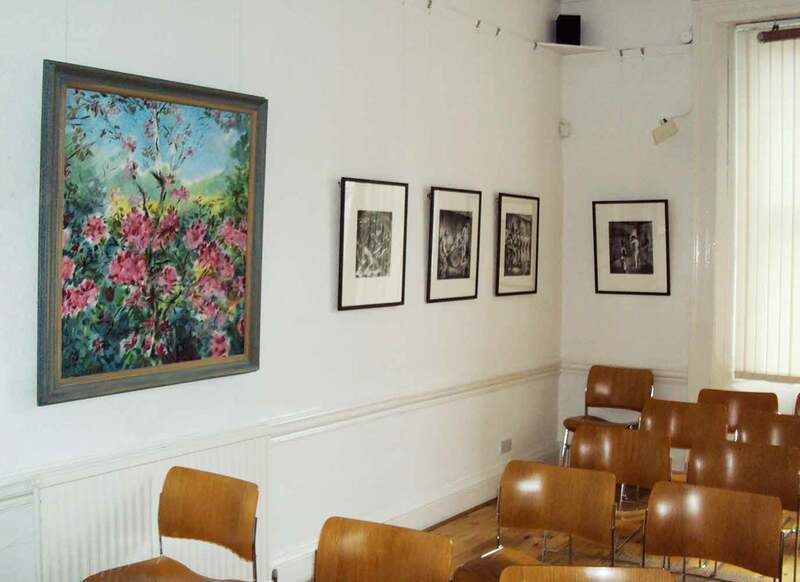 Related events included an introductory talk by Diane Pacitti, and the featuring of her poetry alongside her husband’s art in services and group discussions. 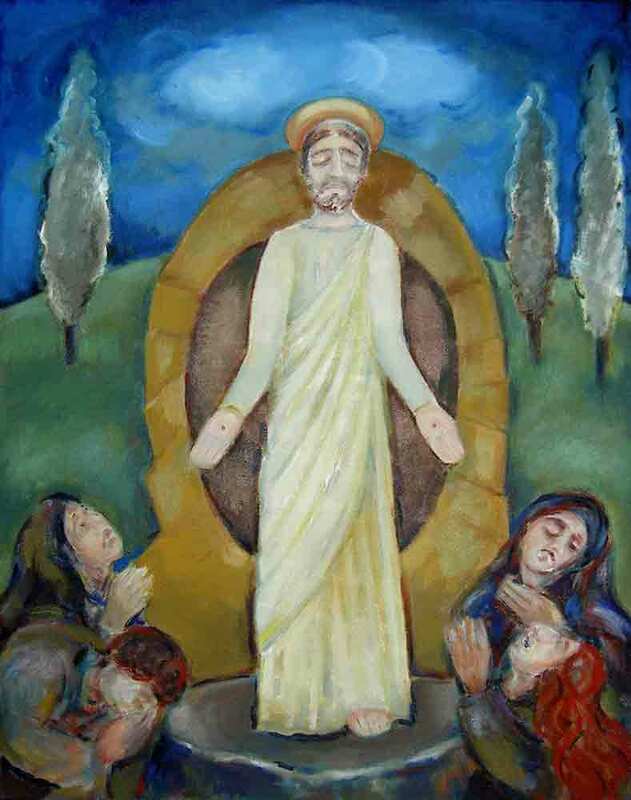 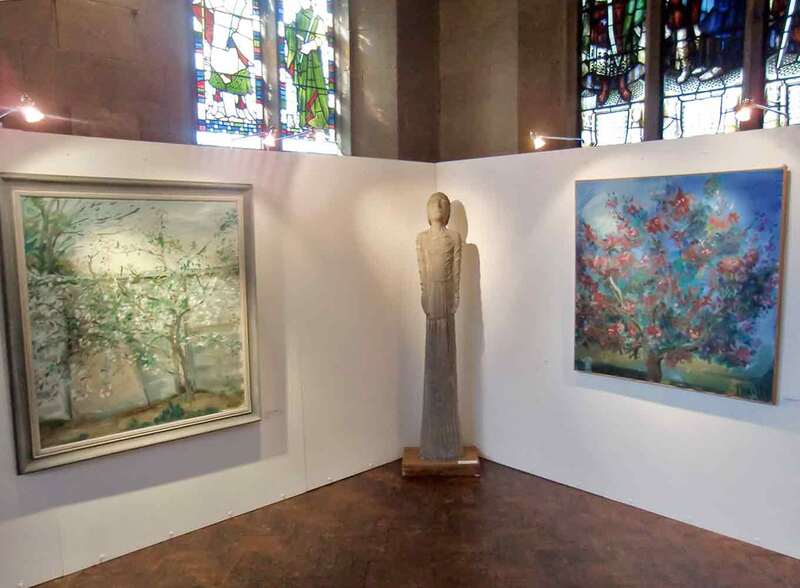 In this Easter exhibition, the dramatic oil Resurrection and the clay sculpture of The Risen Christ were shown beside vibrant paintings of blossoming trees to create a sense of released energy and awakening. 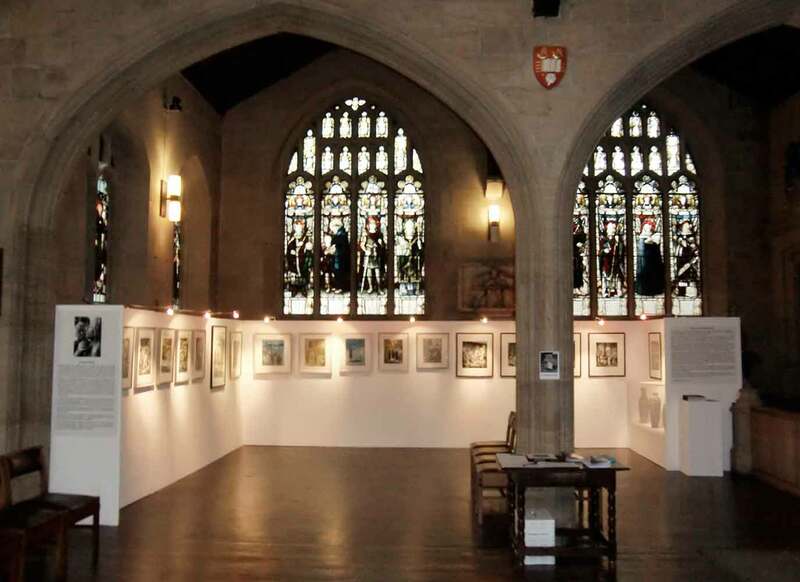 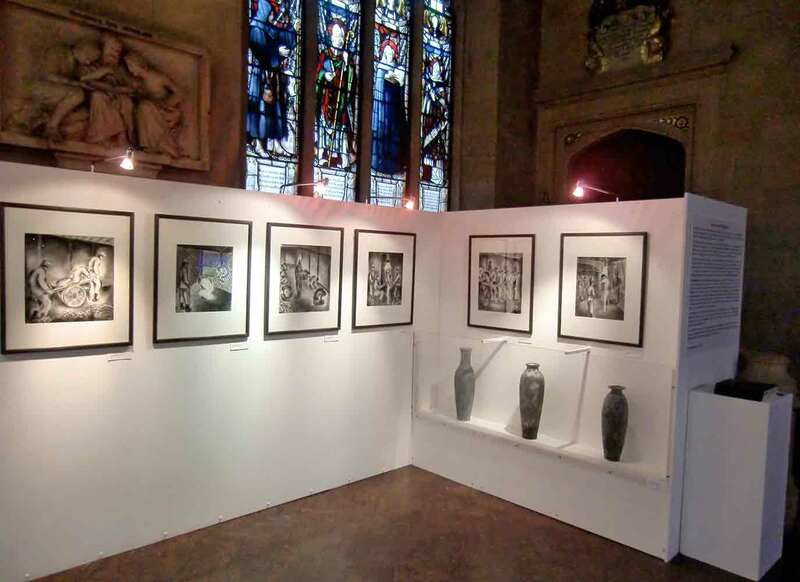 Both exhibitions produced in collaboration with Bradford Cathedral Artspace Committee. 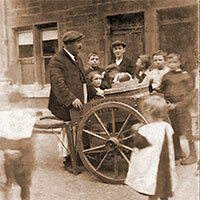 A series of photos (c.1900–1954) tracing the dramatic story of Antonio Pacitti’s family. 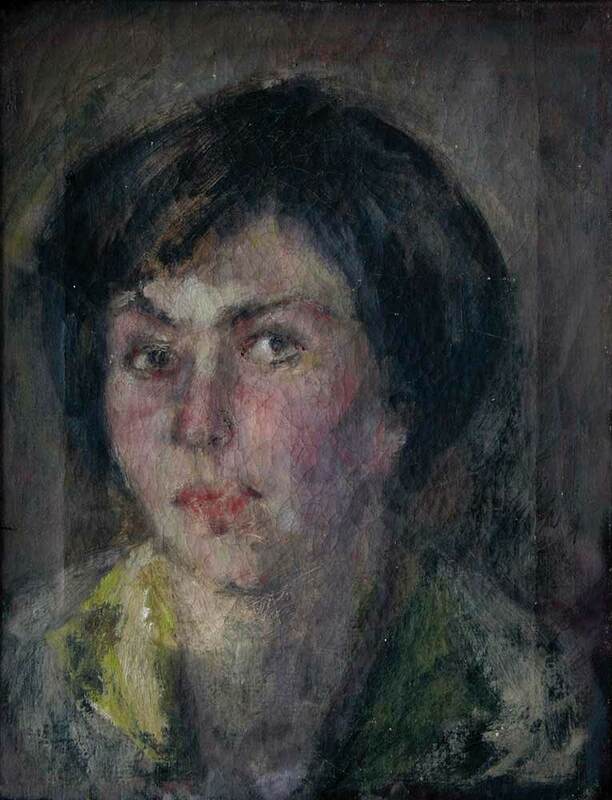 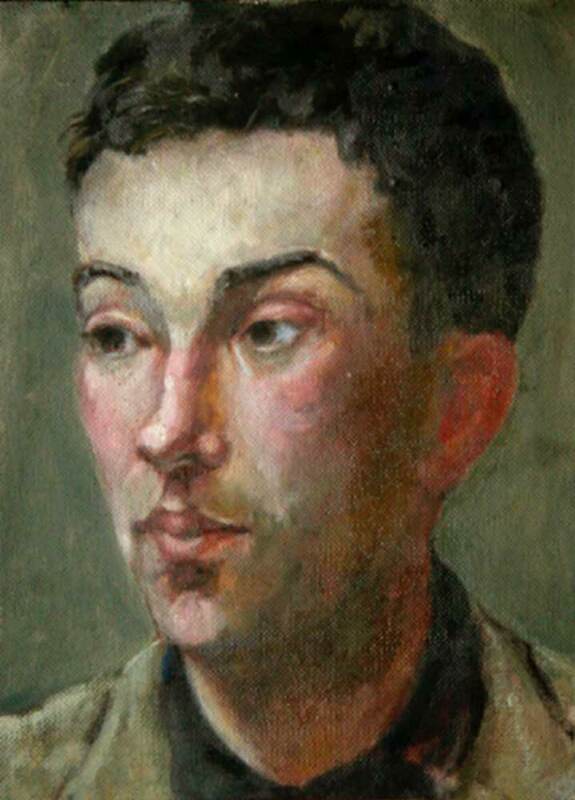 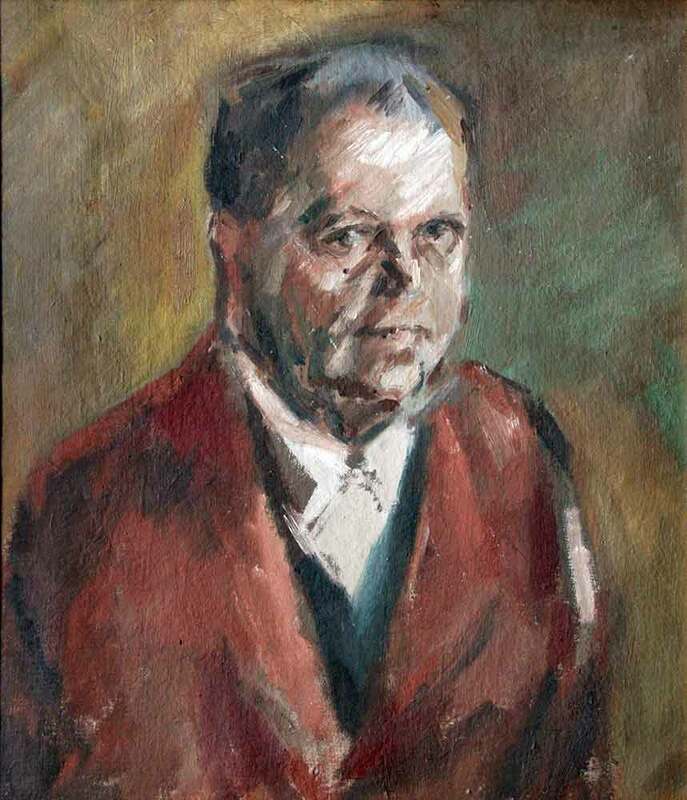 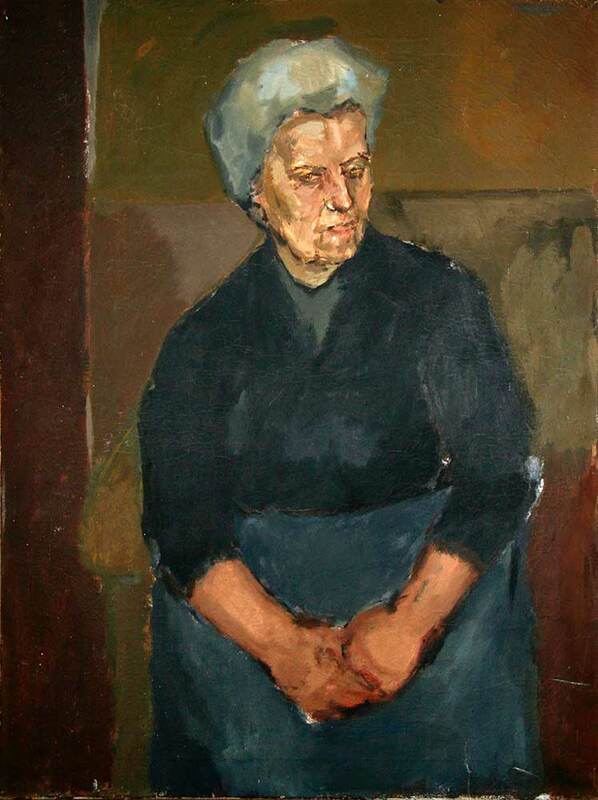 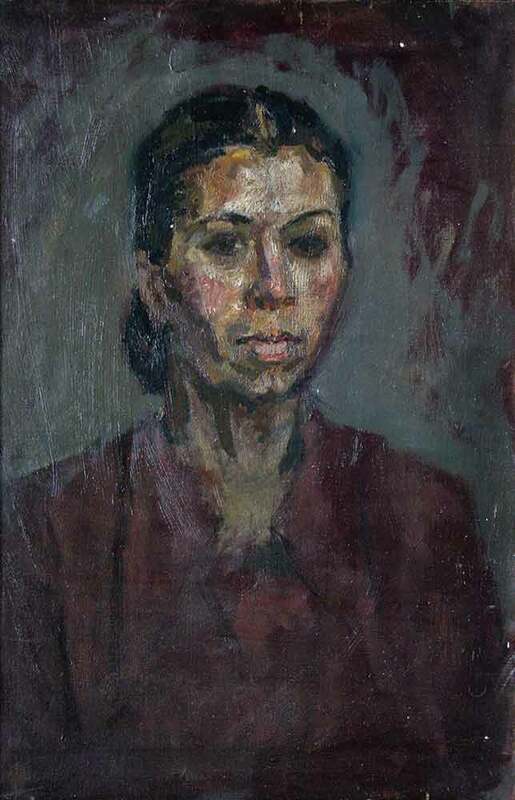 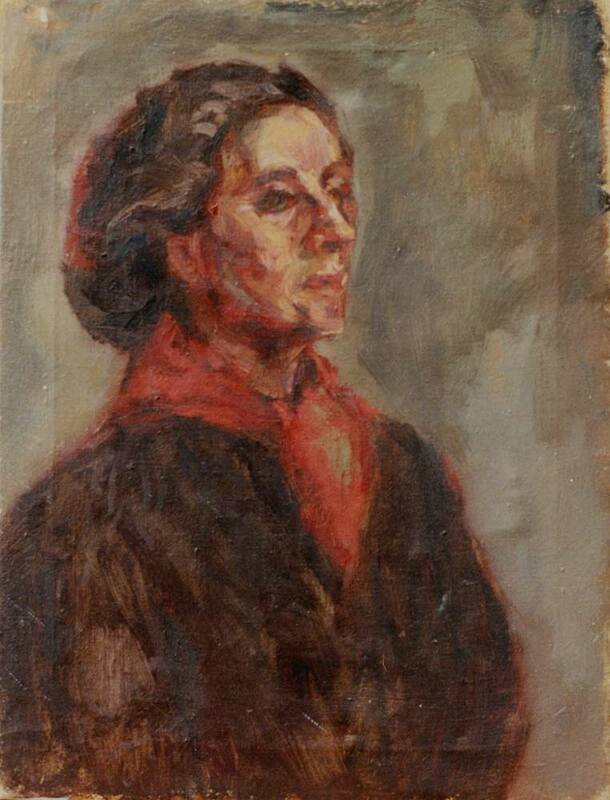 Starting with his grandfather, a commercially successful immigrant to Scotland who was deported to his native Italy for a crime of passion, the exhibition traces the fortunes of various family members, and records the flight from Cassino to Glasgow, the impact of the Second World War and Antonio’s development as an artist. 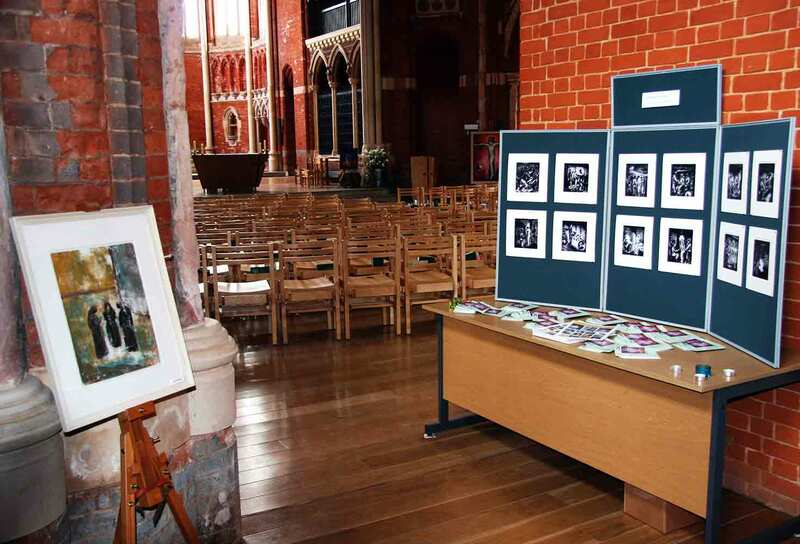 This exhibition was a launch event of Journeys, a multicultural exploration of spirituality that included readings, dance and musical performance. 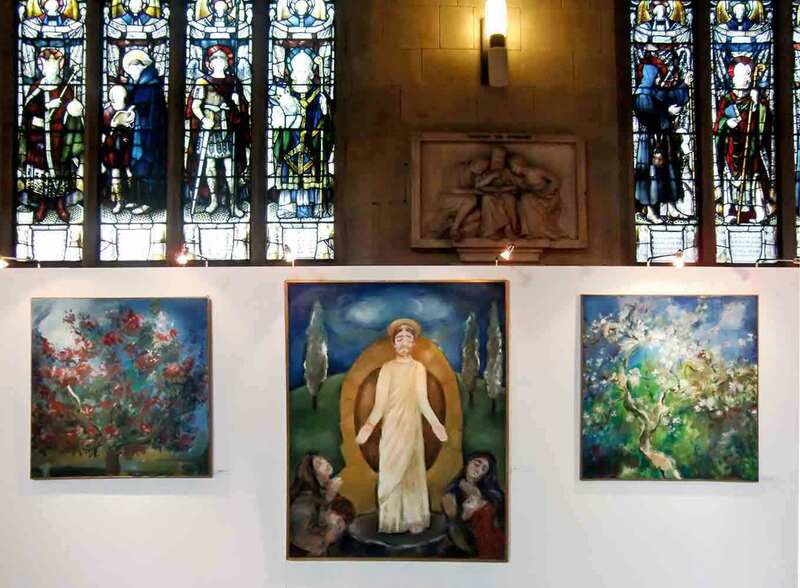 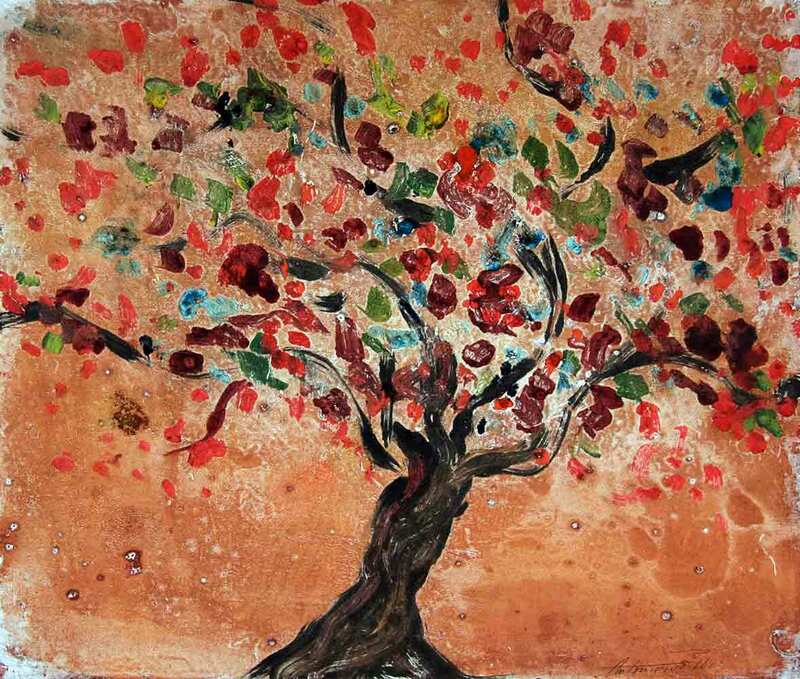 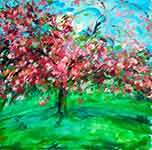 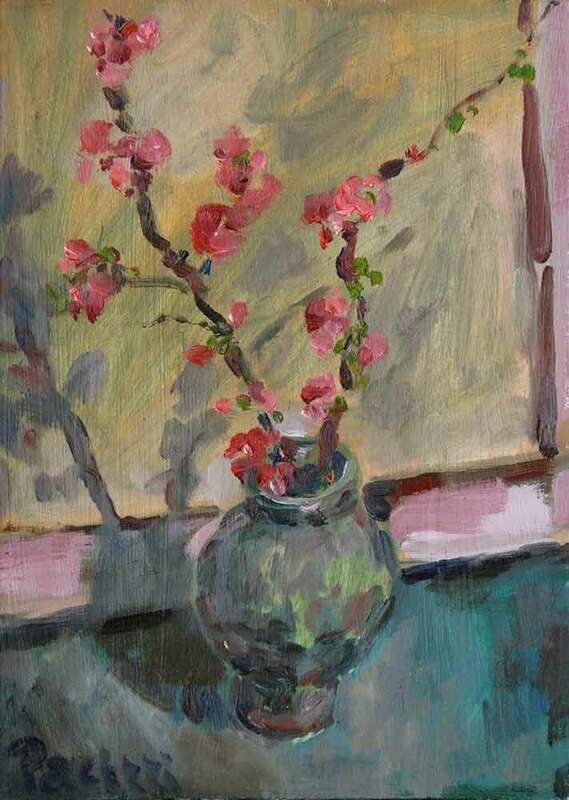 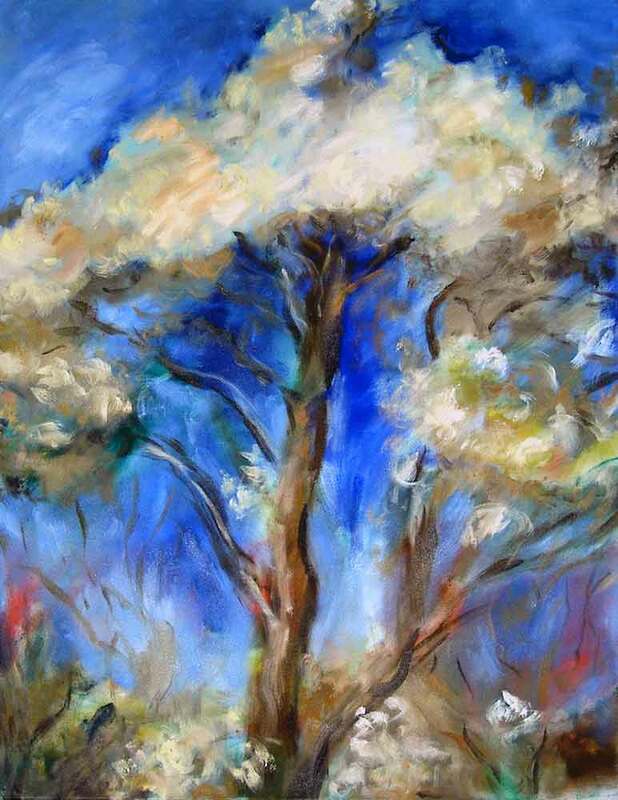 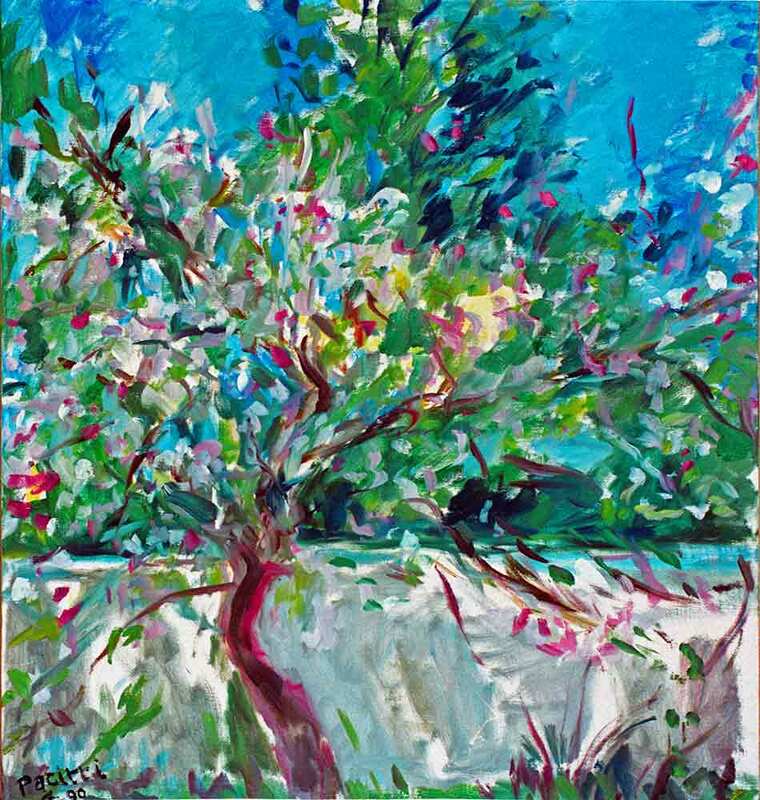 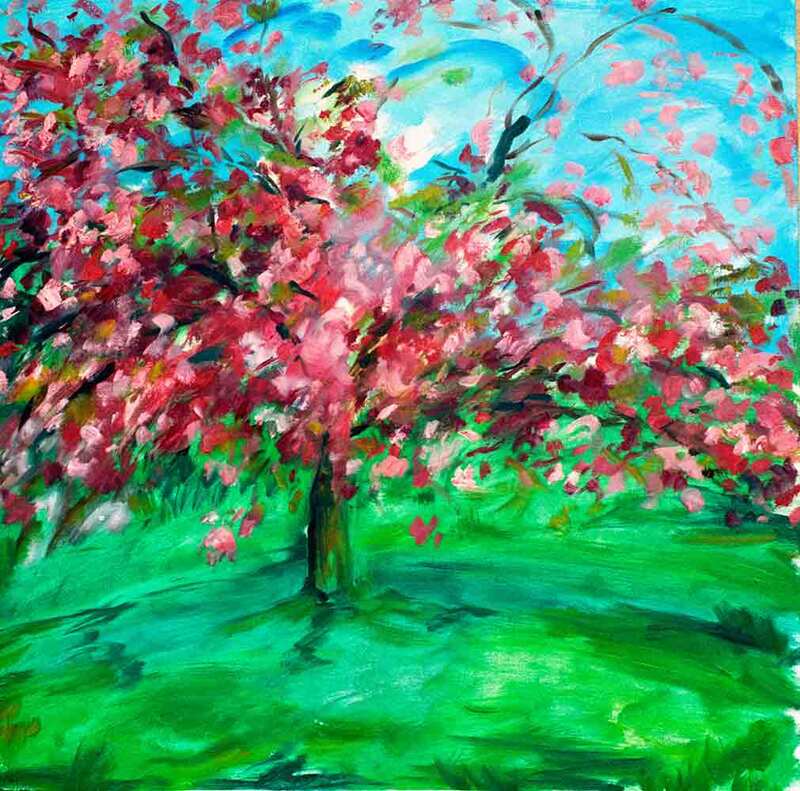 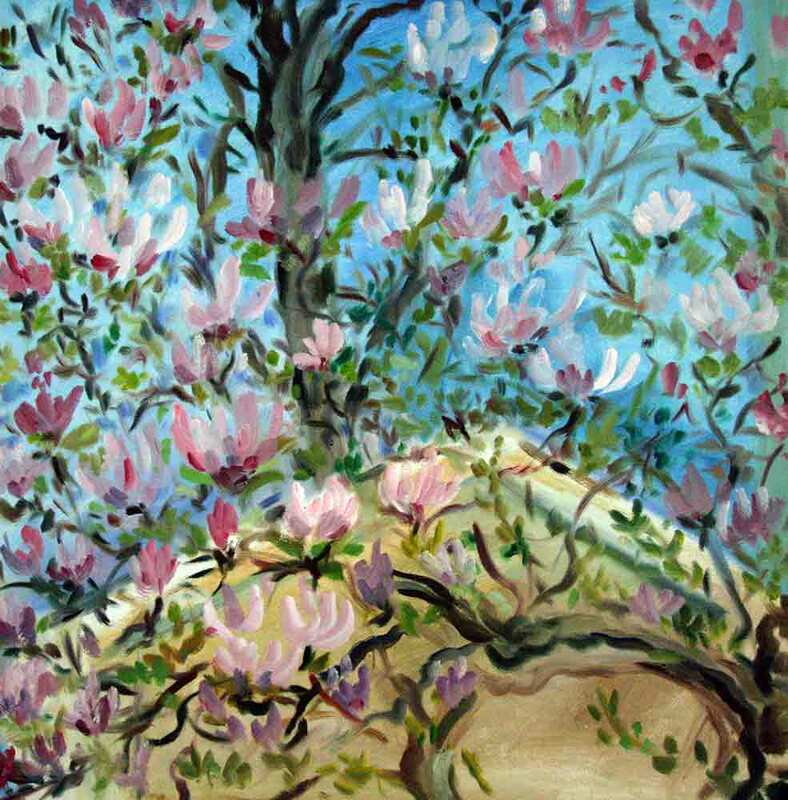 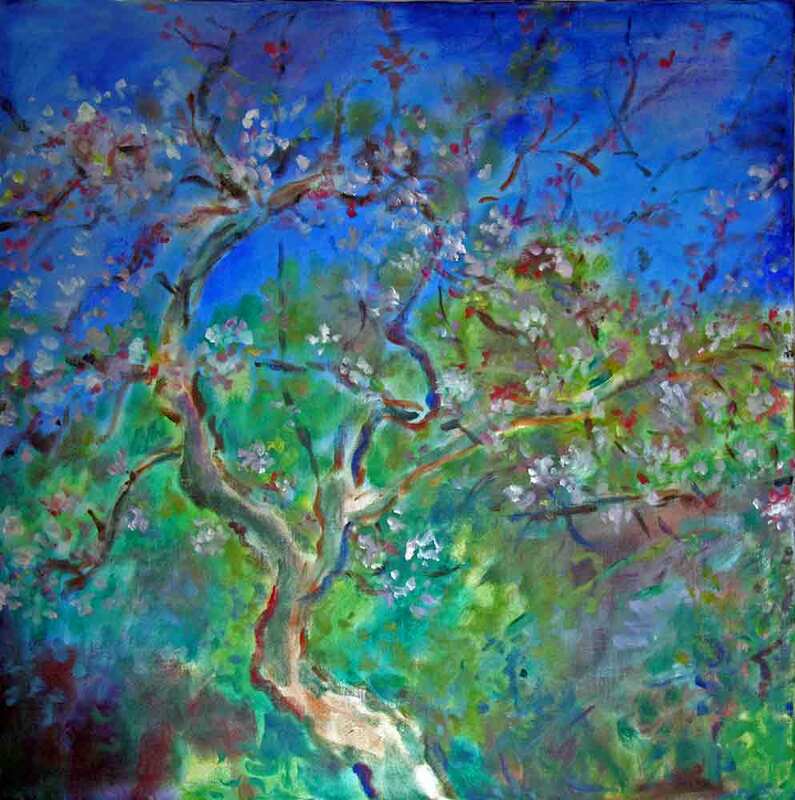 The choice of artworks expressed two contrasting aspects of spirituality, with vibrant paintings of blossoming trees shown together with the Guantanamo drawings. 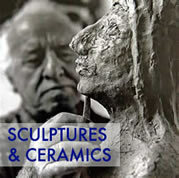 Produced in collaboration with the Italian Cultural Institute, Edinburgh and Dr. Carlo Pirozzi, University of St. Andrews. 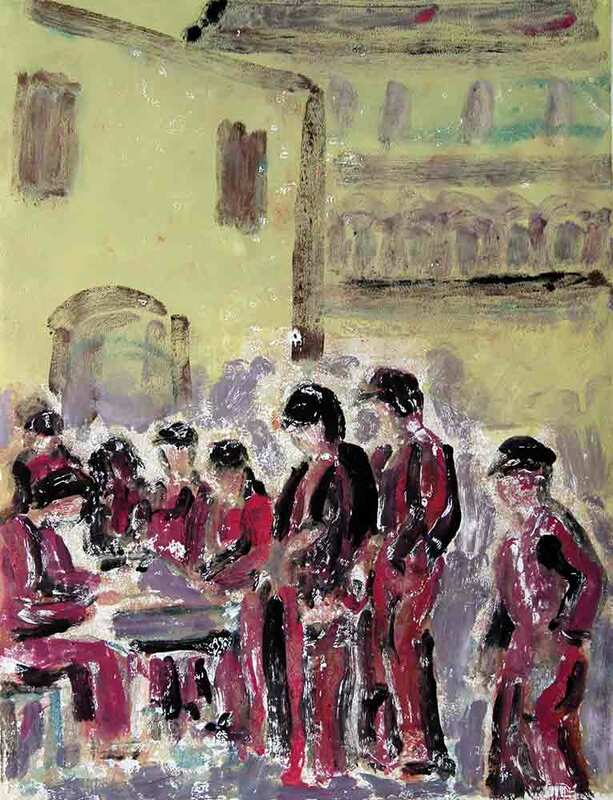 This exhibition was timed to coincide with the 70th anniversary of the battle of Cassino, Pacitti’s birthplace. 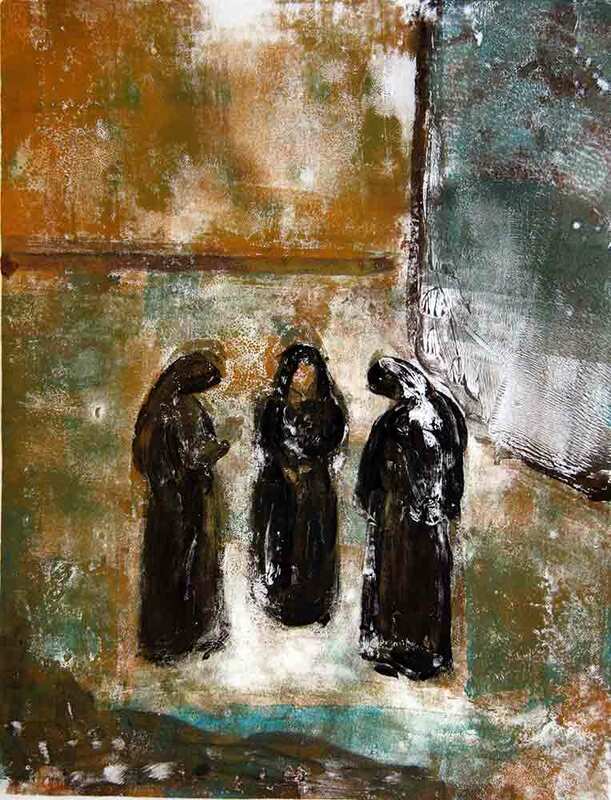 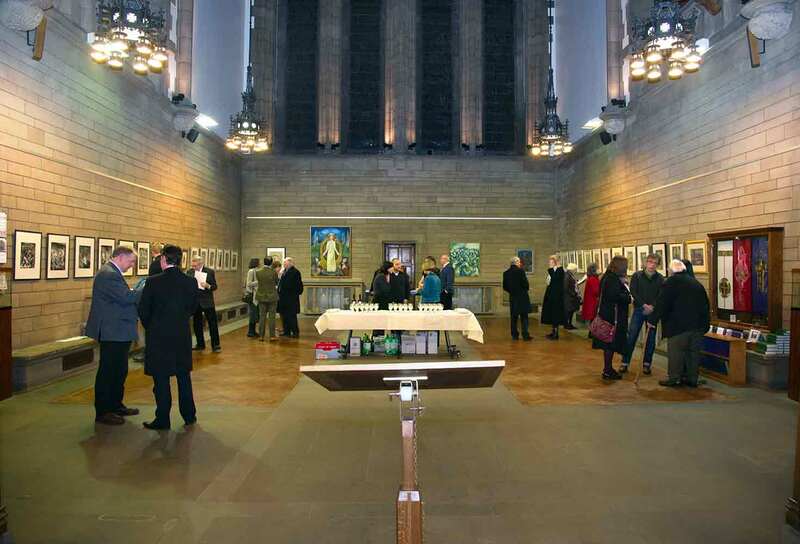 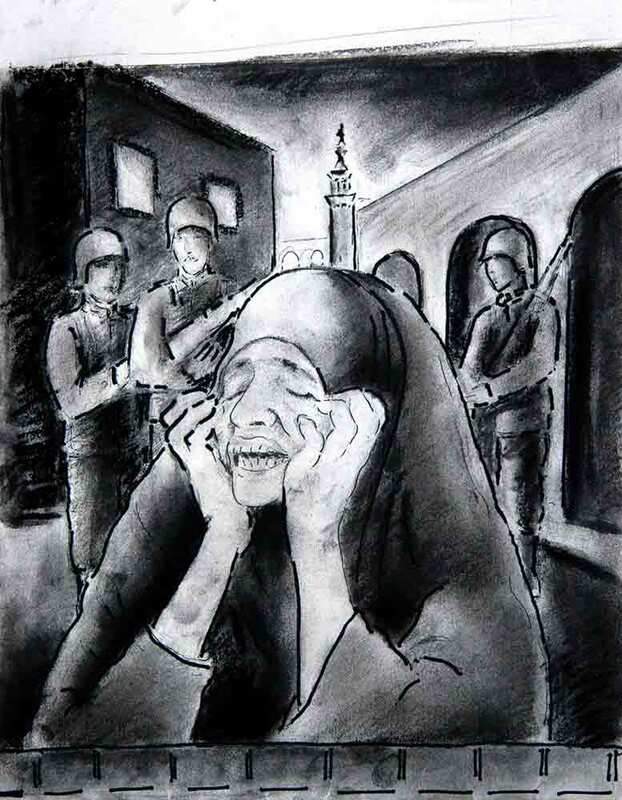 In the Memorial Chapel, images of Jesus’s trial and execution by an occupying foreign power were shown alongside artworks inspired by contemporary conflicts in the Middle East. 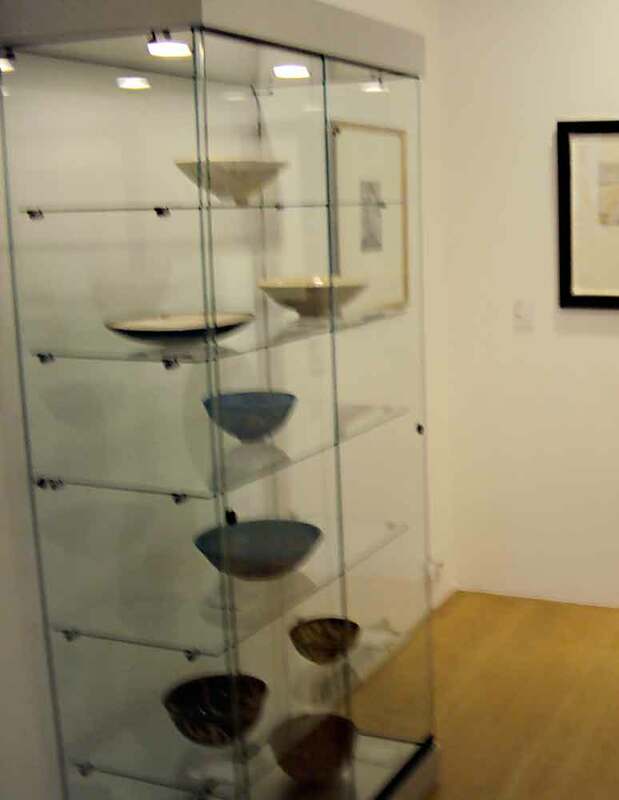 This exhibition was an item on the BBC Scotland television news and was the subject of a BBC radio interview with Diane Pacitti. 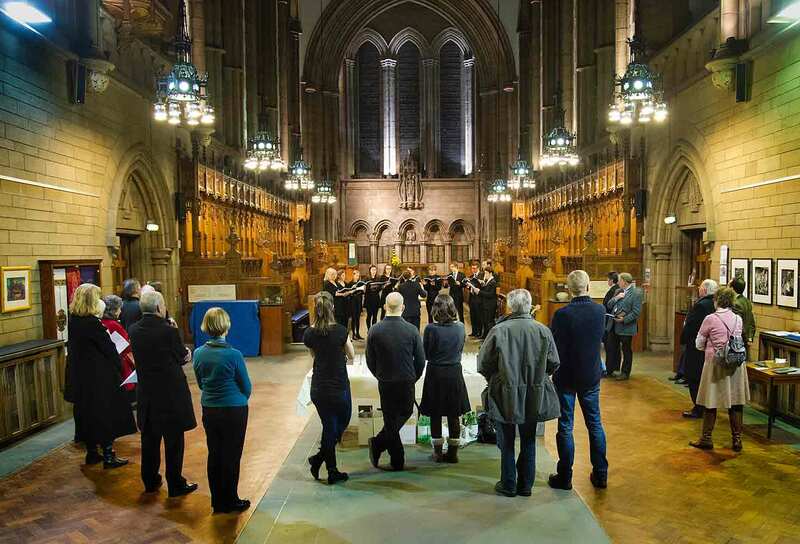 Produced in collaboration with Glasgow University Exhibition Committee. 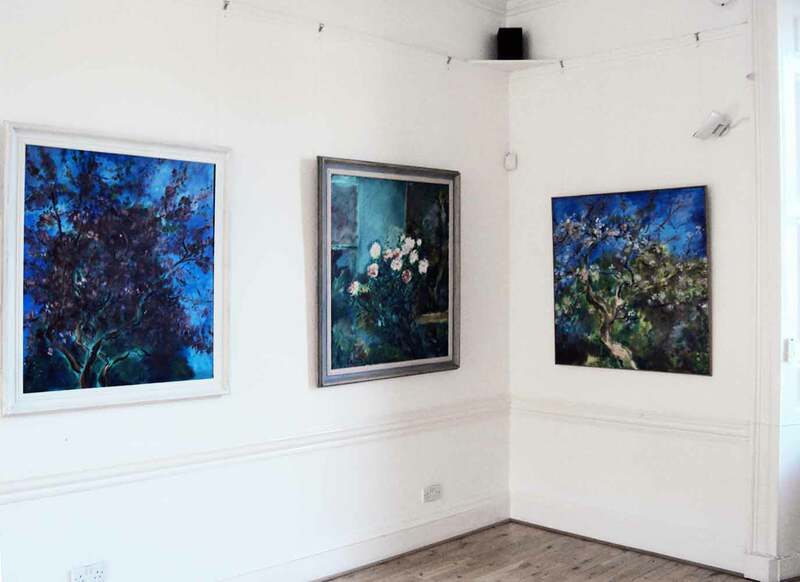 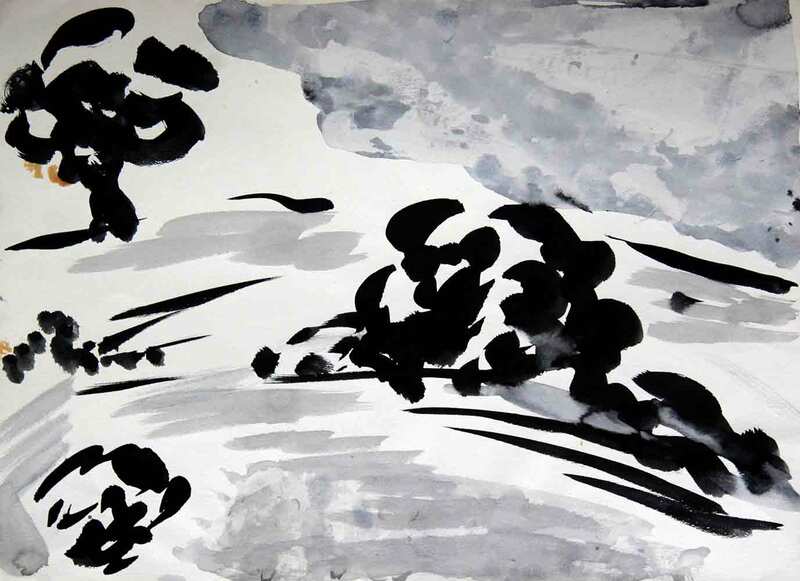 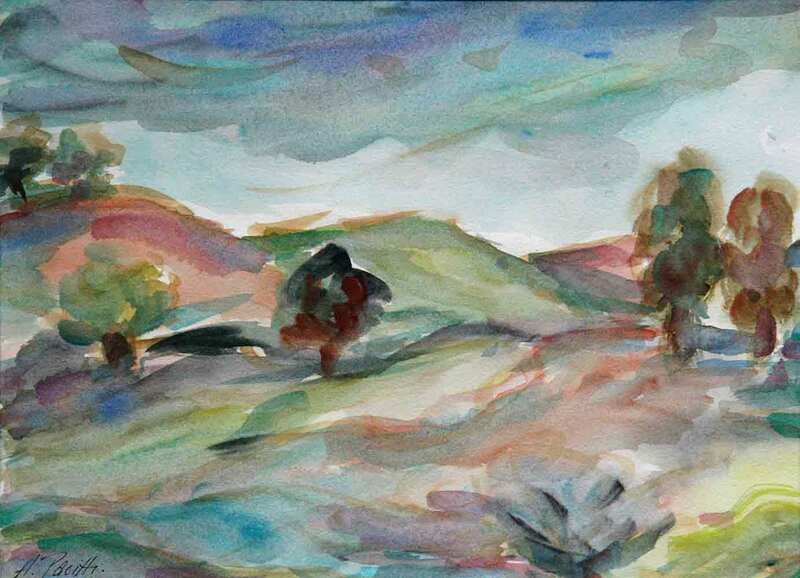 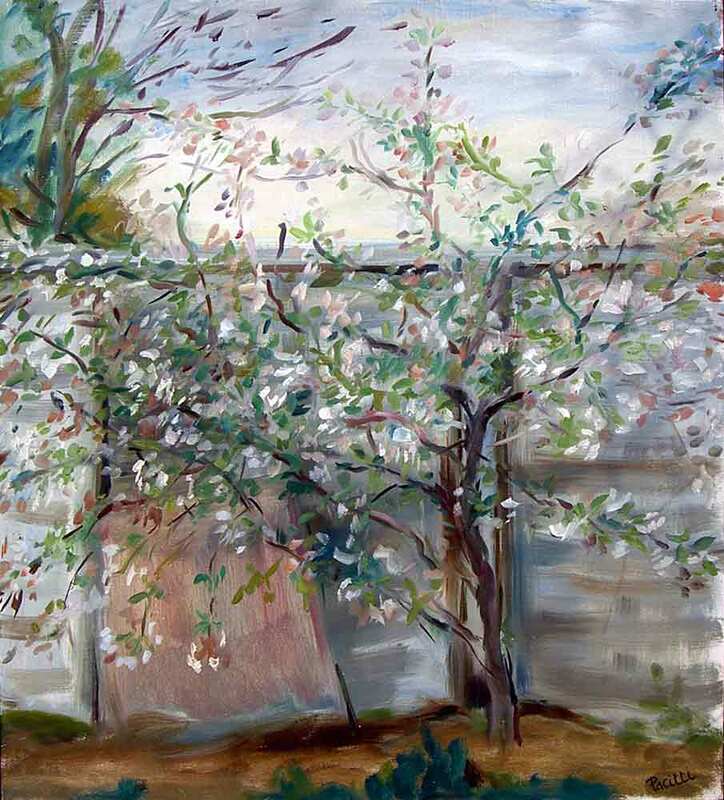 An exhibition of joyous artworks, including large oils of blossoming trees, shown together with a series of photographs tracing the artist’s life. 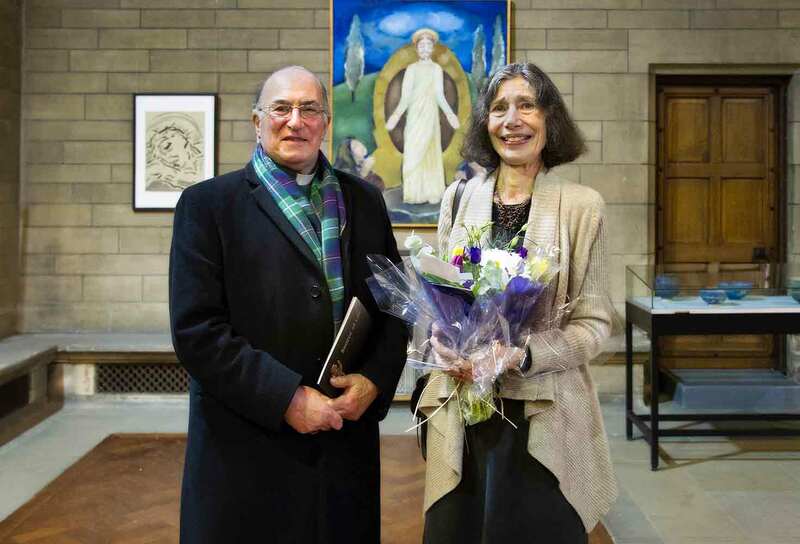 This was Diane Pacitti’s expression of thanks for the end-of-life care given to her husband at their home. 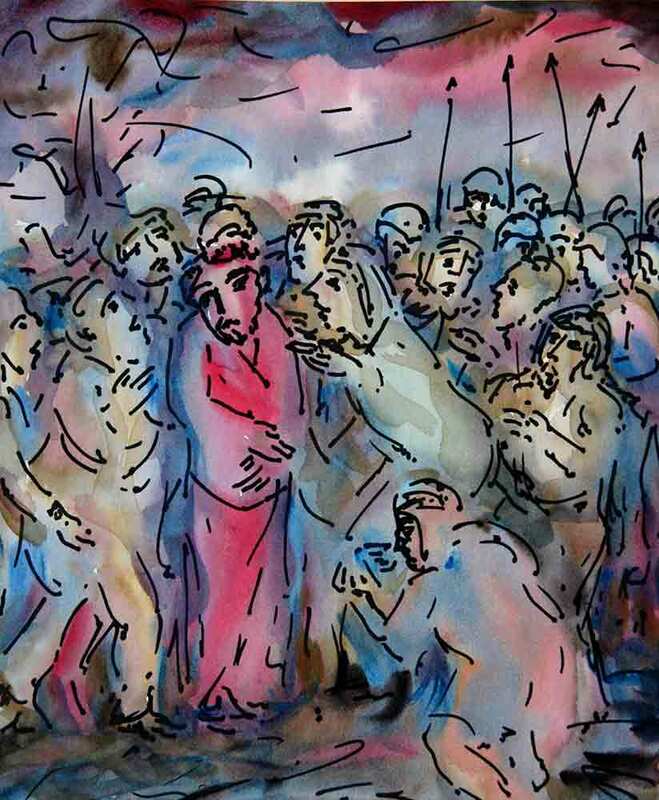 This exhibition, which juxtaposed Biblically based images with works inspired by contemporary political events, unfolded through the Church year, from Harvest and Advent to Holy Week and Easter. 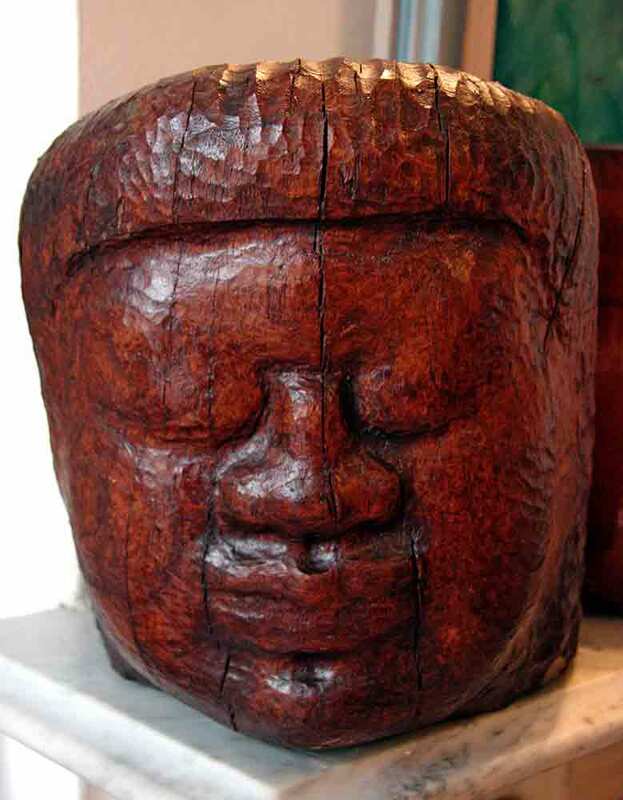 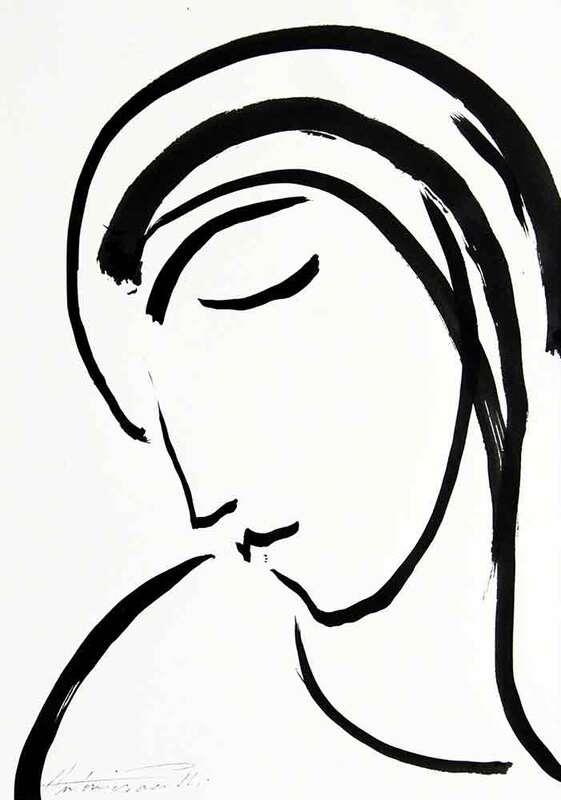 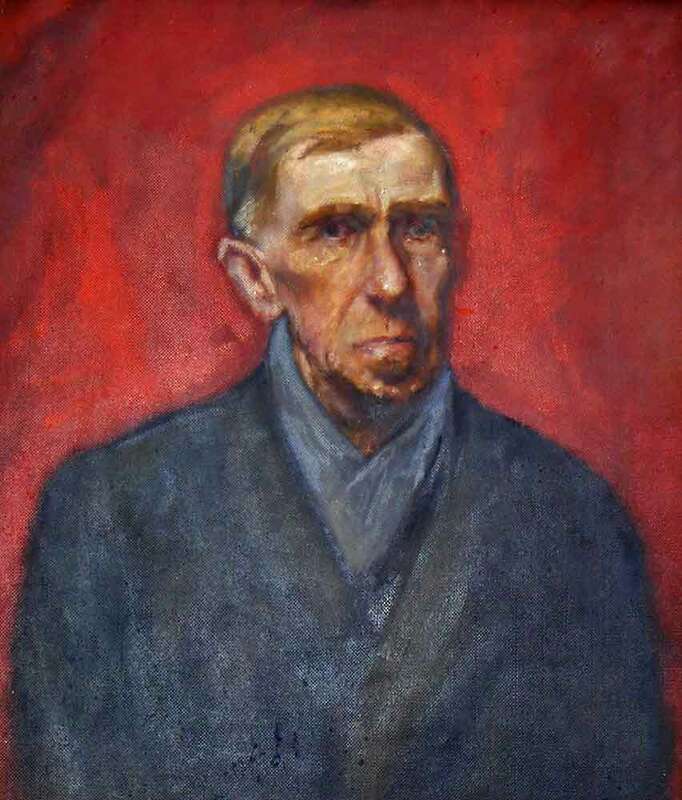 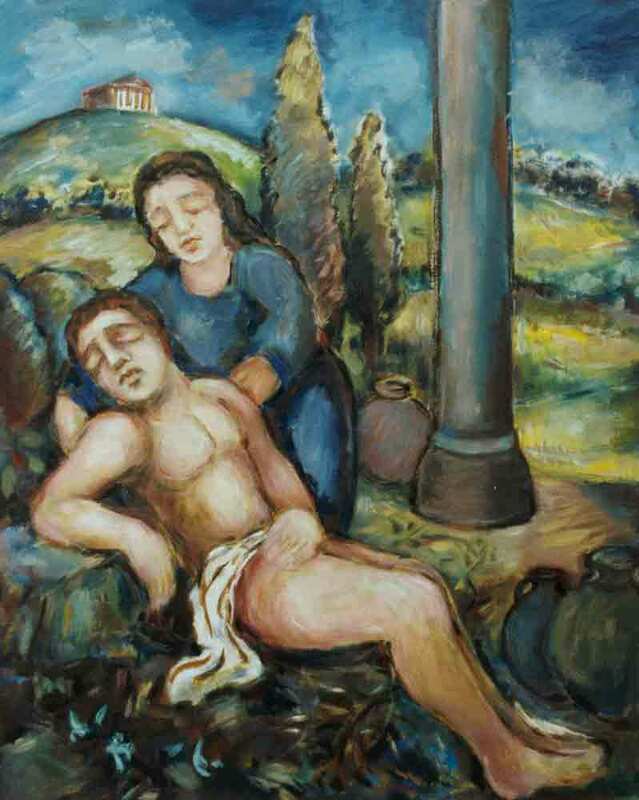 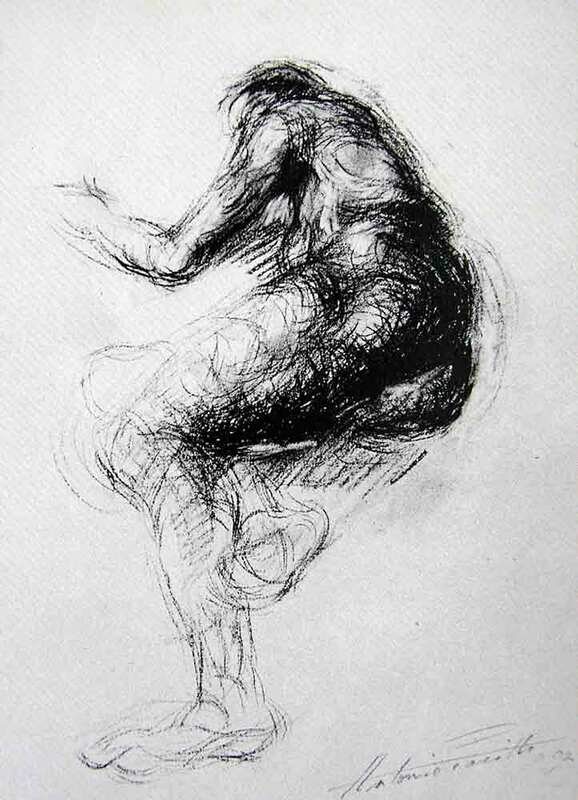 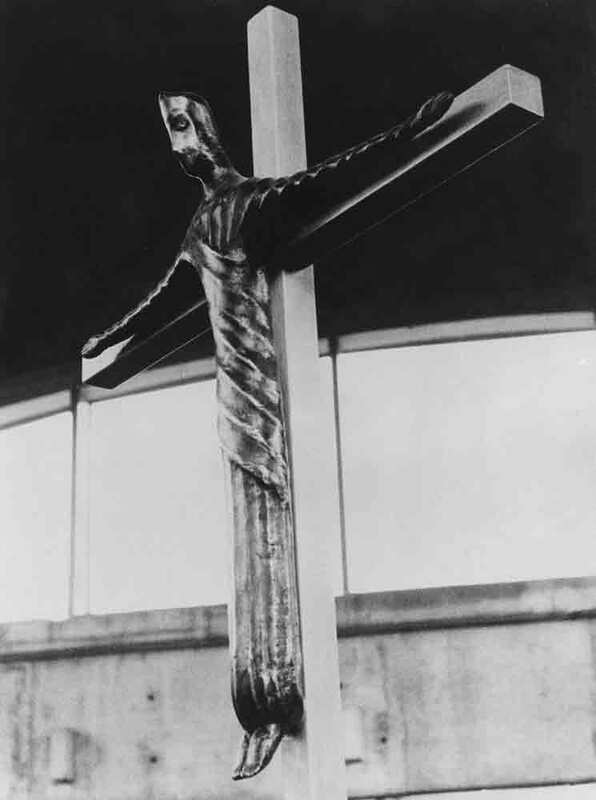 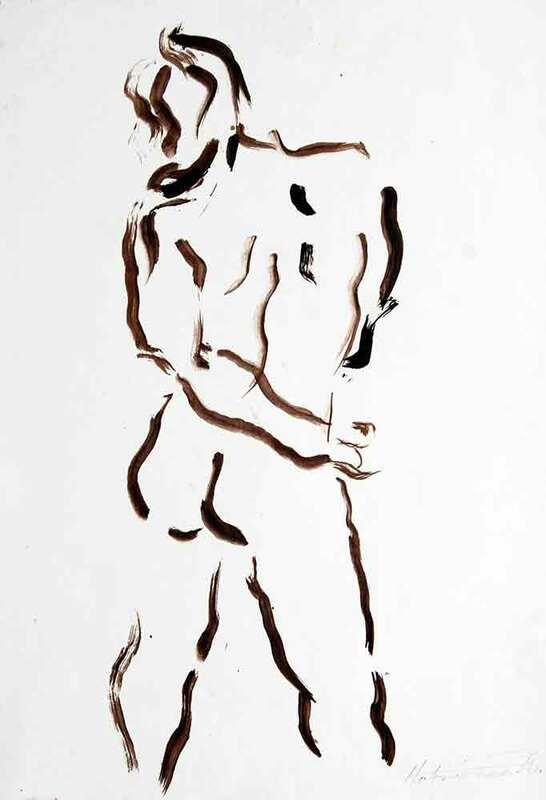 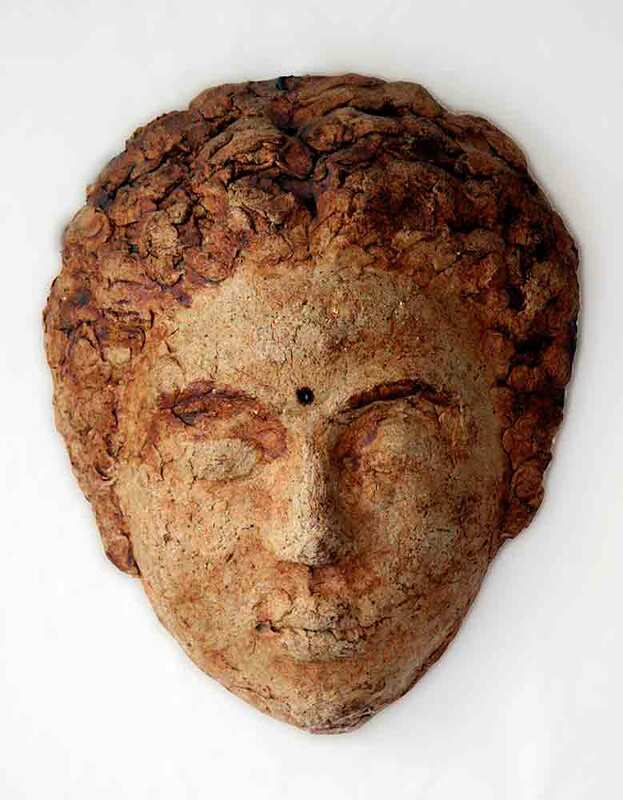 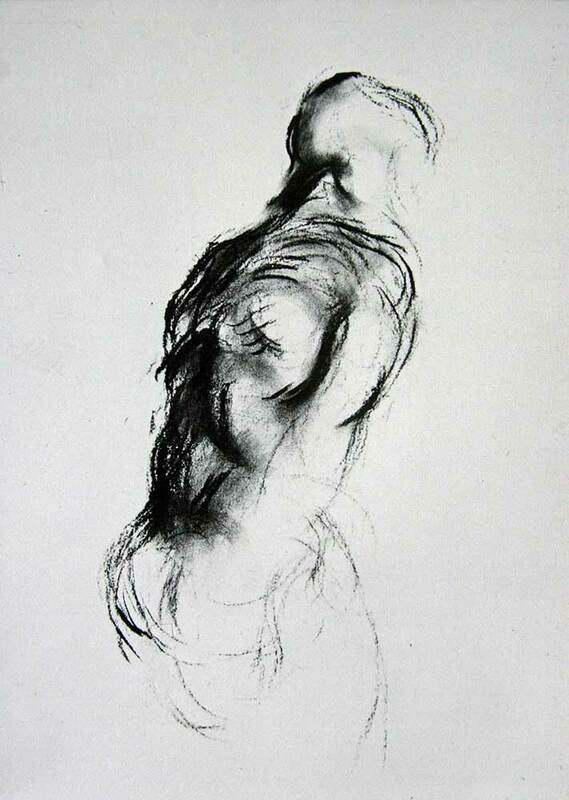 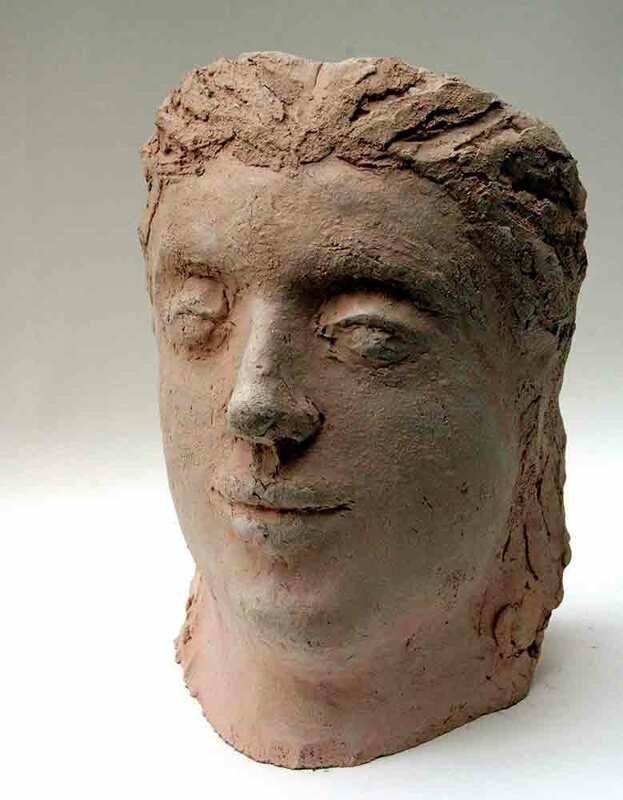 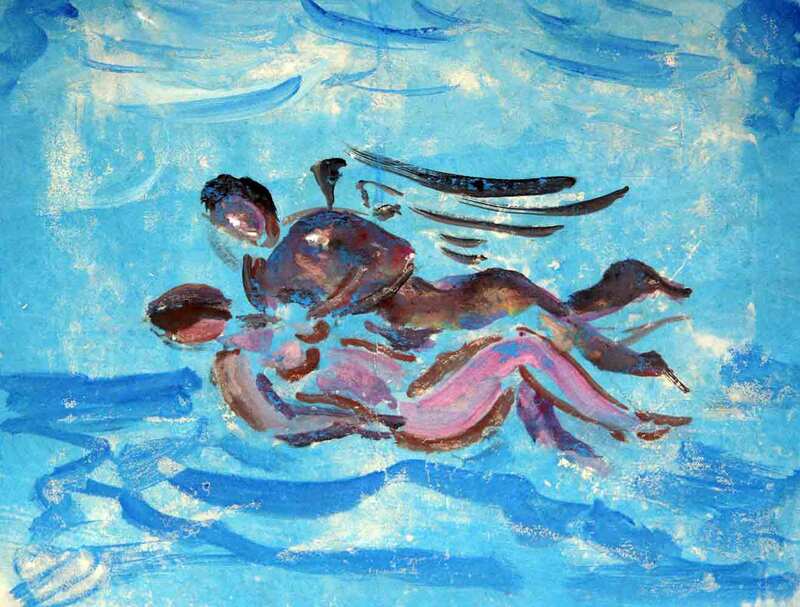 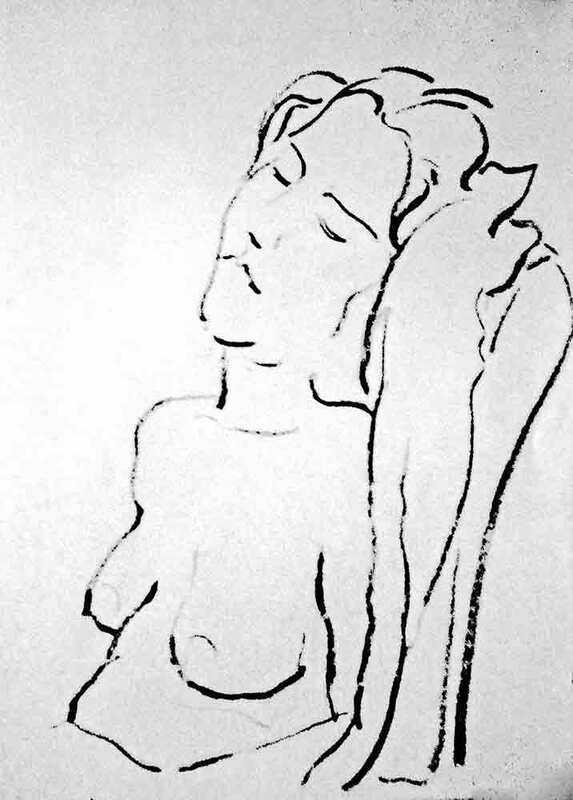 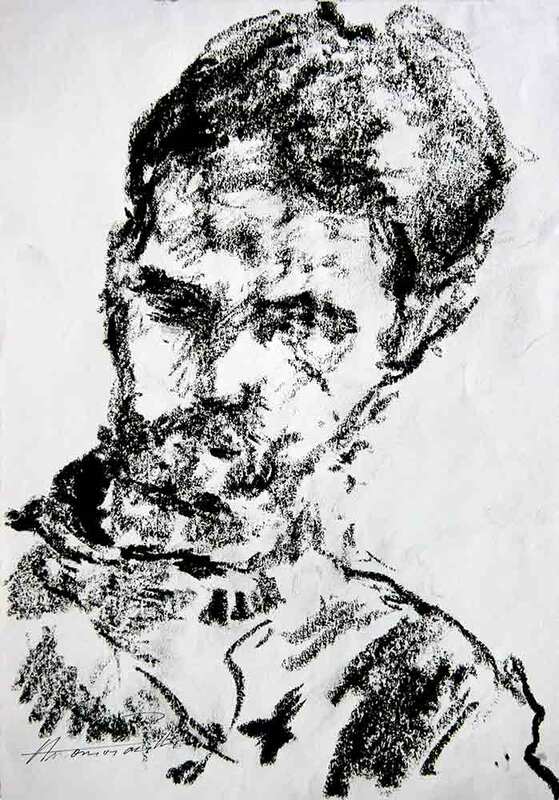 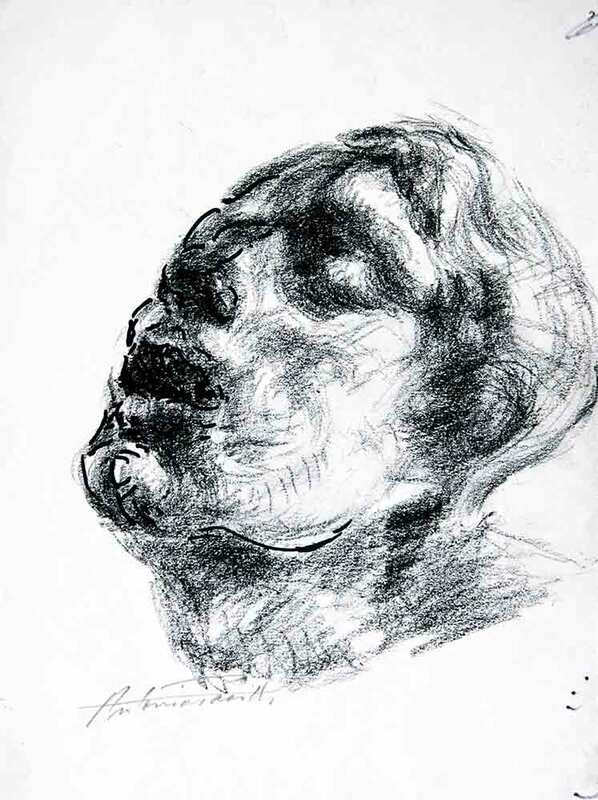 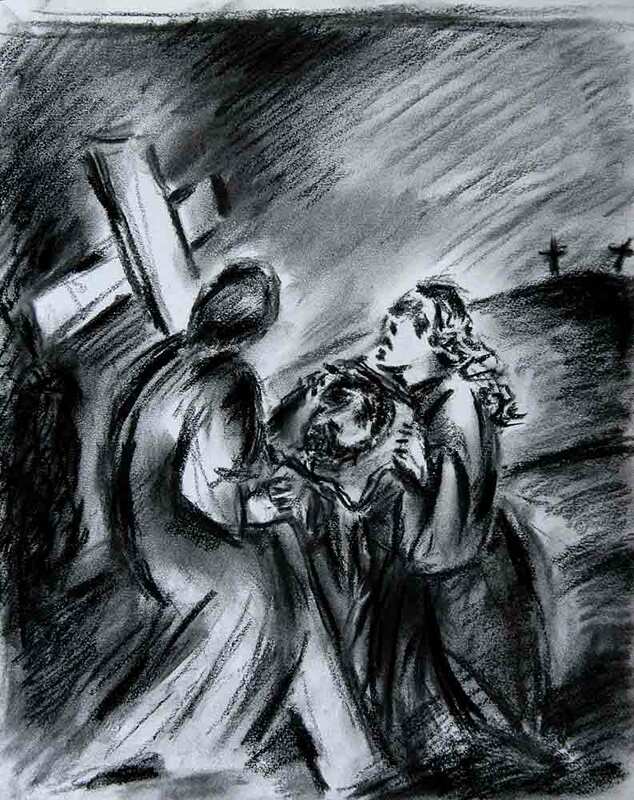 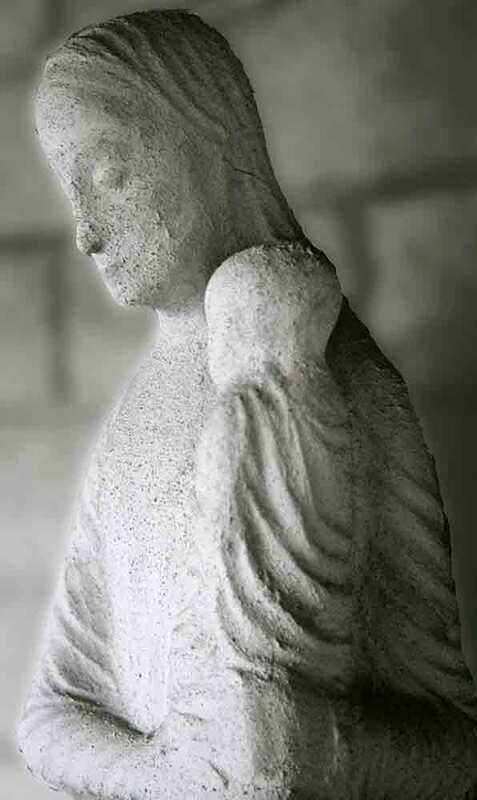 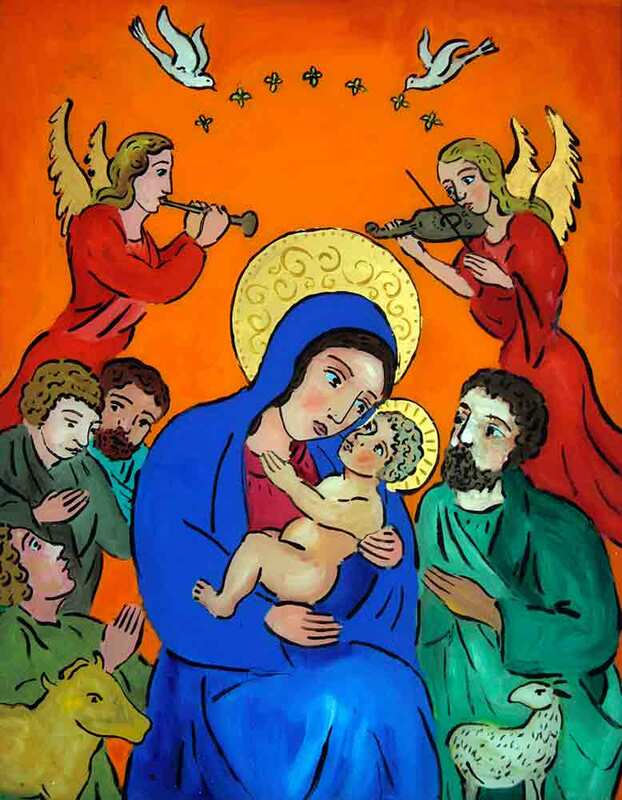 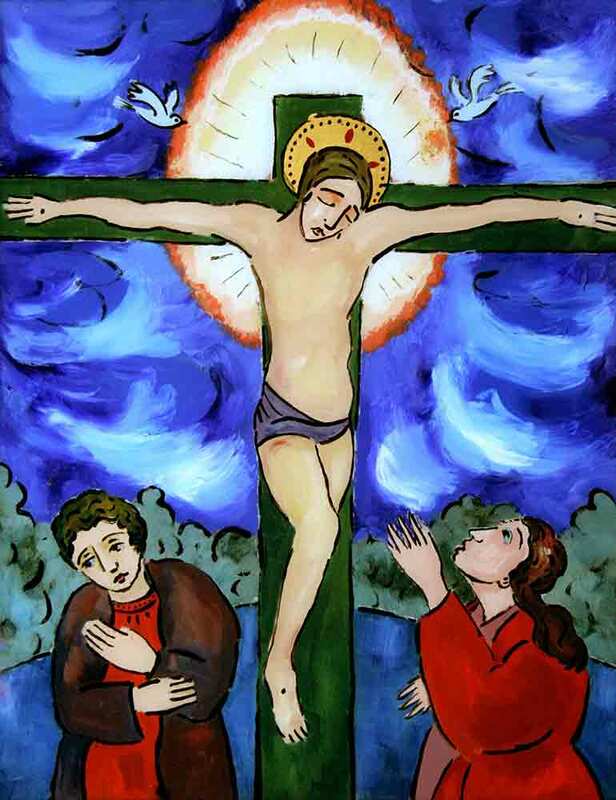 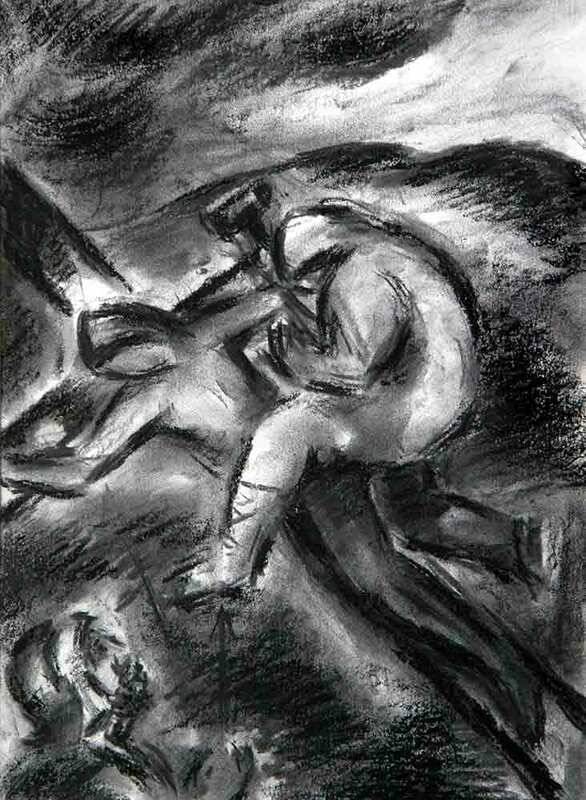 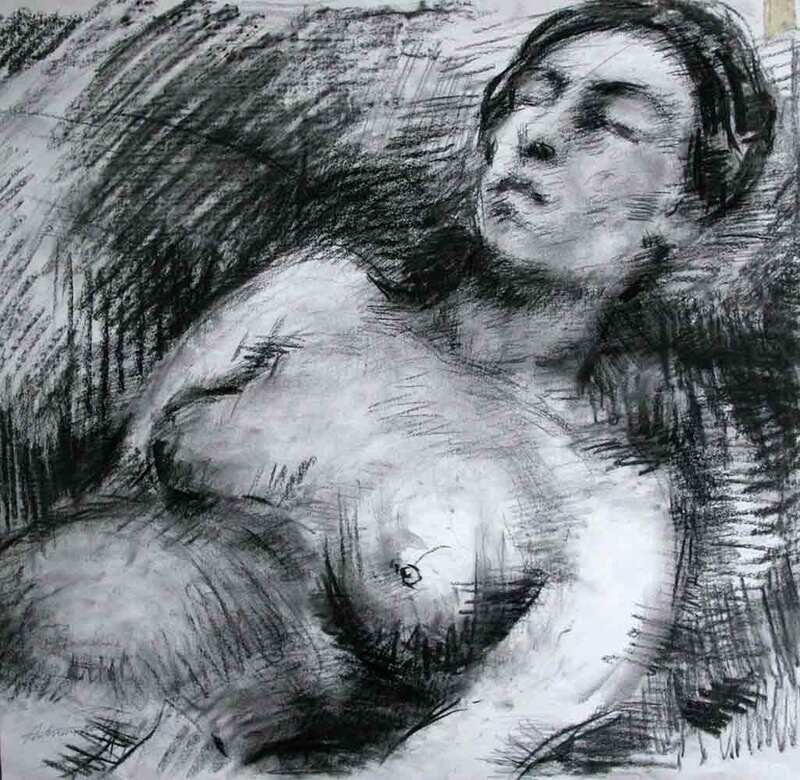 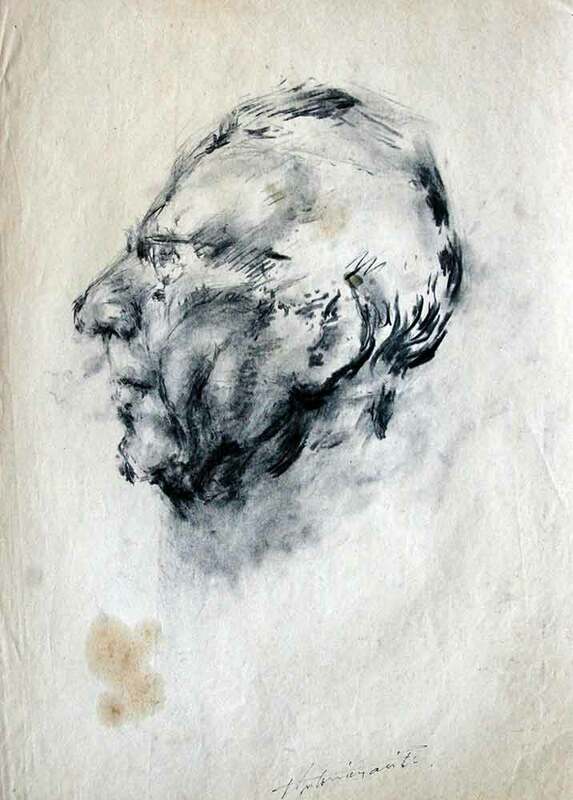 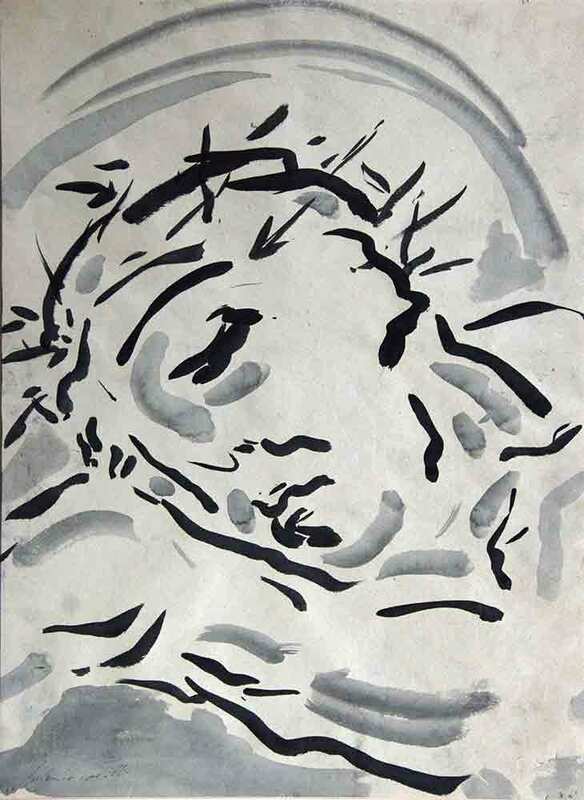 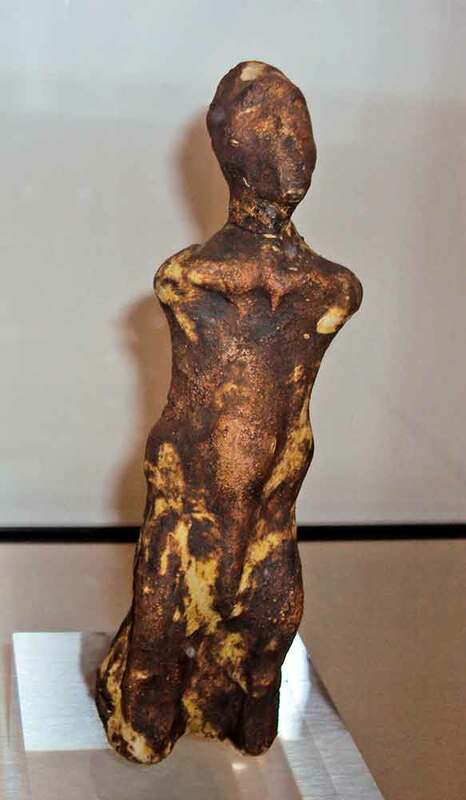 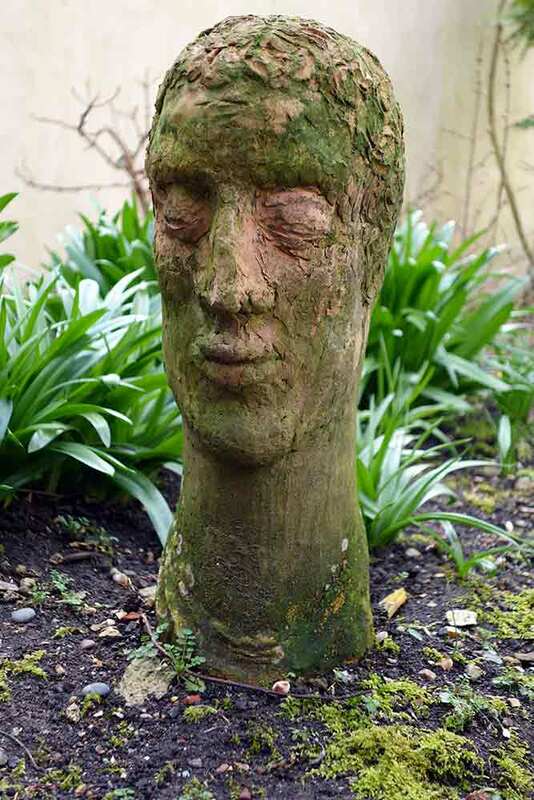 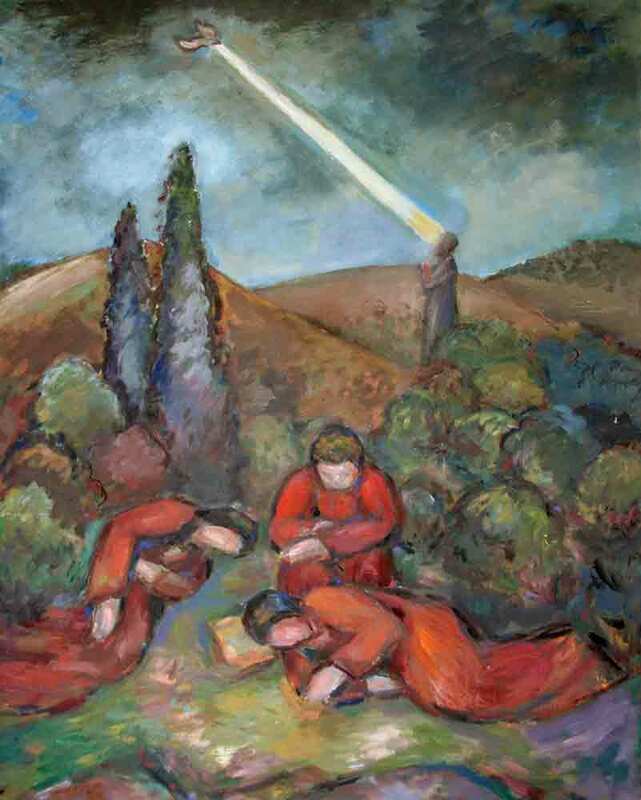 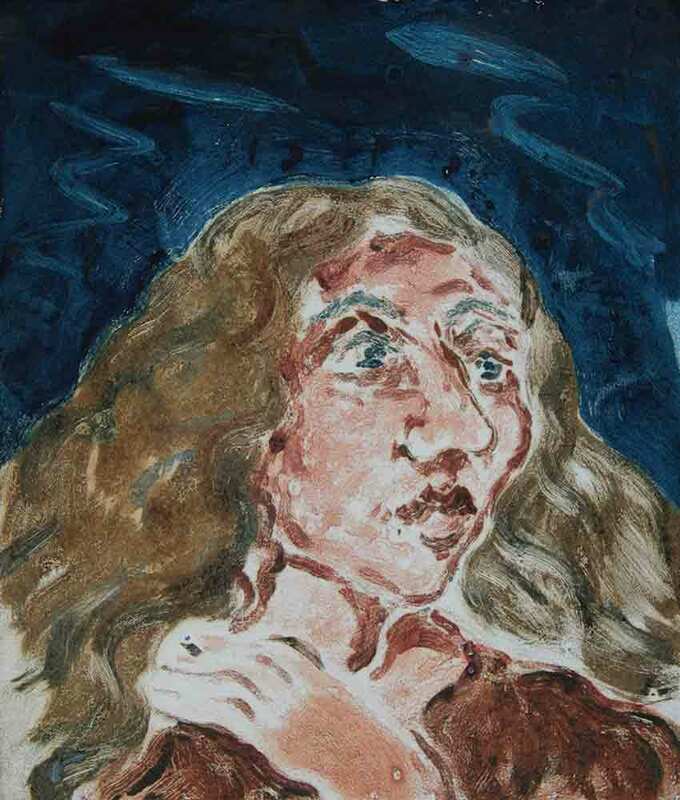 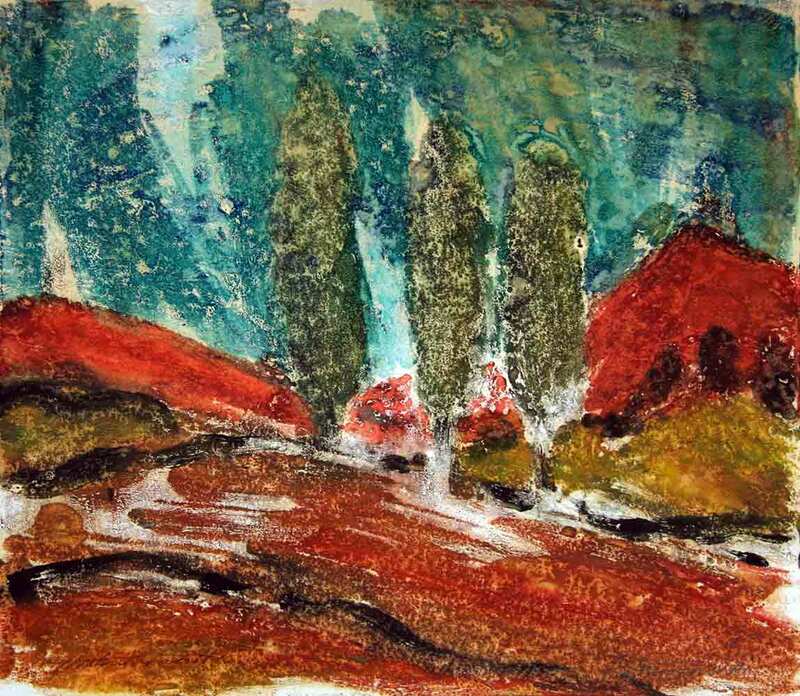 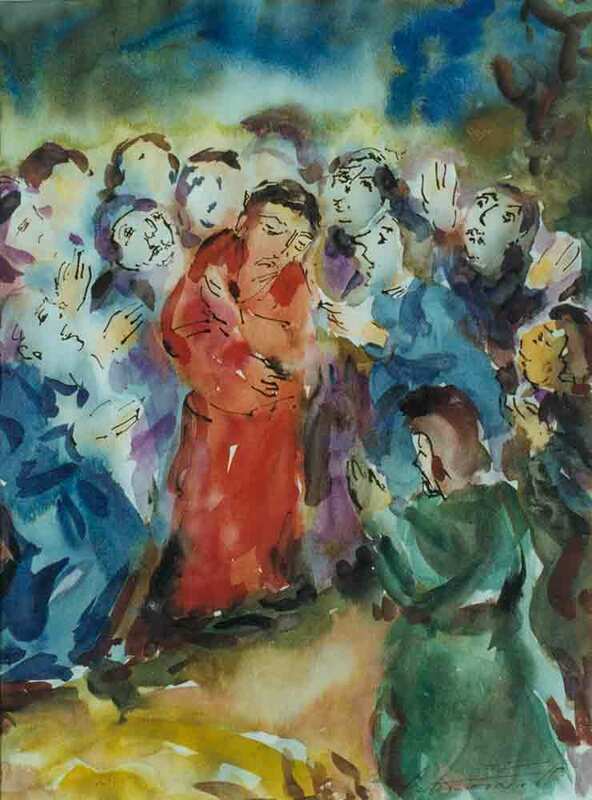 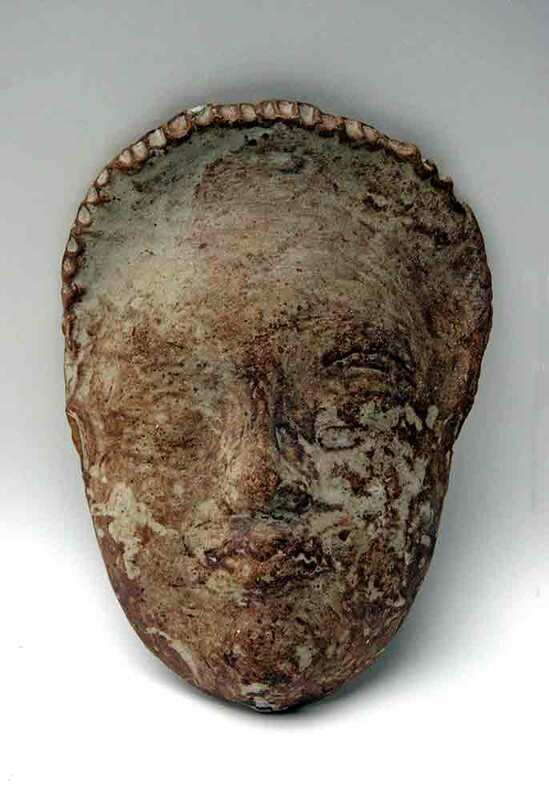 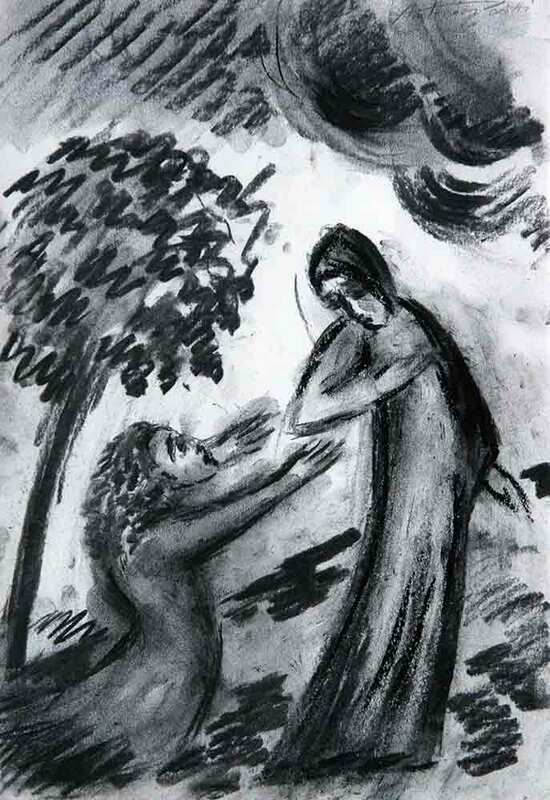 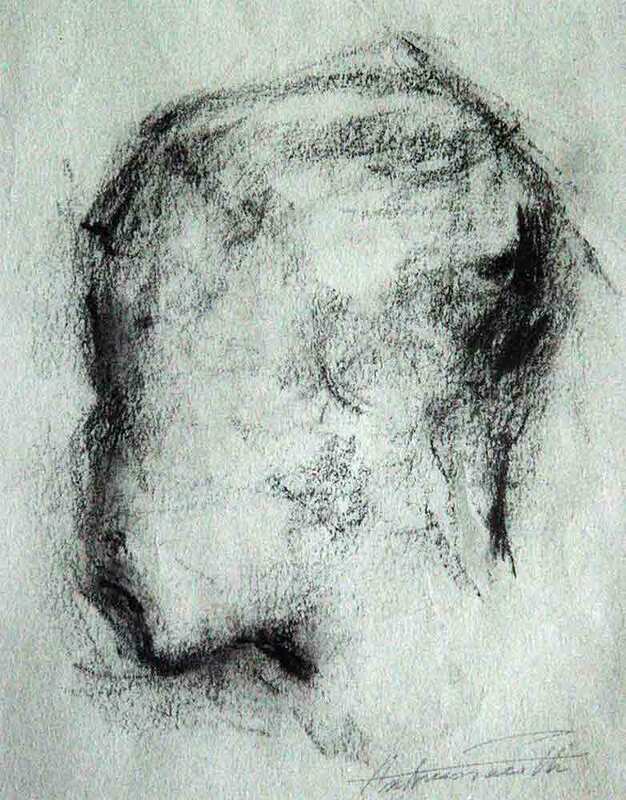 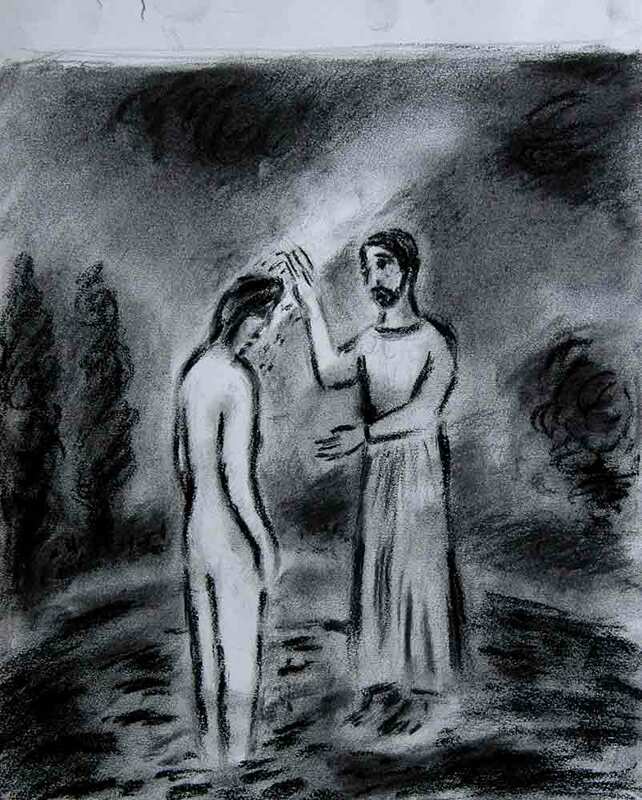 Pacitti produced artwork specifically for Source of Life, including a tall clay sculpture, which can still be seen at All Saints, and the remarkable monotype Simeon, produced the morning before a heart attack sent him to hospital with what proved his final illness. 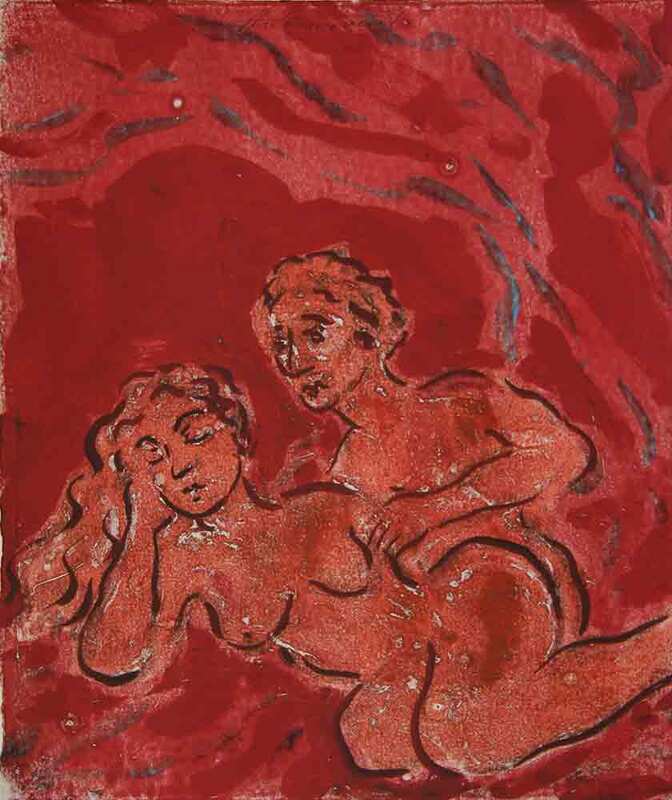 The Source of Life booklet and DVD were produced in 2009. 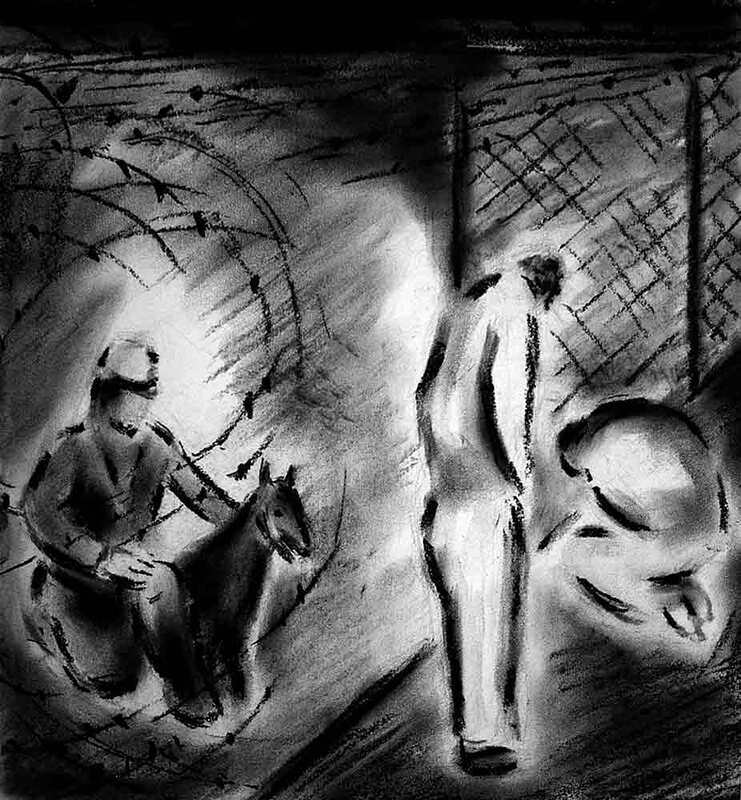 Copies are still available from Diane Pacitti for £6.00 including U.K. postage and packing. 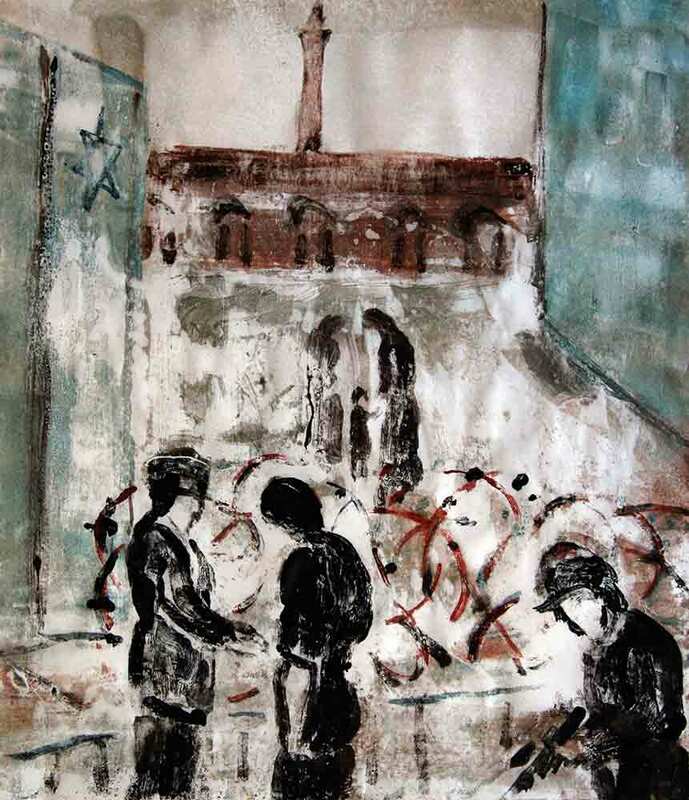 This AHRC funded project, whose Research Fellow is Dr.Carlo Pirozzi, investigates cultural exchange between communities and individuals, focussing on modern Italy and its experiences of migration. 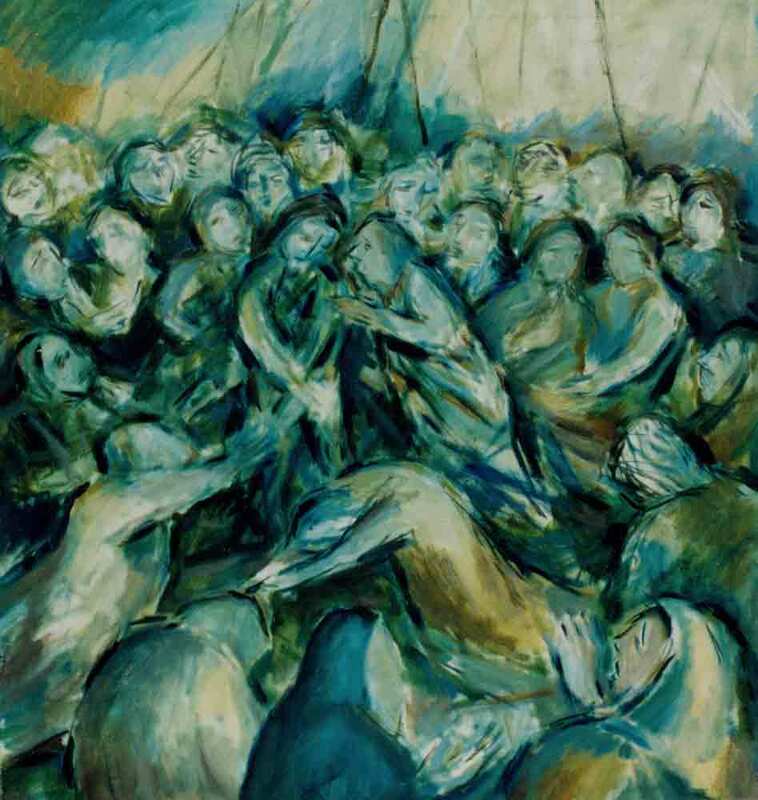 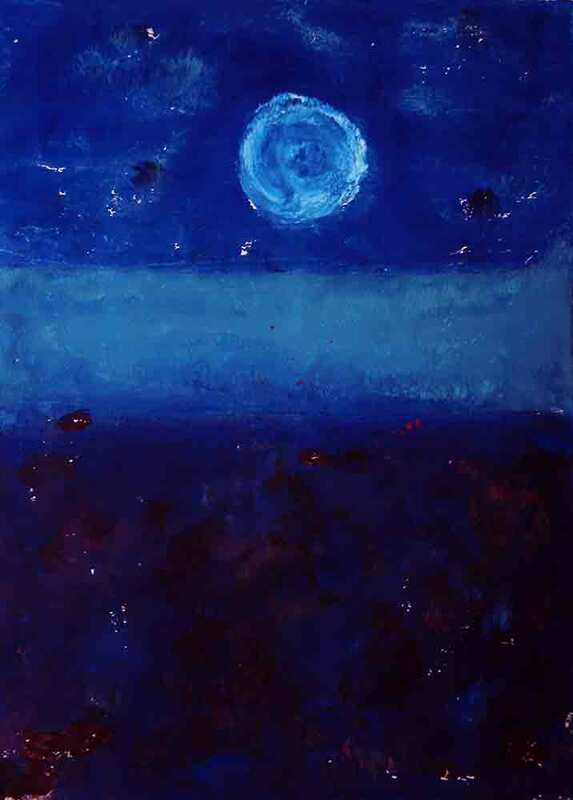 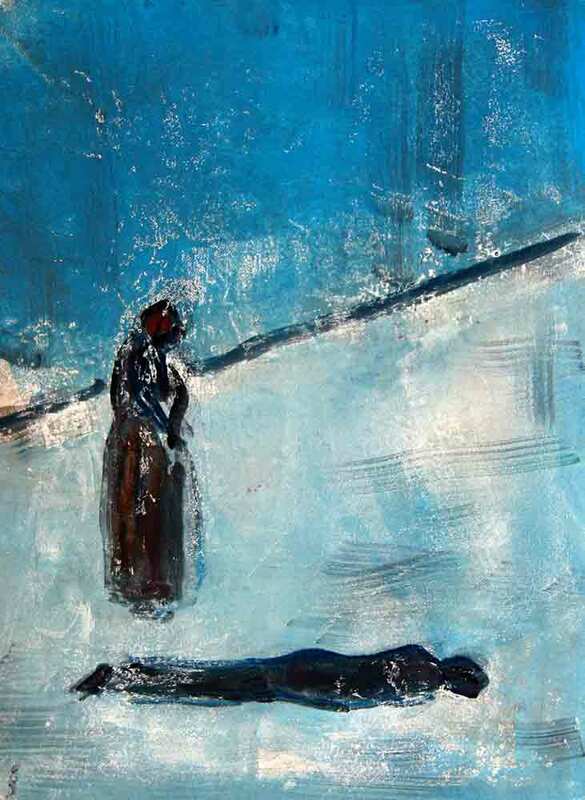 Here Diane Pacitti provides an introduction to her husband’s art, showing how it reflects both Italian and Scottish influences and demonstrating how she has used the artworks in narratives of social and political justice, spirituality and identity. 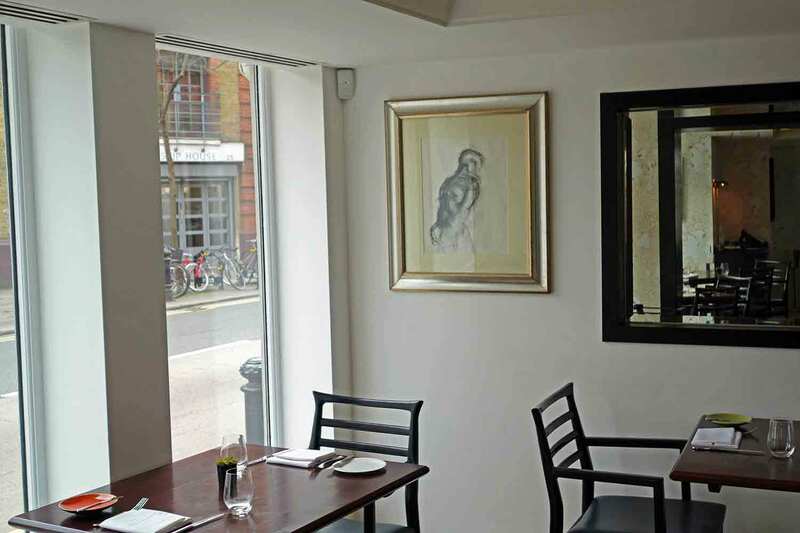 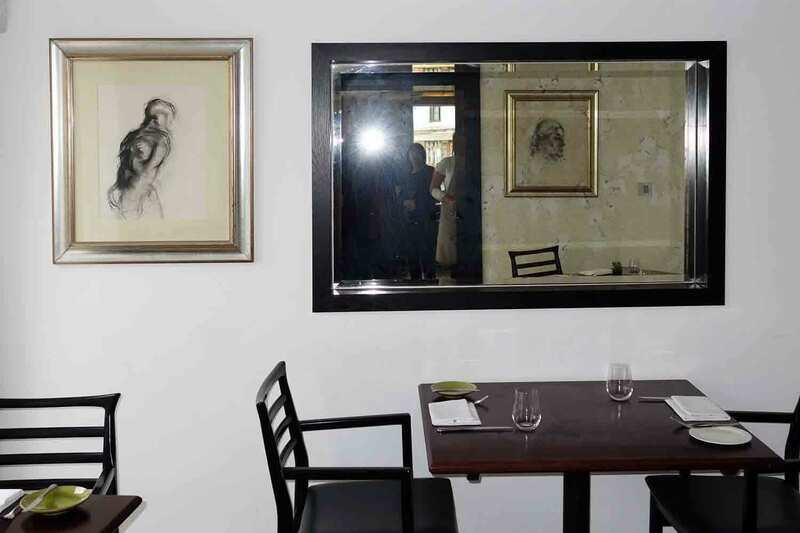 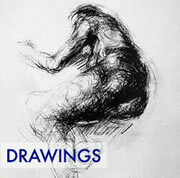 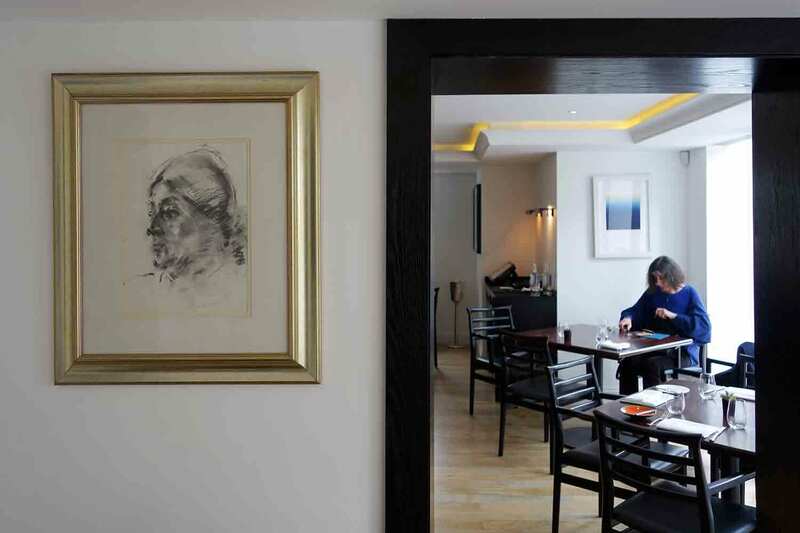 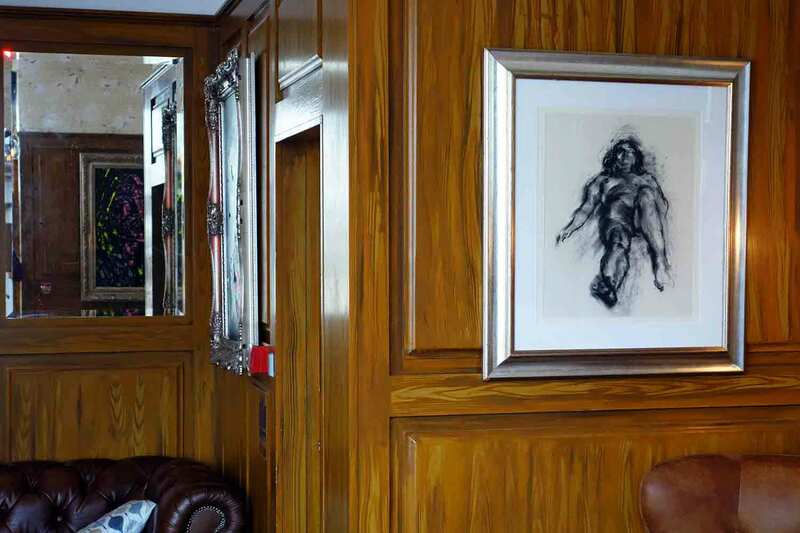 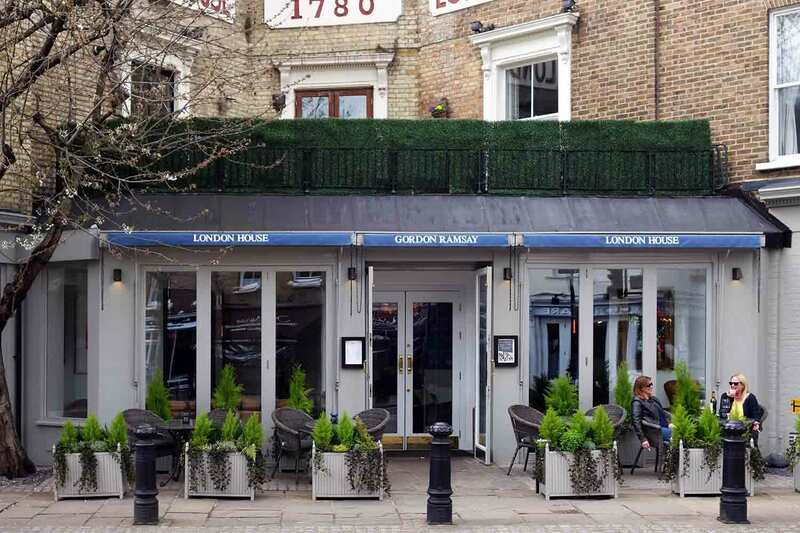 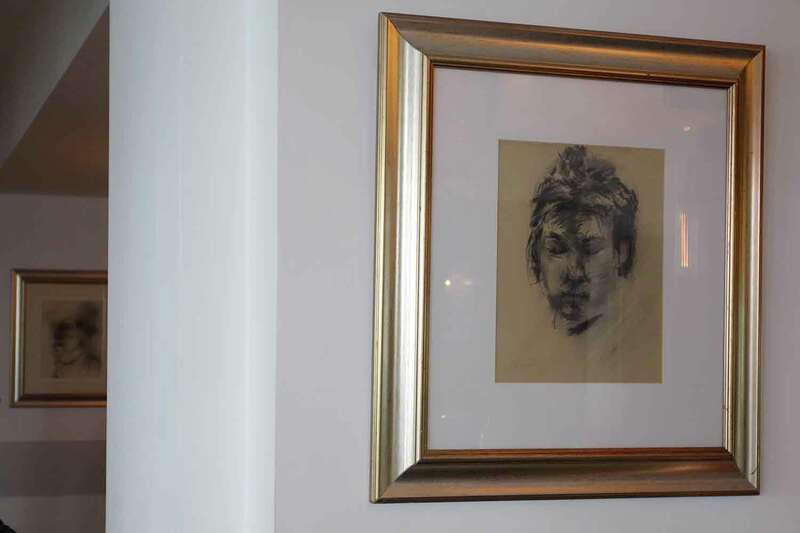 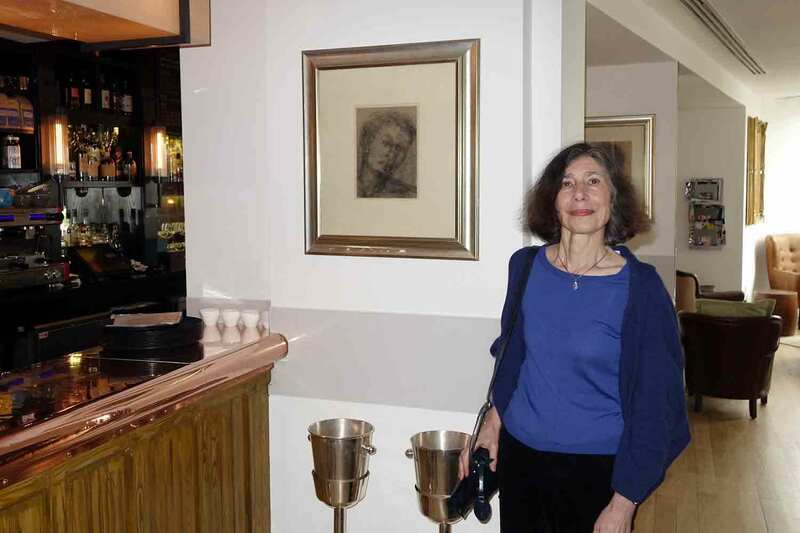 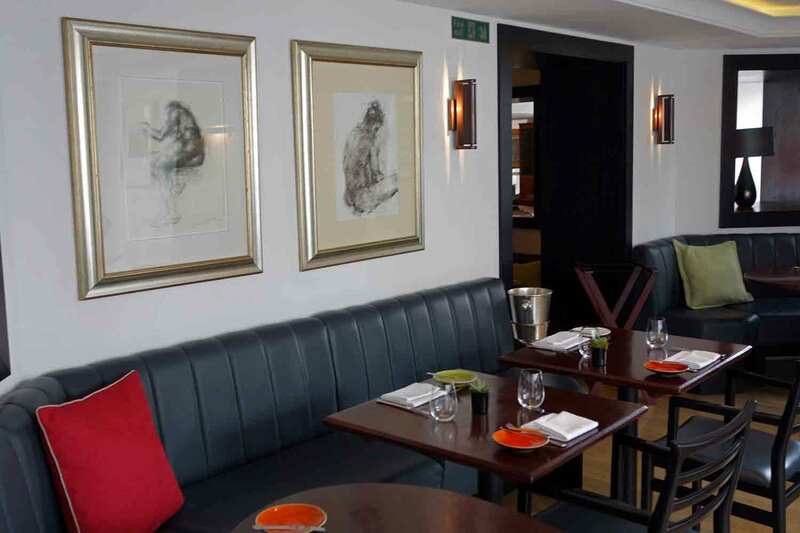 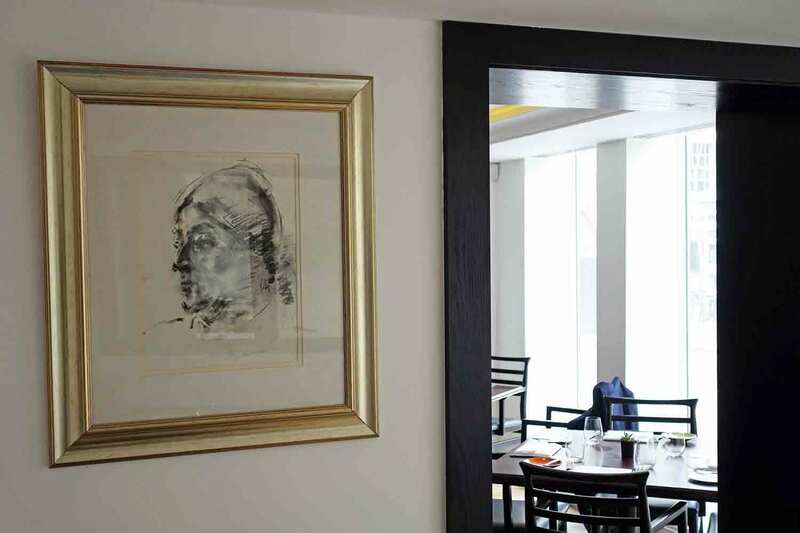 A drawings exhibition of life studies and portraits, displayed in the elegant setting of this Gordon Ramsay restaurant. 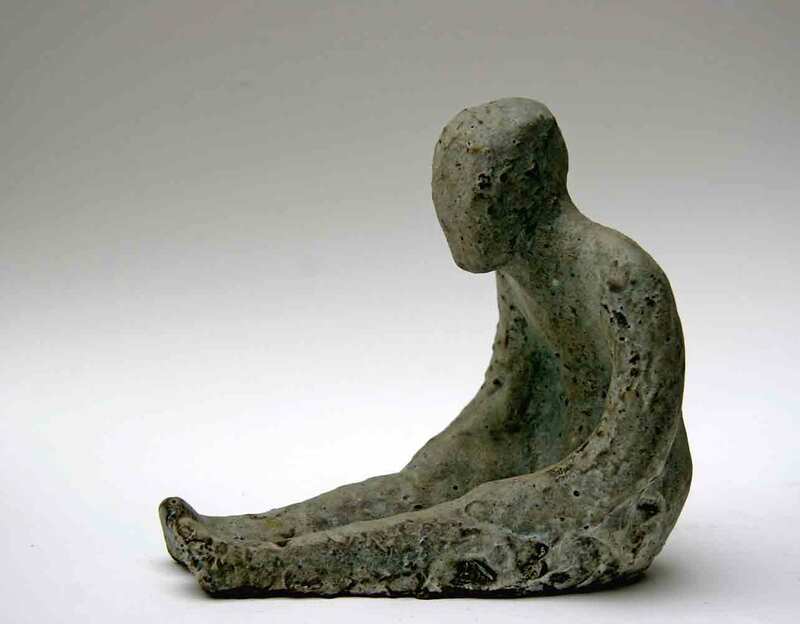 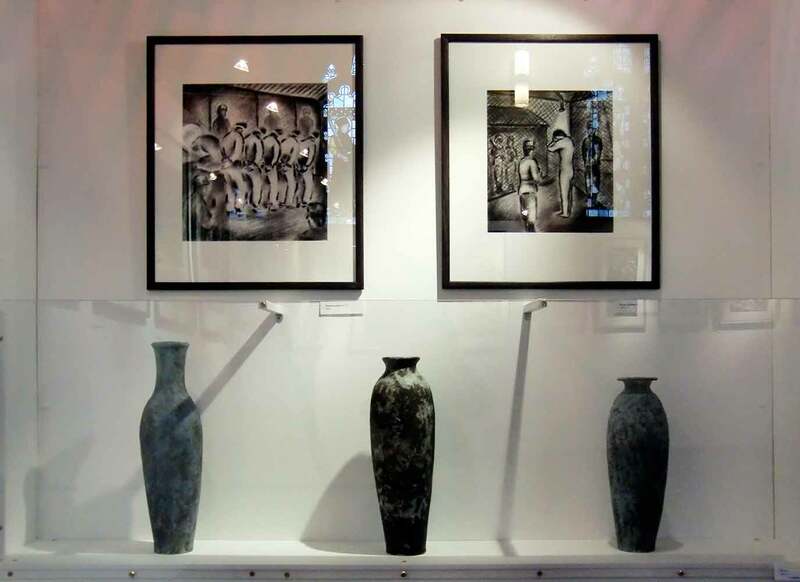 Antonio Pacitti’s ceramics, including small figures and bowls, were shown alongside prints by Henry Moore. This catalogue includes an interview of Antonio Pacitti by Andrew Lambirth and an article by Robin Dutt describing the experience of having his portrait painted by Antonio Pacitti. 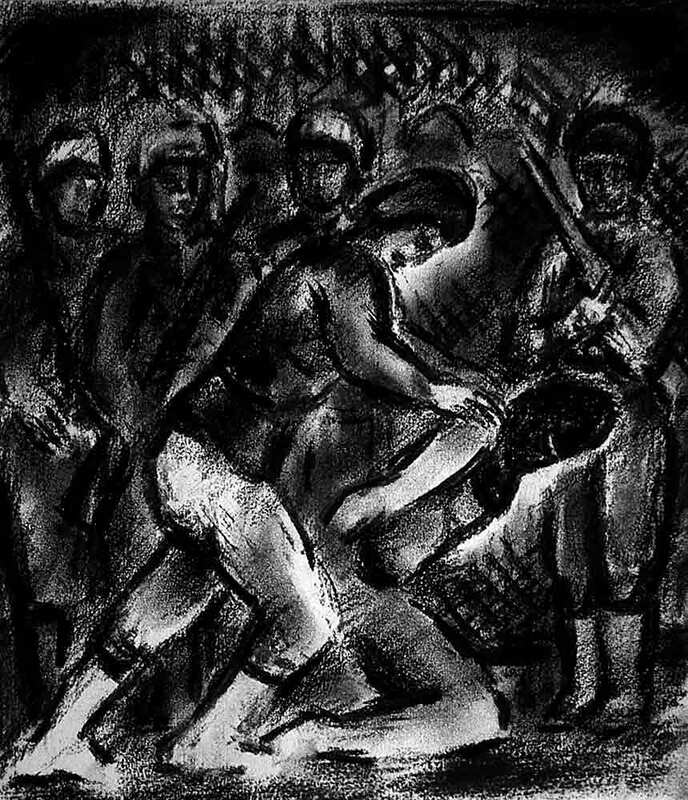 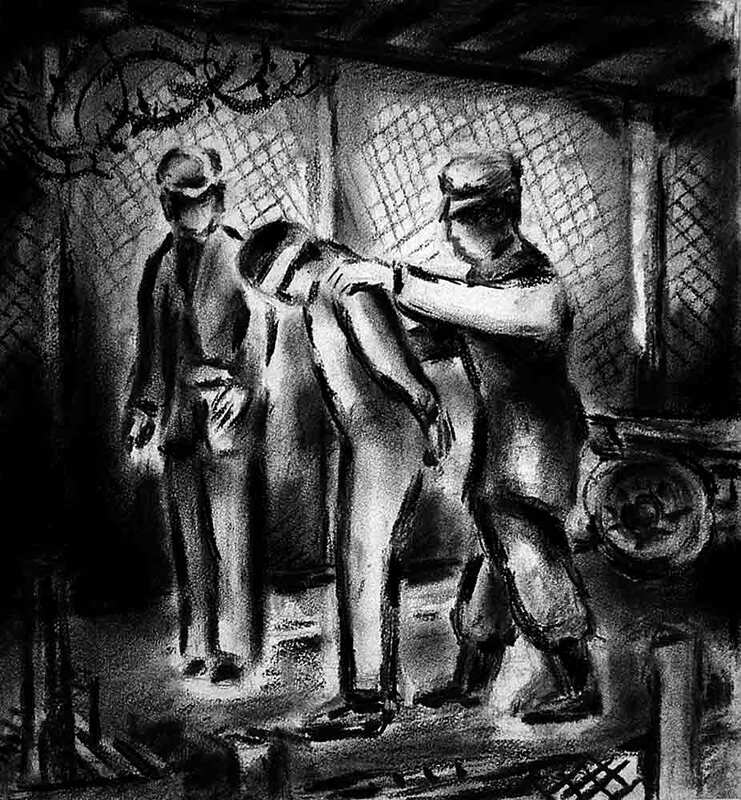 'The stabbing, rhythmically repeated huddled form of prisoners being led to a waiting aircraft or kneeling on the float of the prison, or being marched off for exercise, emphasise the loss of human individuality in a way that is almost beyond words, though not, it should be said, of Diane Pacitti's remarkable accompanying poems. 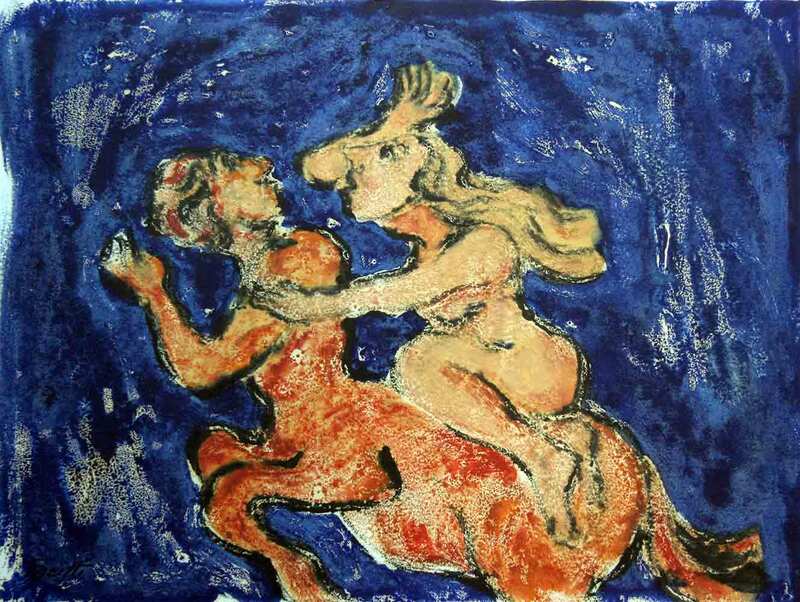 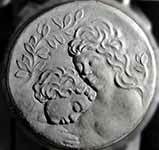 In all these works, too, one is left with a quite inescapable sensation of an ancient story, whether Biblical or mythological.' 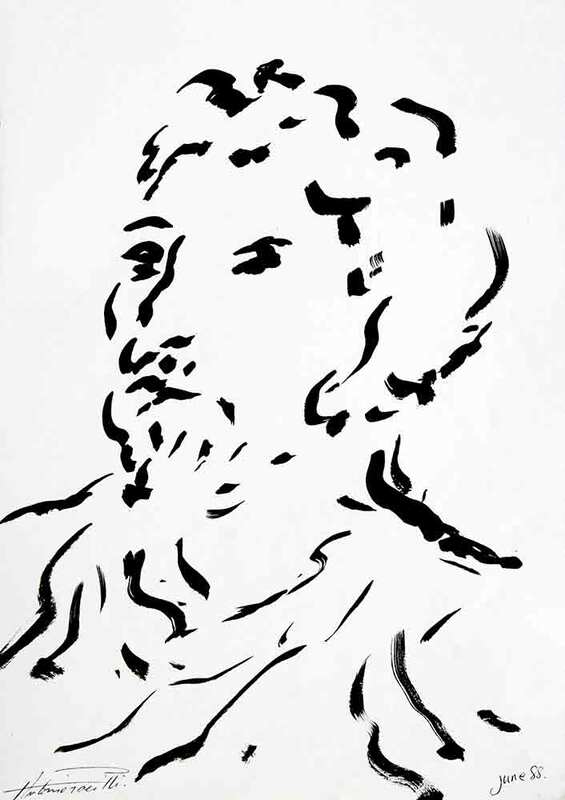 Nicholas Usherwood. 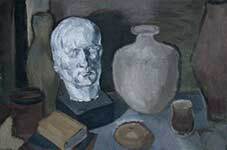 This novel, which draws partly on the experiences and dramatic family history of Antonio Pacitti while departing into a fictional plot, is being prepared for publication by Cultural Documents, a programme established by Deirdre MacKenna in 2009 to create cultural legacy from historical societies, and Cosmo Iannone Editore based in Isernia, Italy. 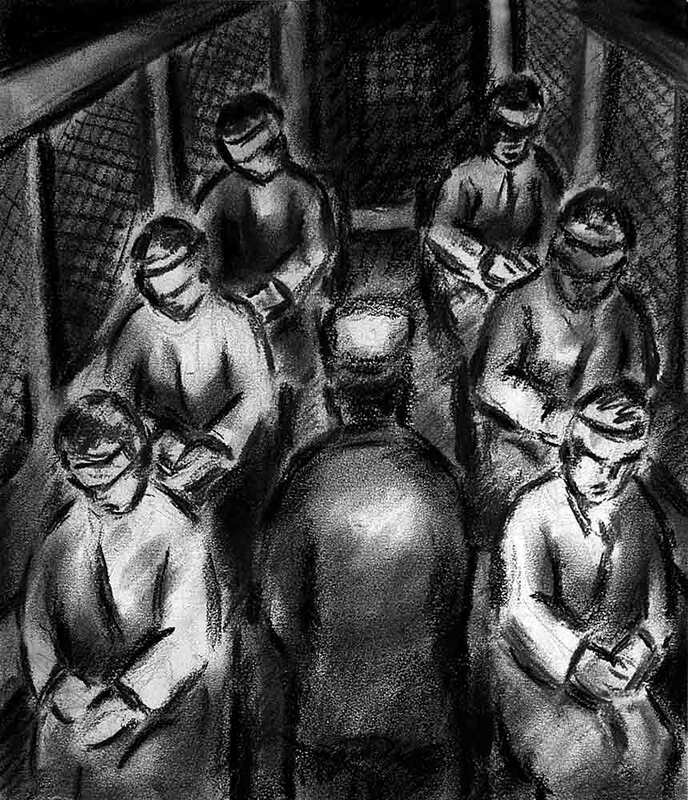 A condensed version of the novel will also appear in a pocket-book to be published by Cultural Documents. 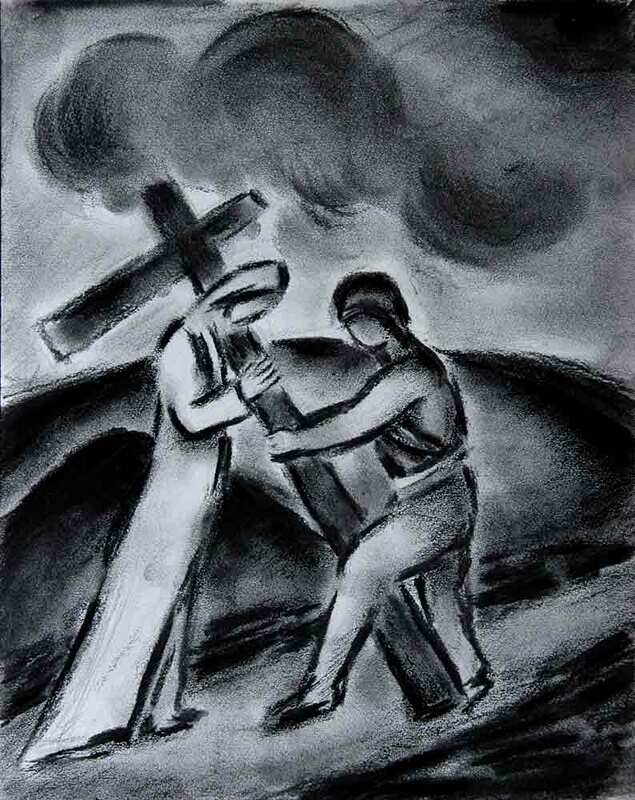 His mission is a never-ending search…. 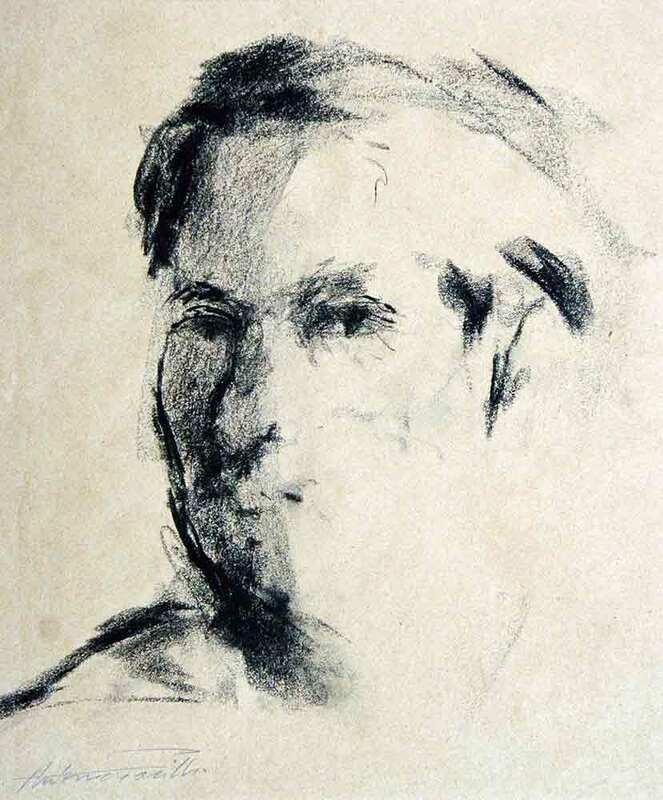 Every mark is accepted as valid, an attitude completely unpretentious in pursuit of the truth, which he now arrives at, with increasing beauty, time and time again. 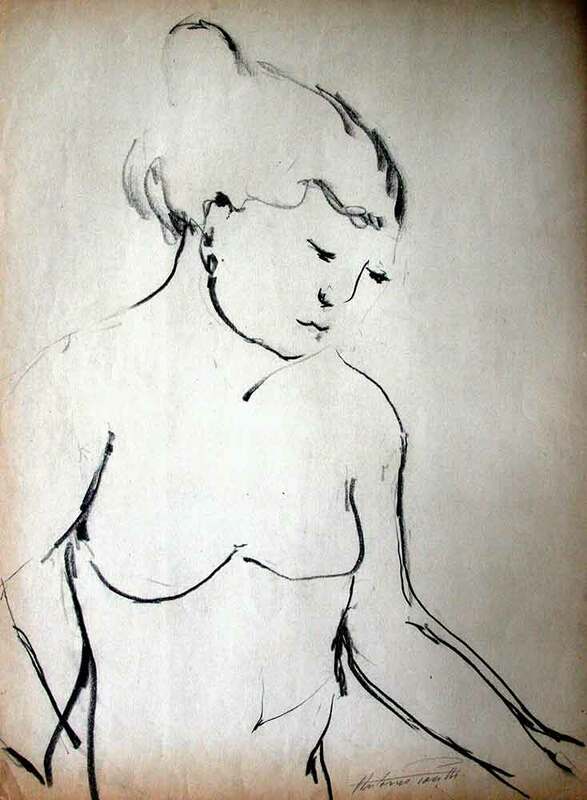 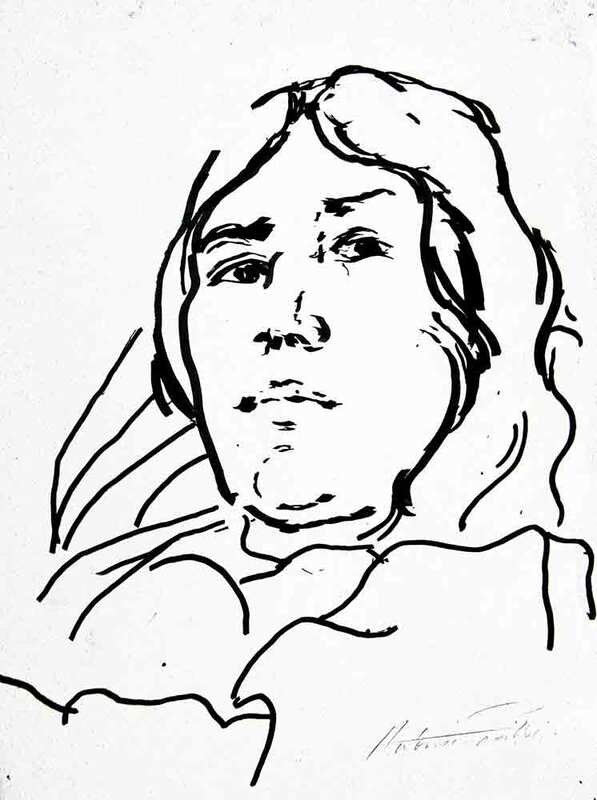 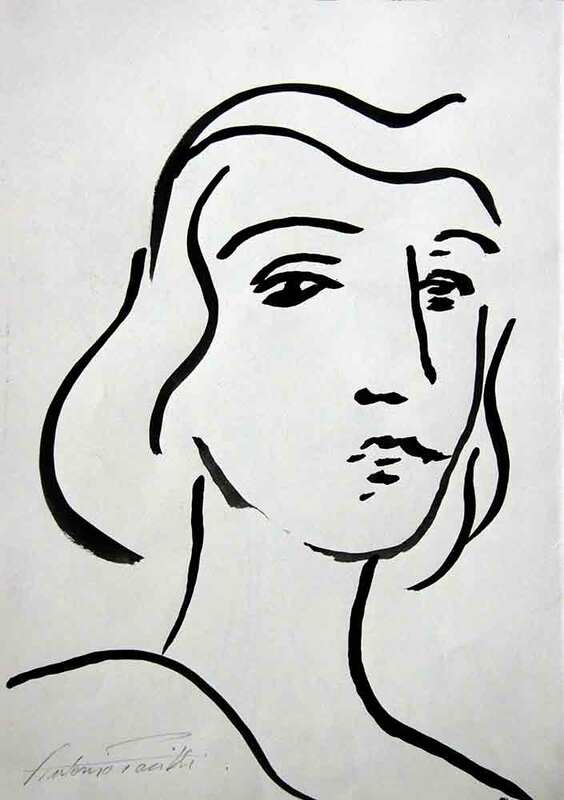 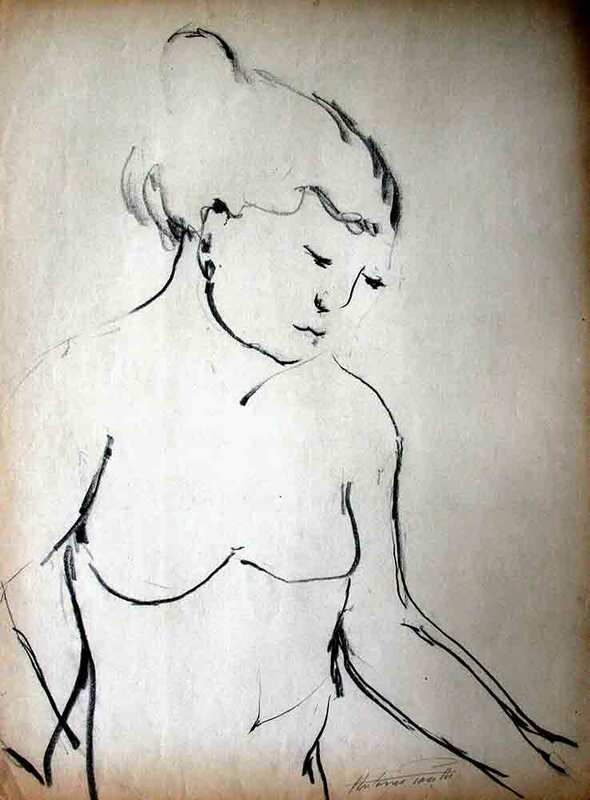 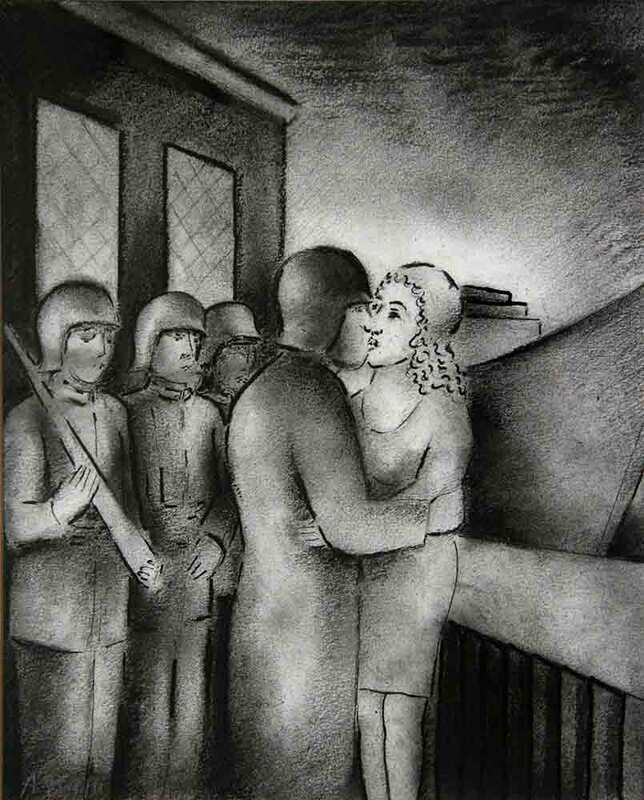 Both the drawings and your wife’s poems are deeply impressive and very important. 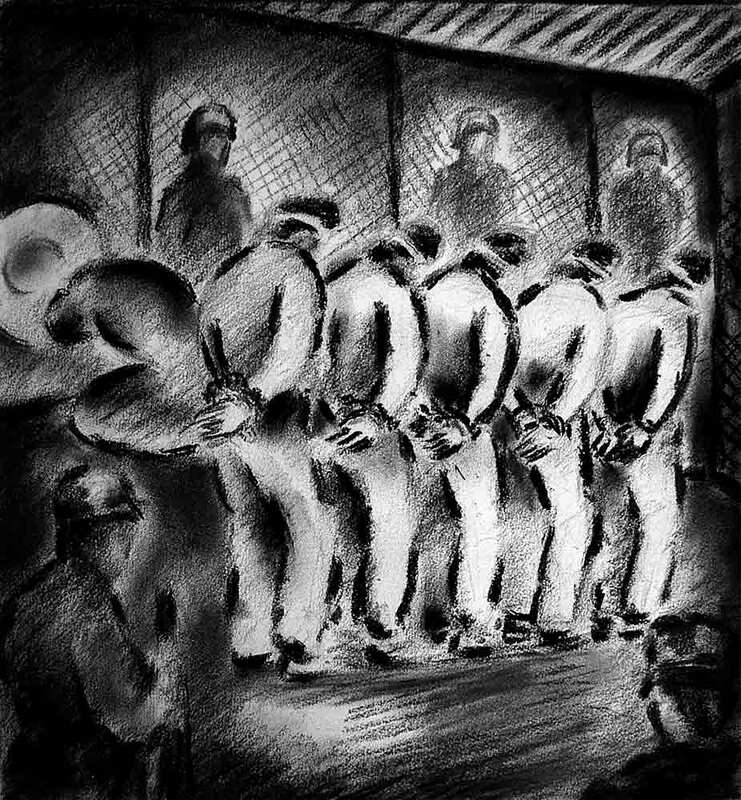 Harold Pinter on Guantanamo. 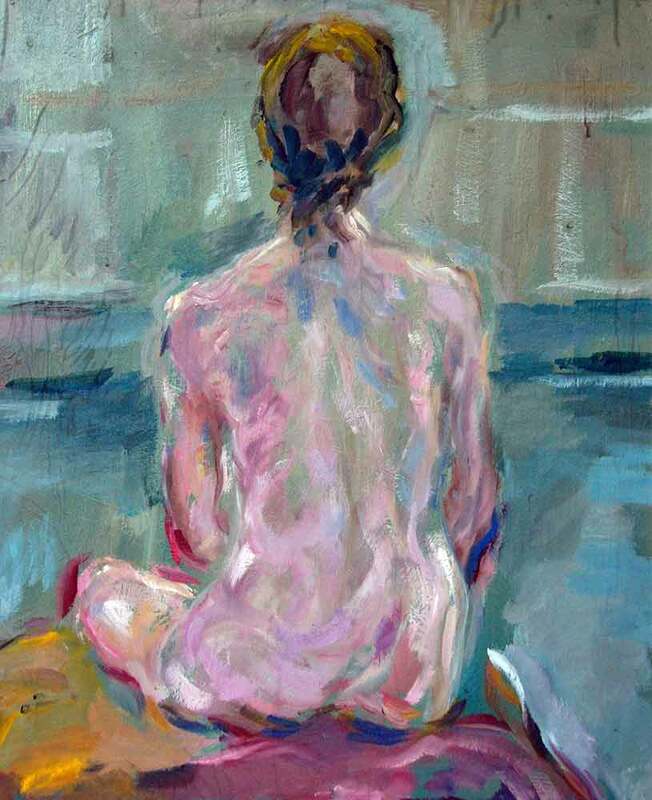 It takes courage to diversify, to spread into other disciplines… Pacitti’s daring… is entirely a daring which allows for the greatest use of the creative mind. 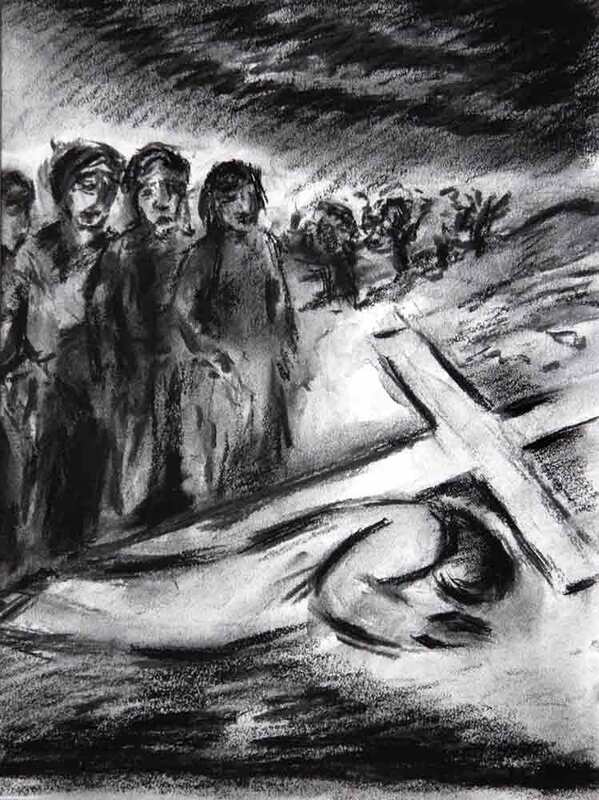 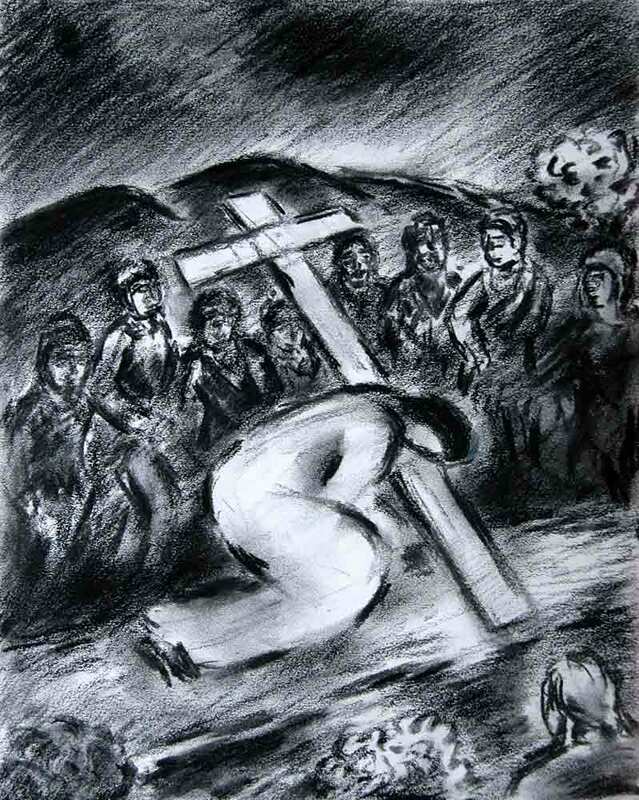 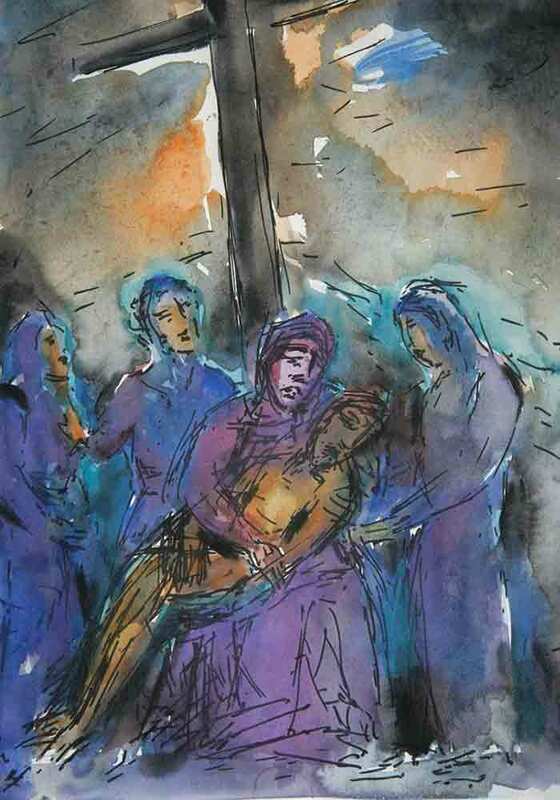 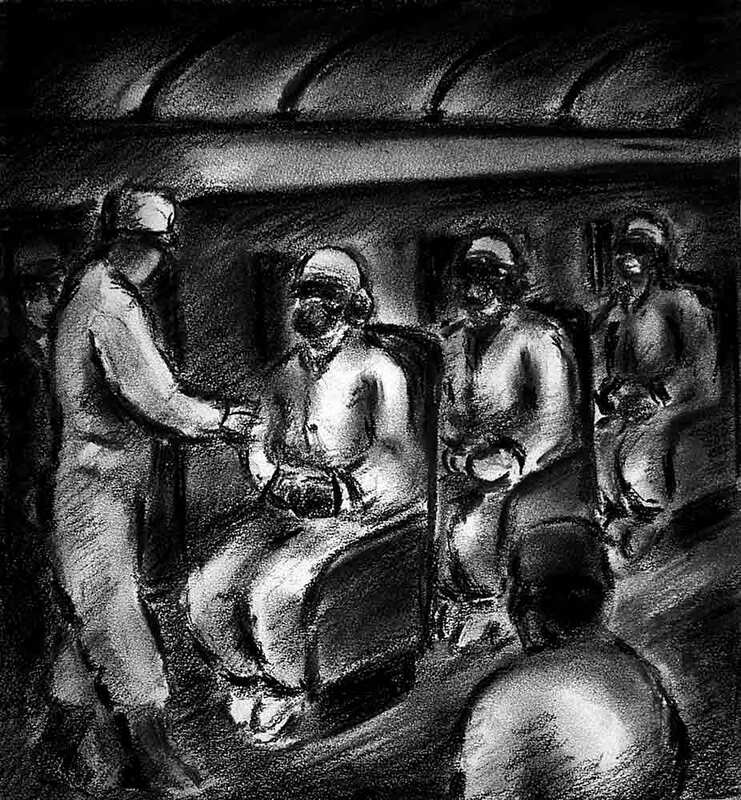 Tony’s drawings radiate a healing warmth that spreads into even the darkest corners from the passion of Christ to Guantanamo Bay. 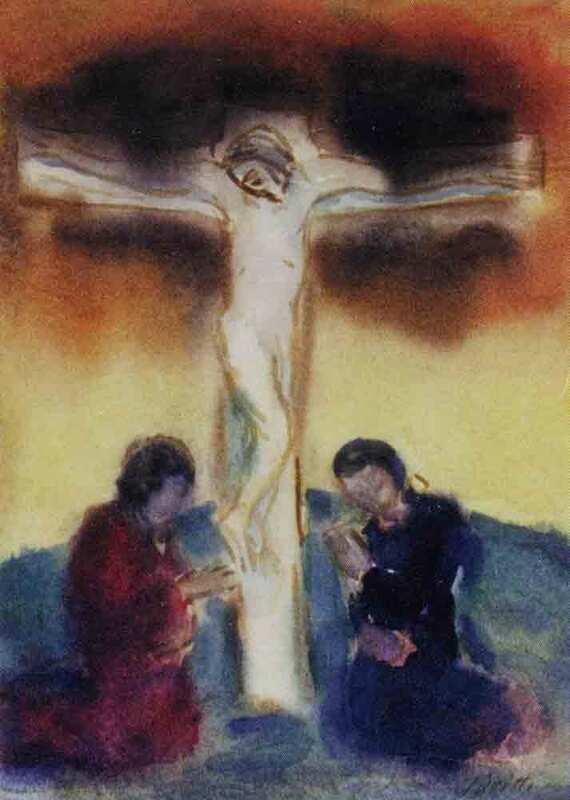 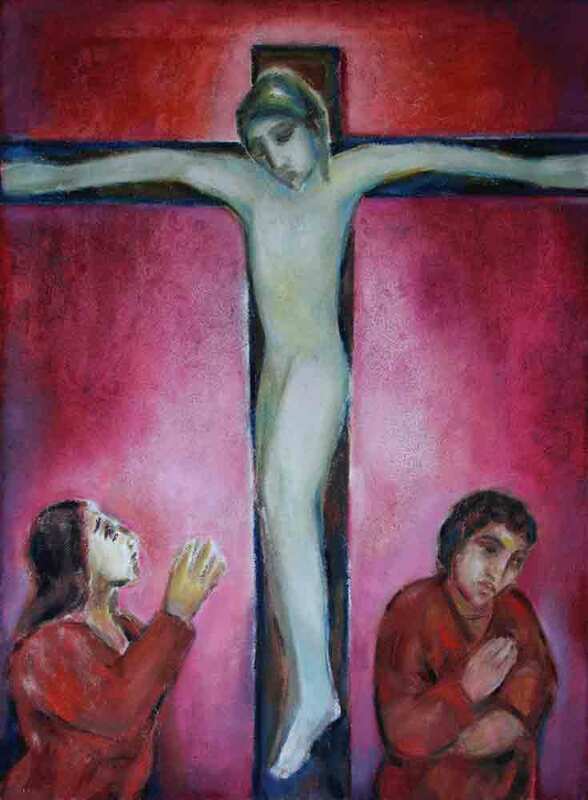 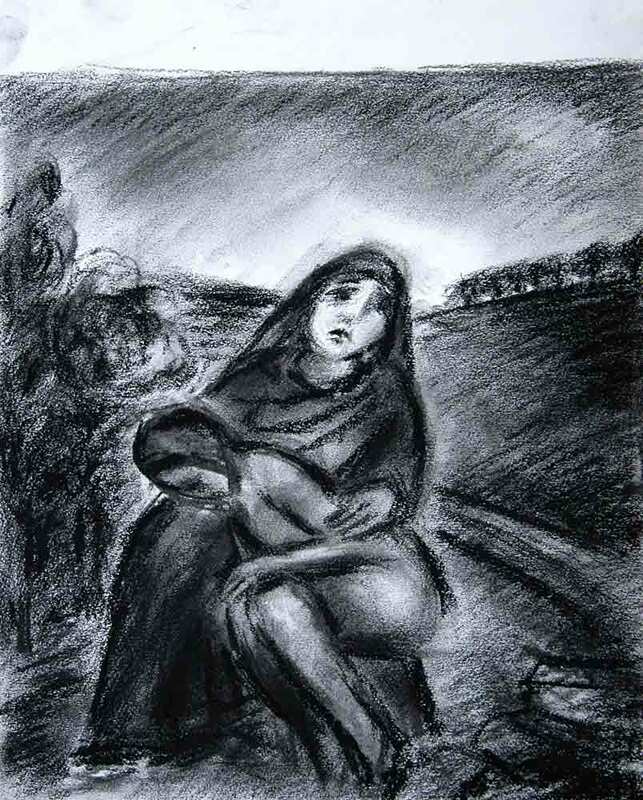 These are subjects that few artists could confront yet he transforms despair into hope, raising human suffering to the dignity of the timeless, spiritual plane. 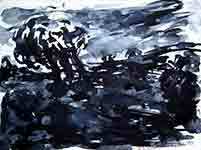 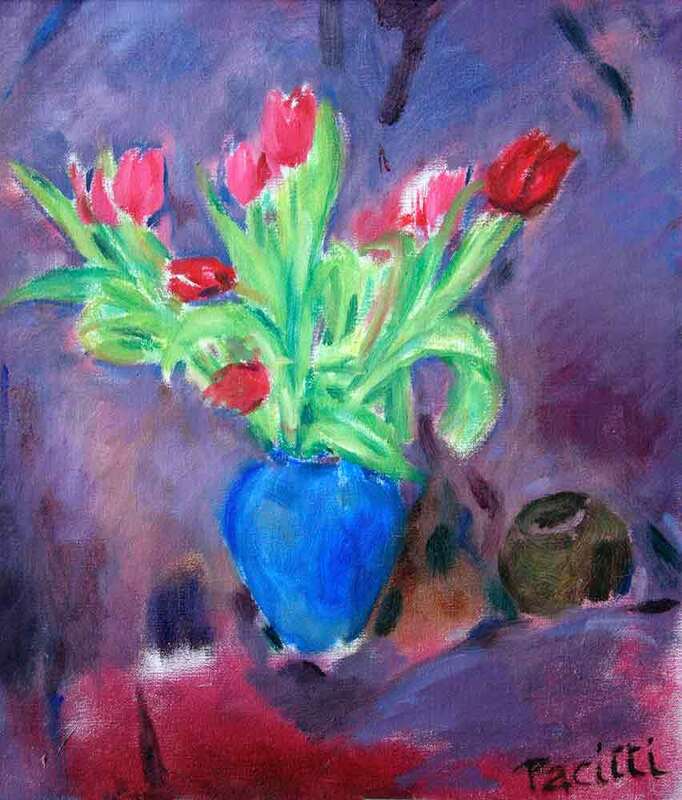 When I paint I am drawing all the time. 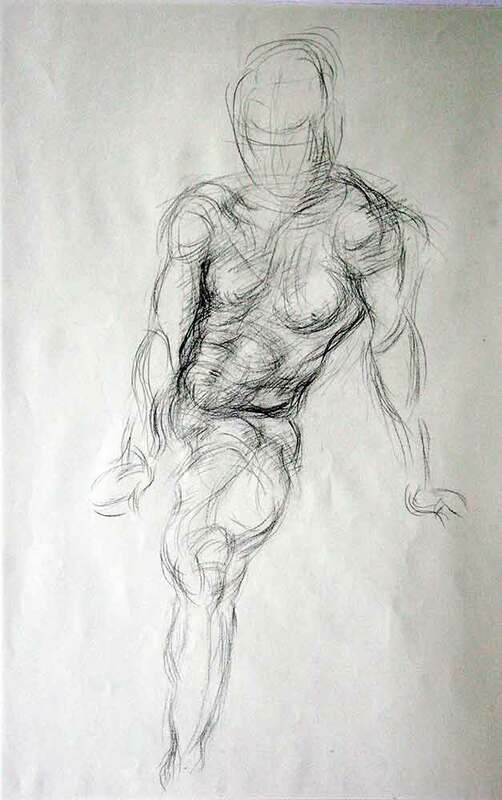 The rhythms of the form, the abstraction of the thing, the structure are the same. 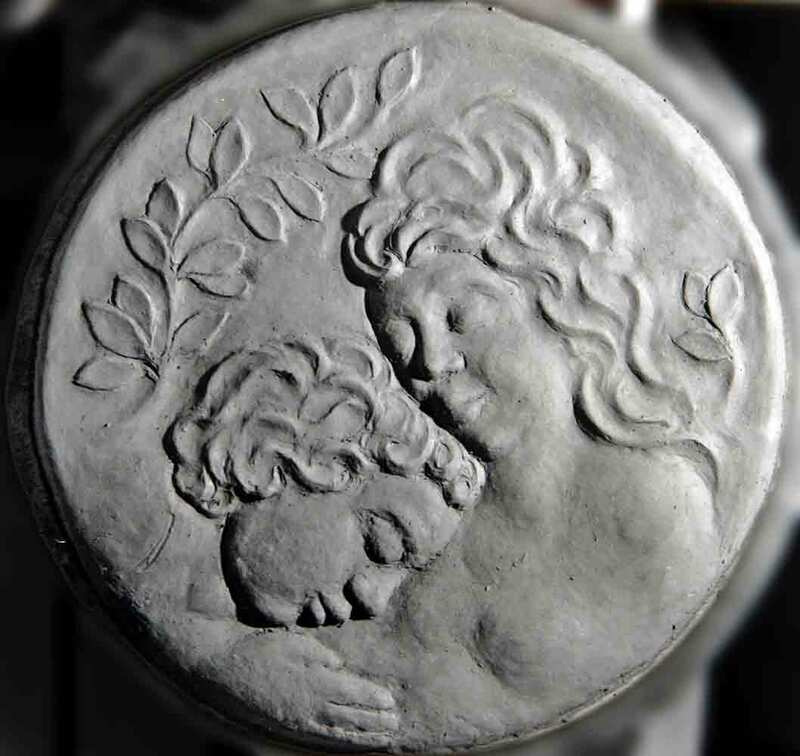 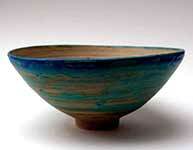 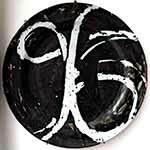 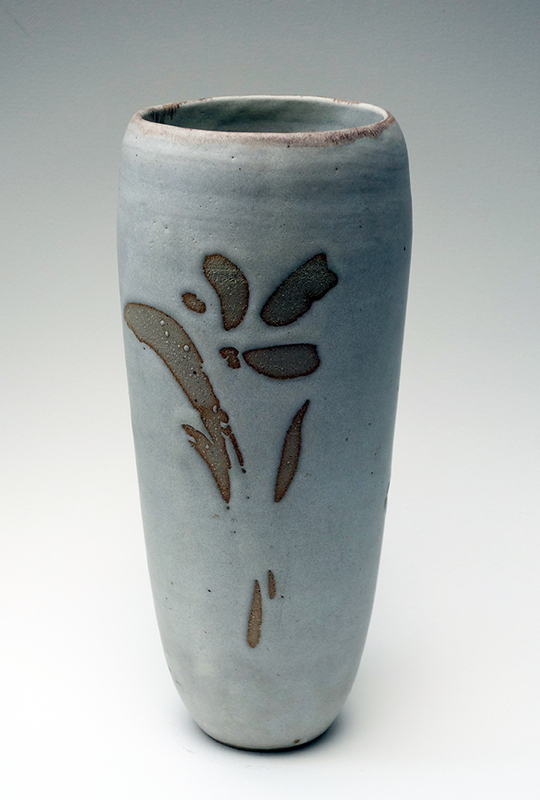 When I’m making a pot on the wheel, I tend to close my eyes after I’ve centred the clay and feel for the form. 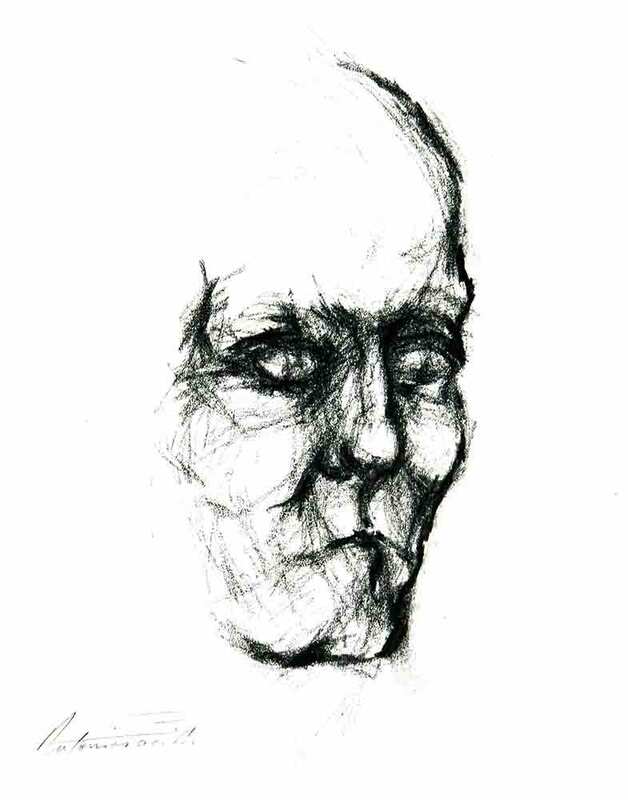 I hold my breath and sustain it for as long as I can. 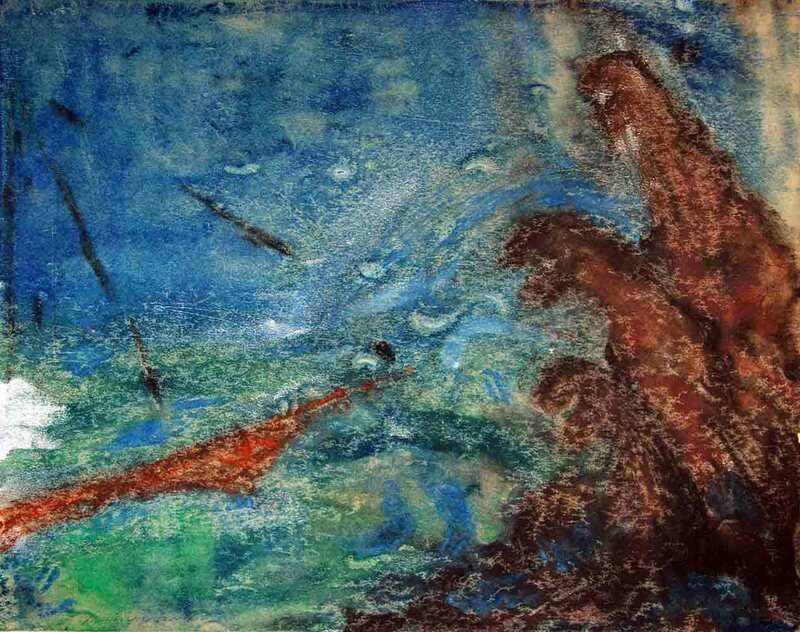 It’s like swimming under water.